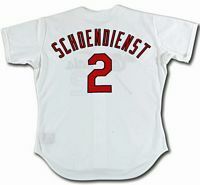 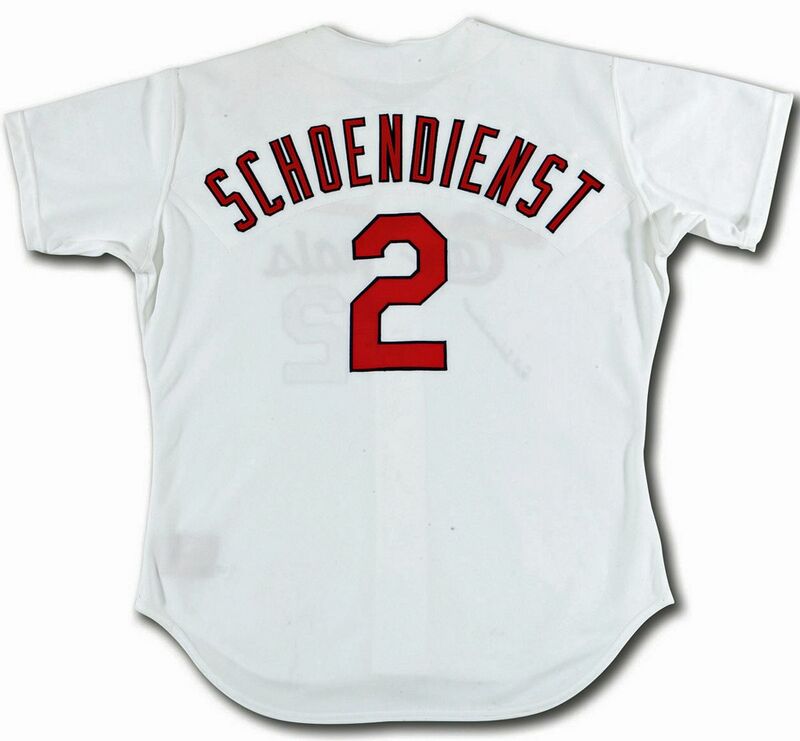 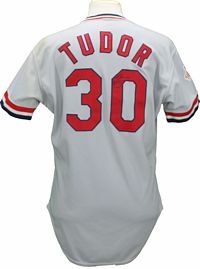 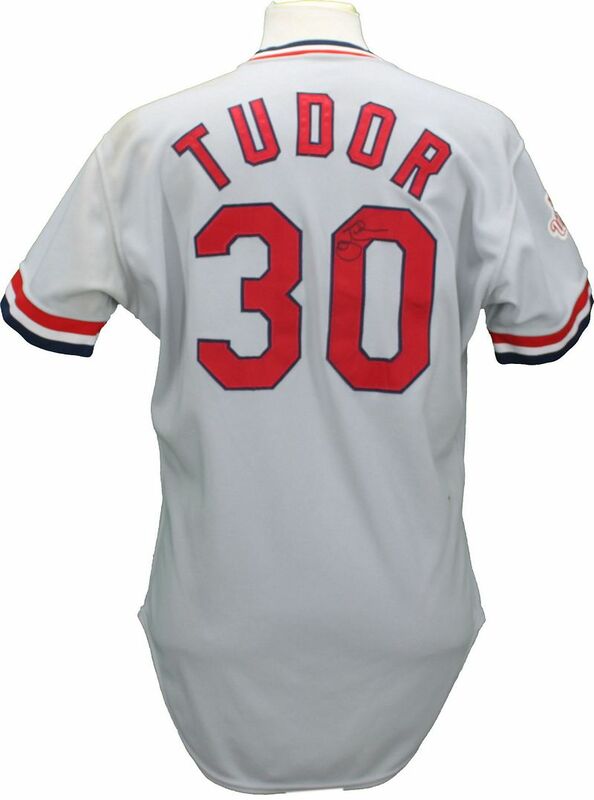 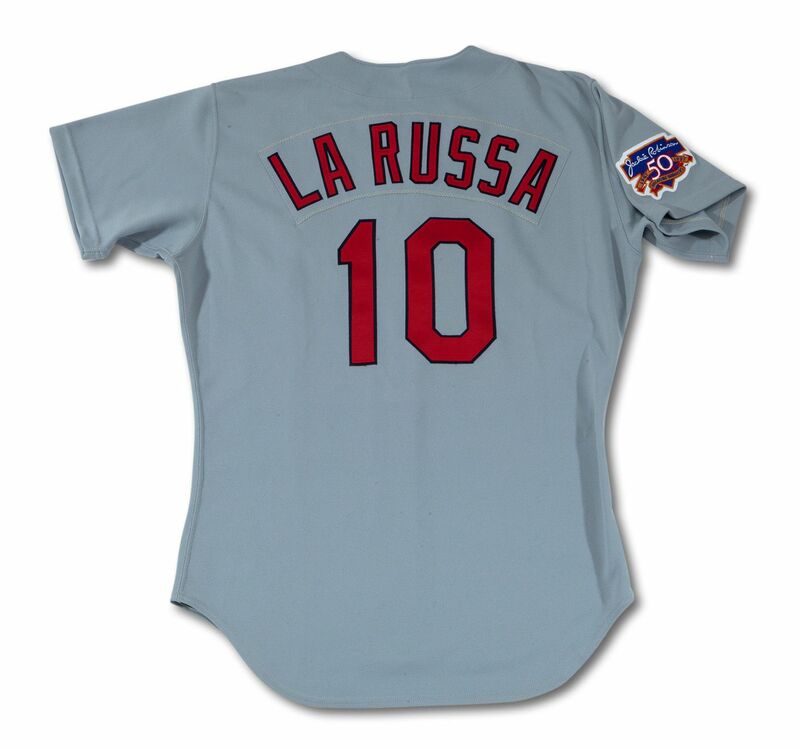 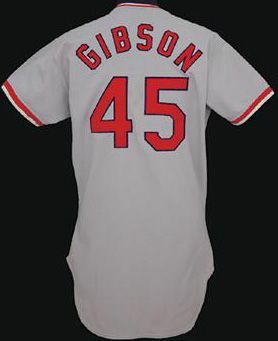 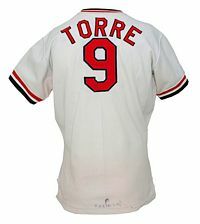 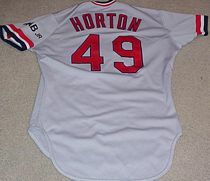 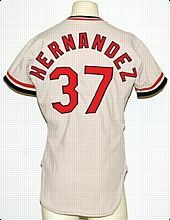 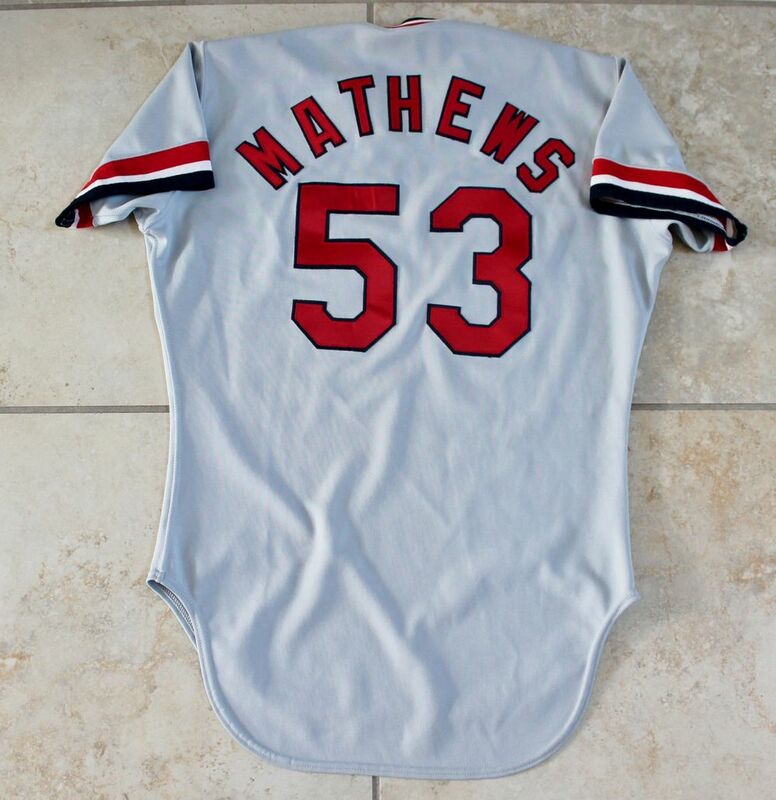 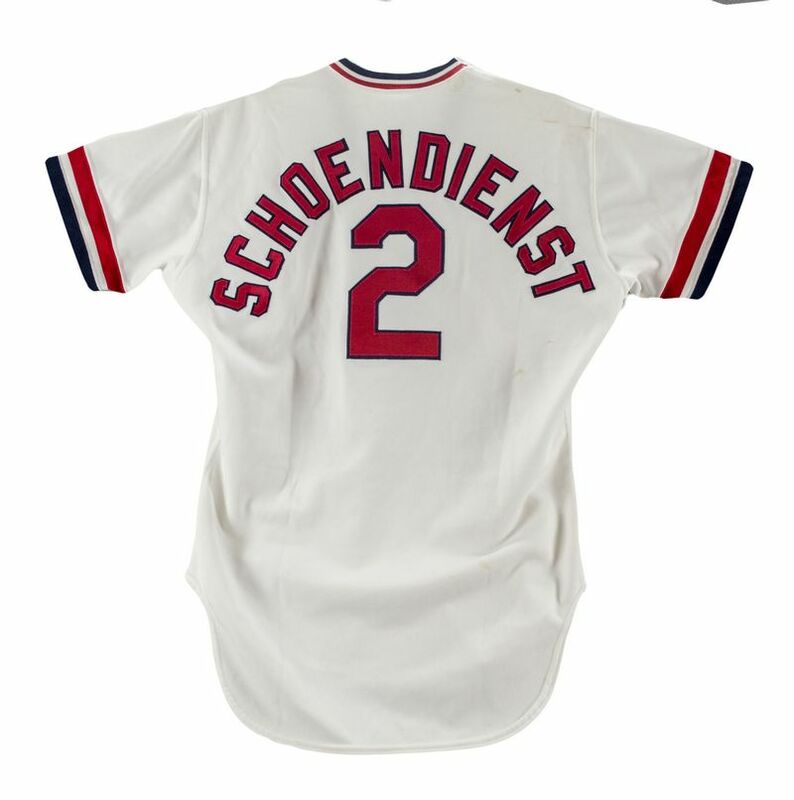 The Cards become the first NL team to use names on back. 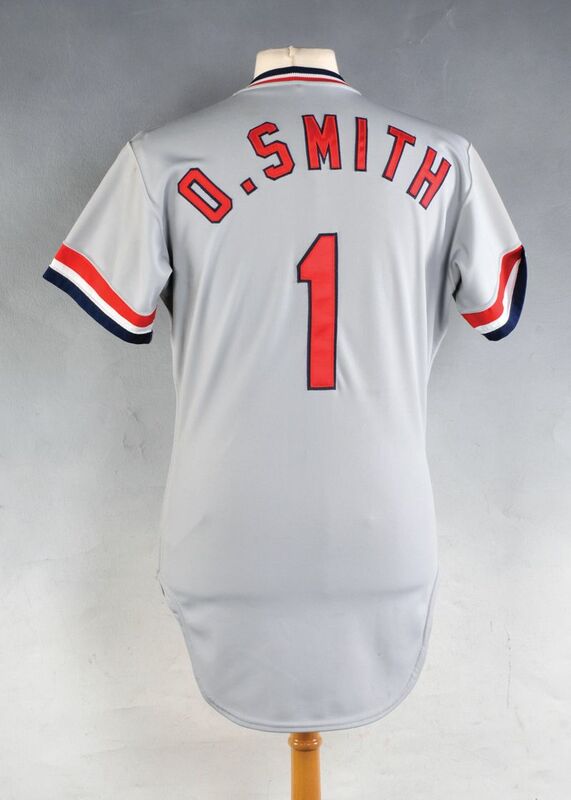 Front numbers added as well. 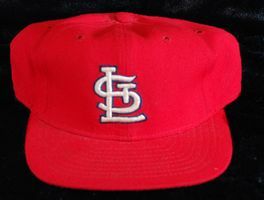 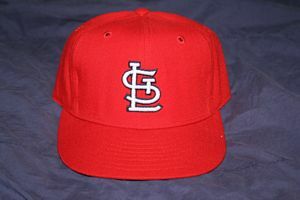 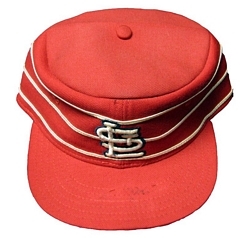 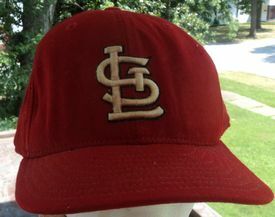 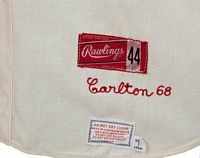 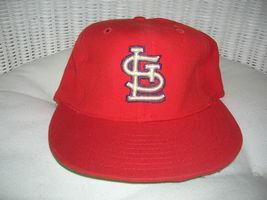 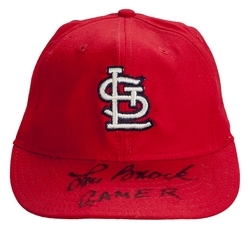 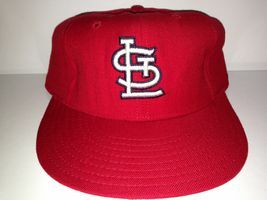 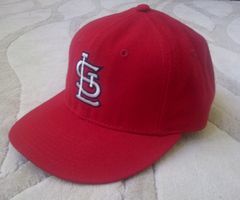 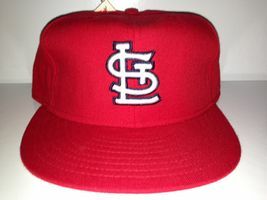 A new red cap introduced for home games in 1964. 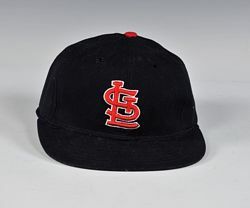 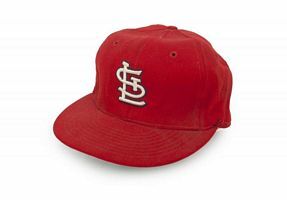 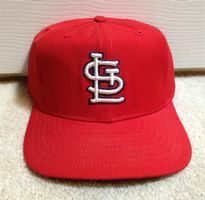 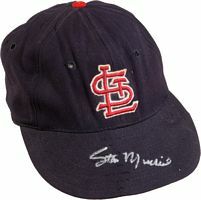 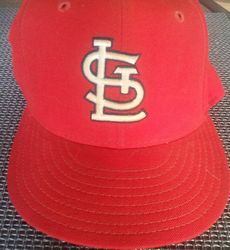 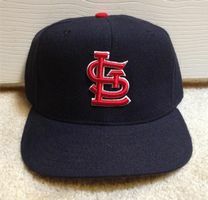 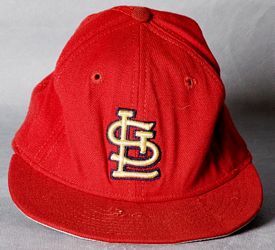 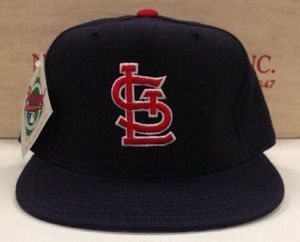 Navy cap dropped as the red cap is worn home and away starting in 1965. 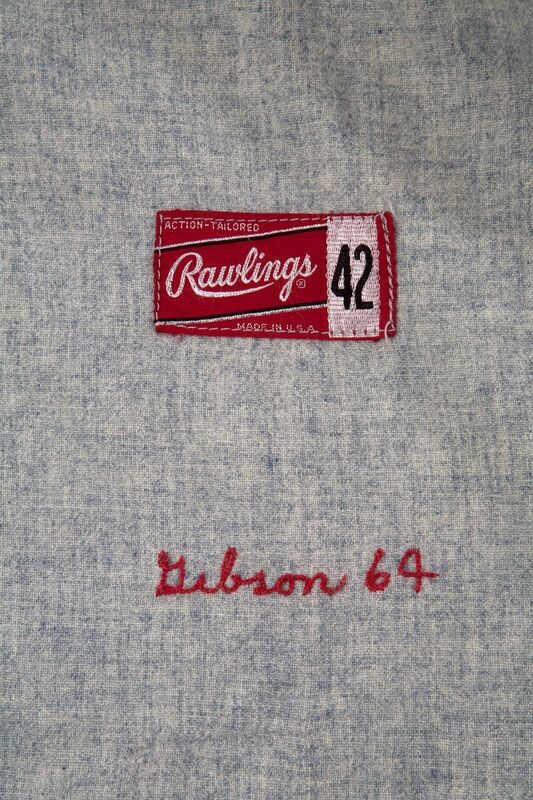 Double knits arrive. 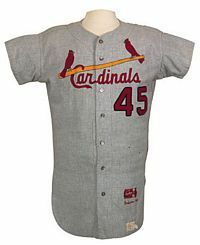 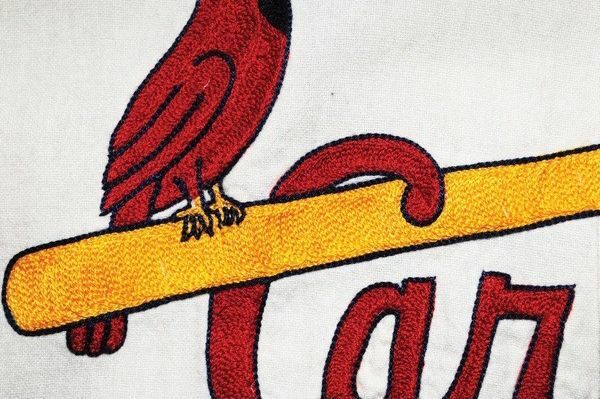 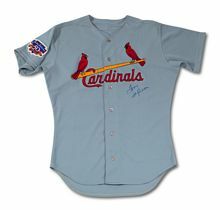 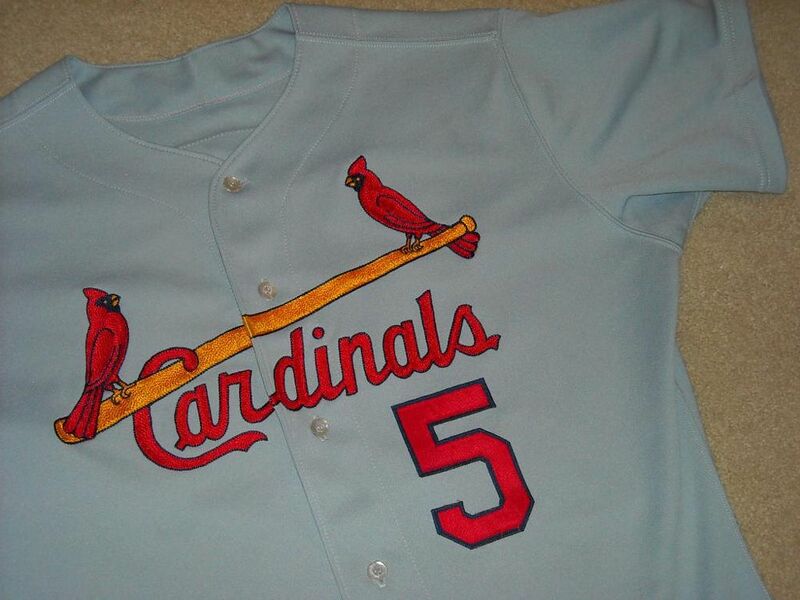 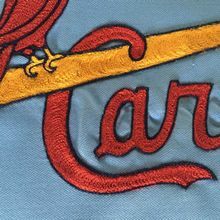 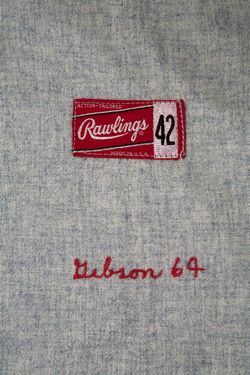 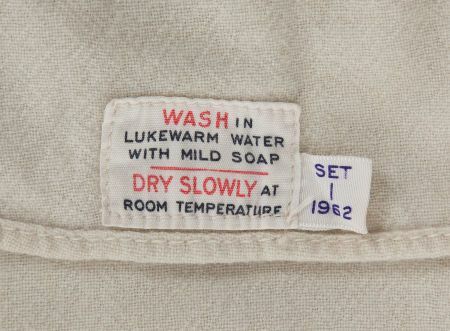 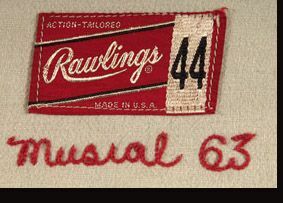 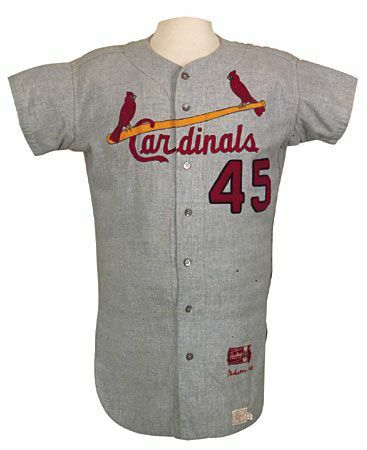 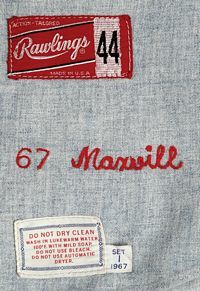 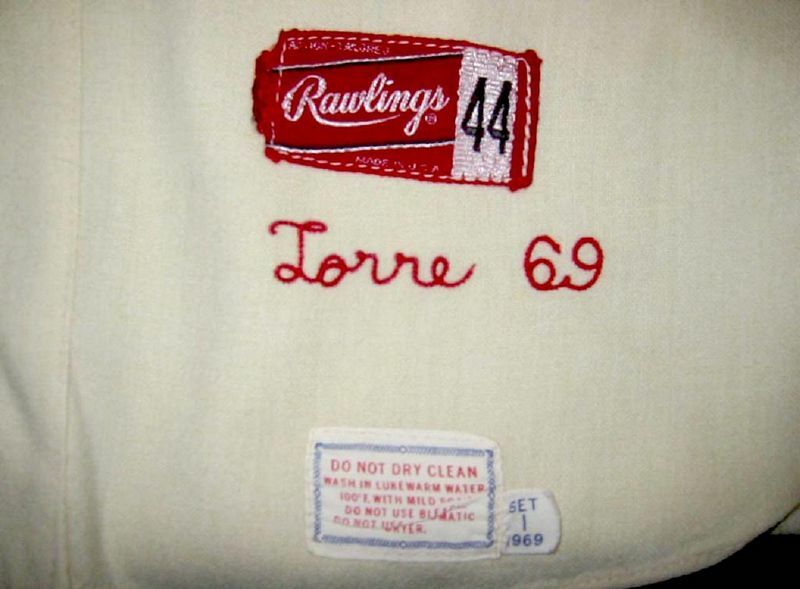 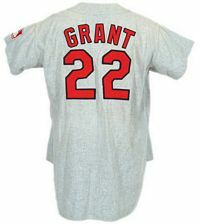 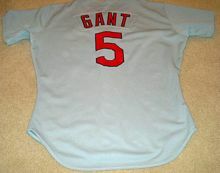 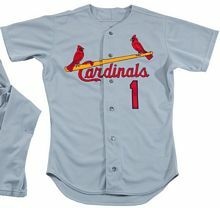 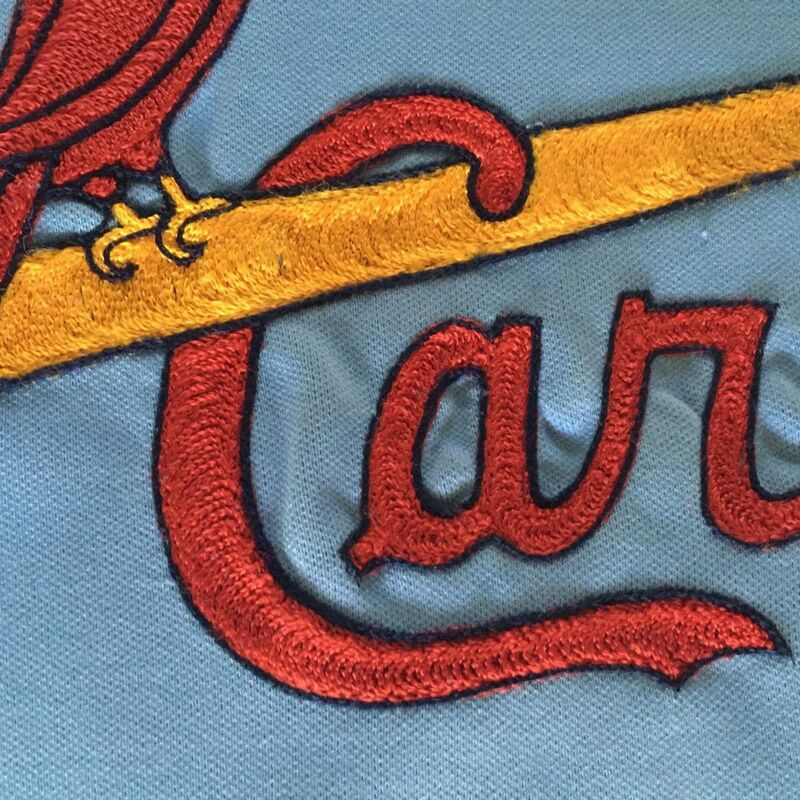 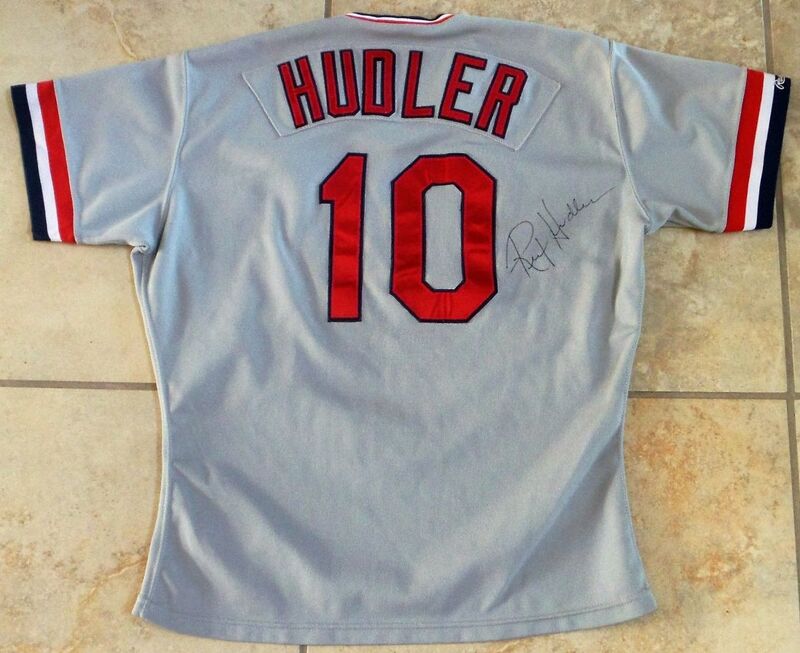 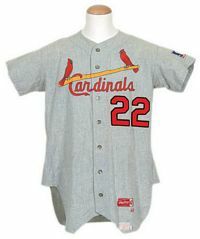 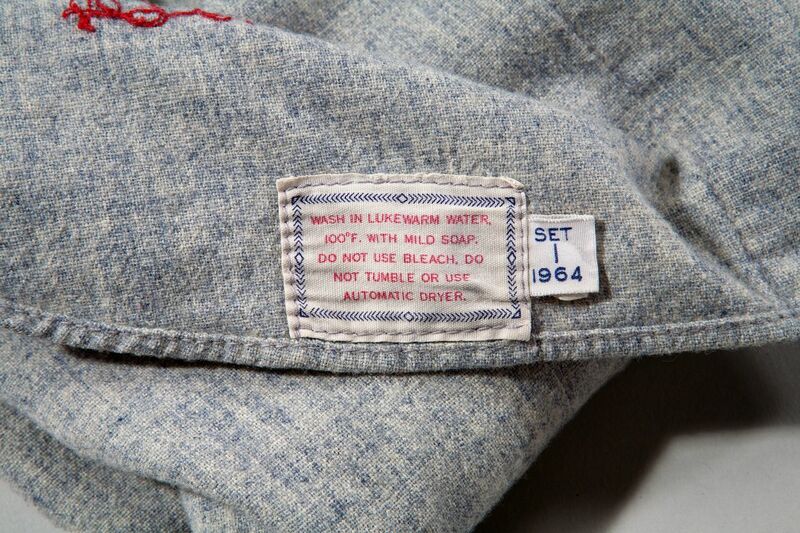 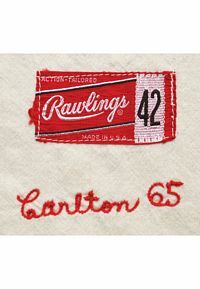 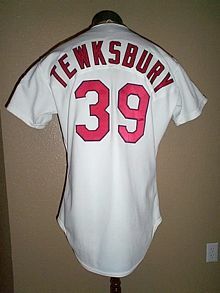 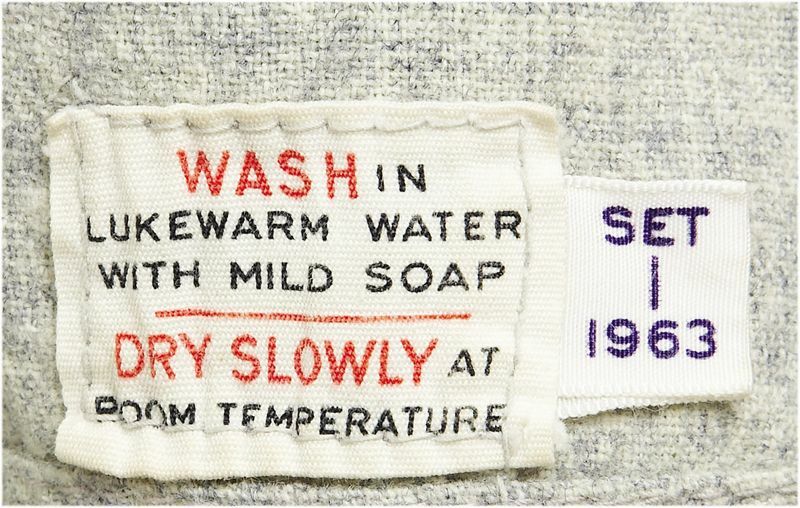 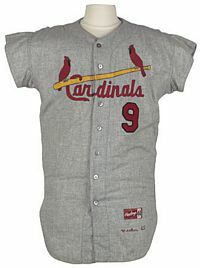 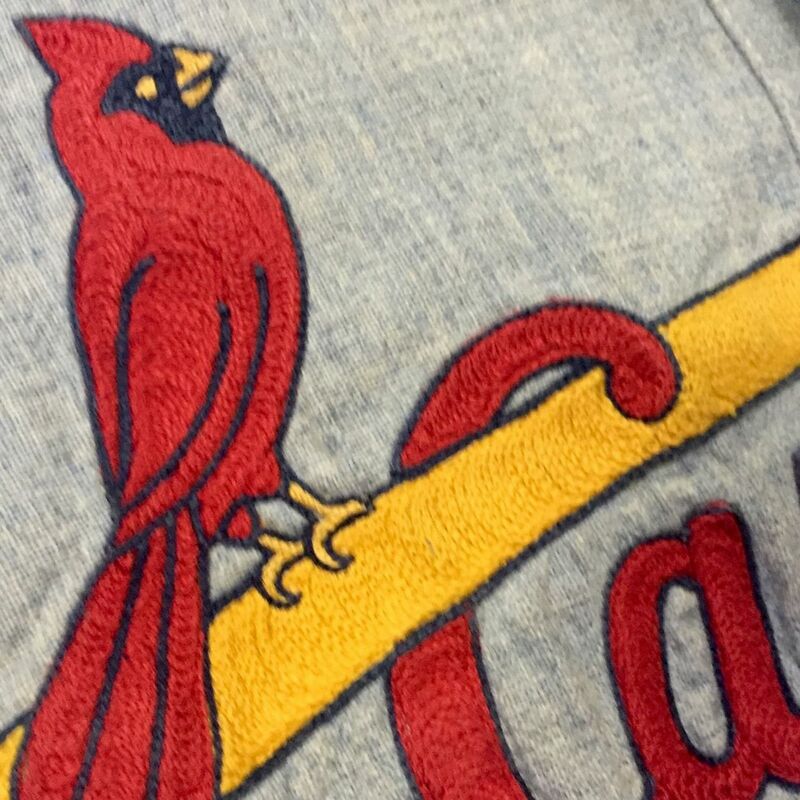 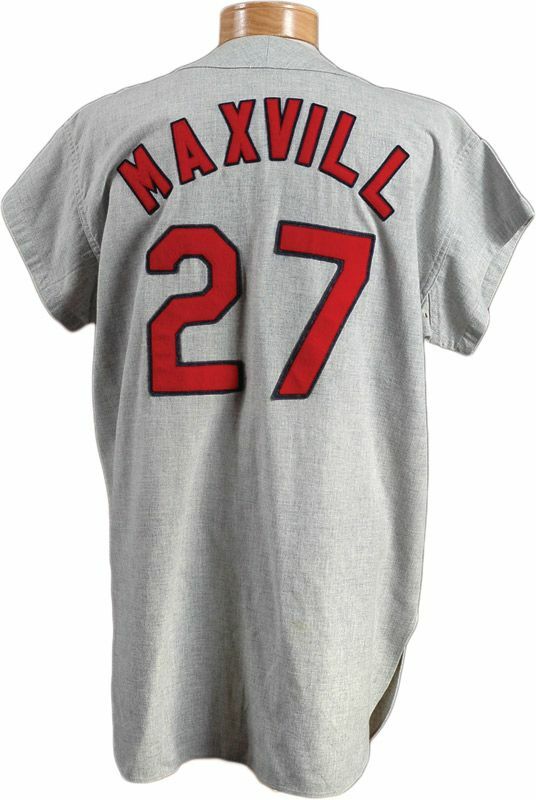 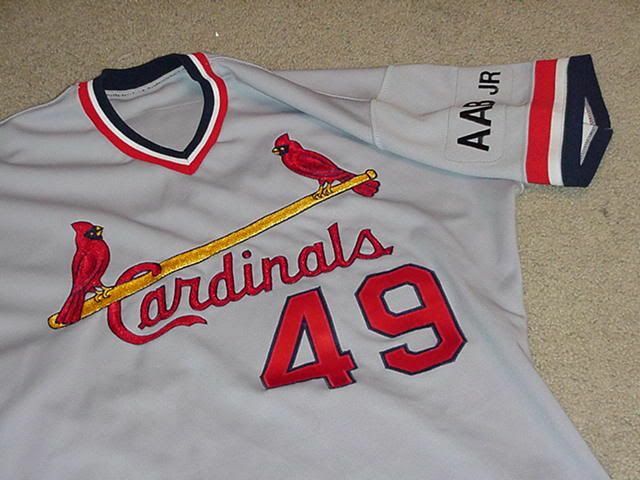 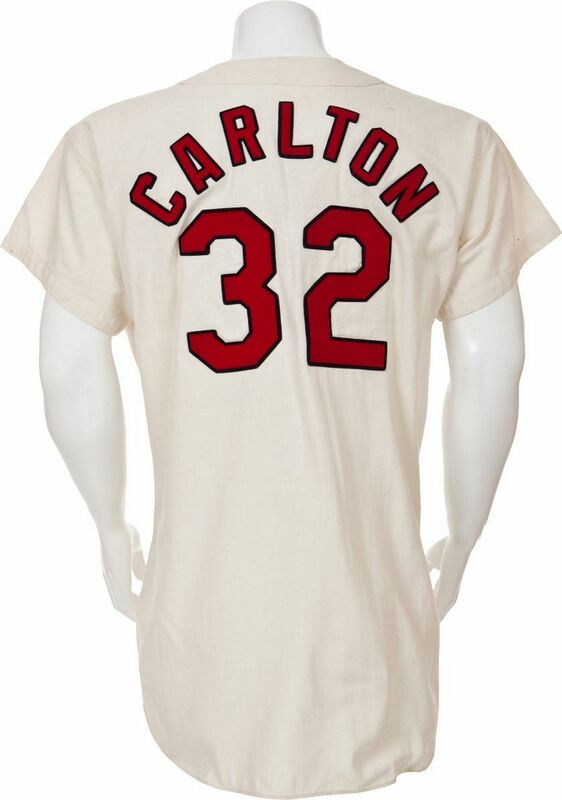 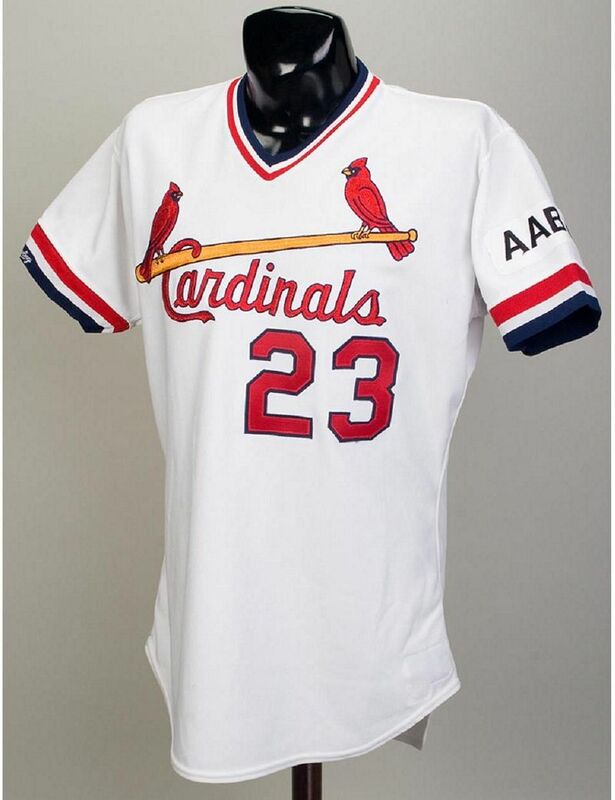 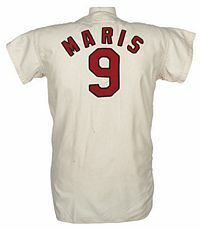 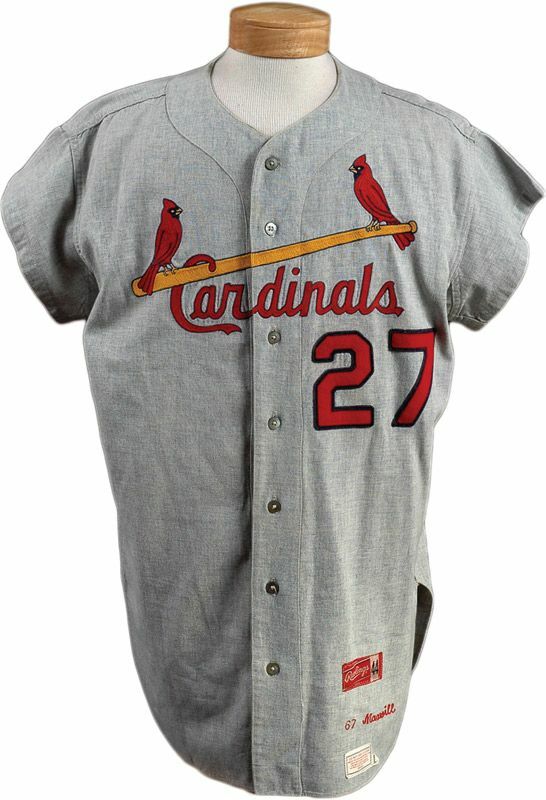 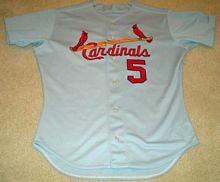 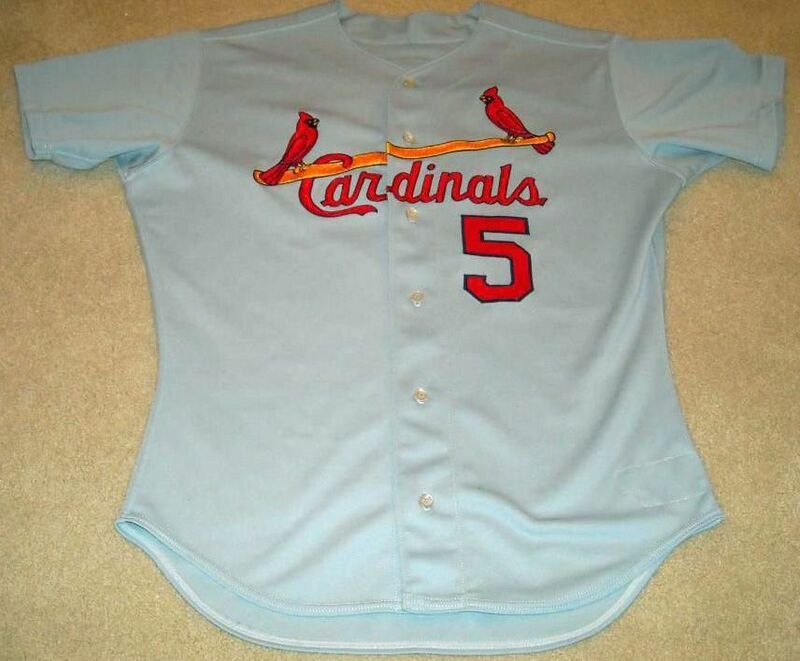 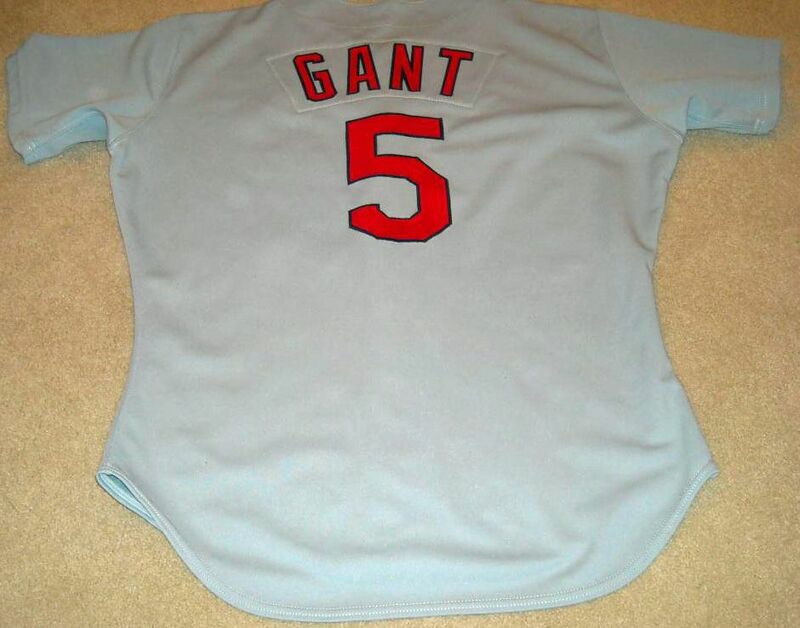 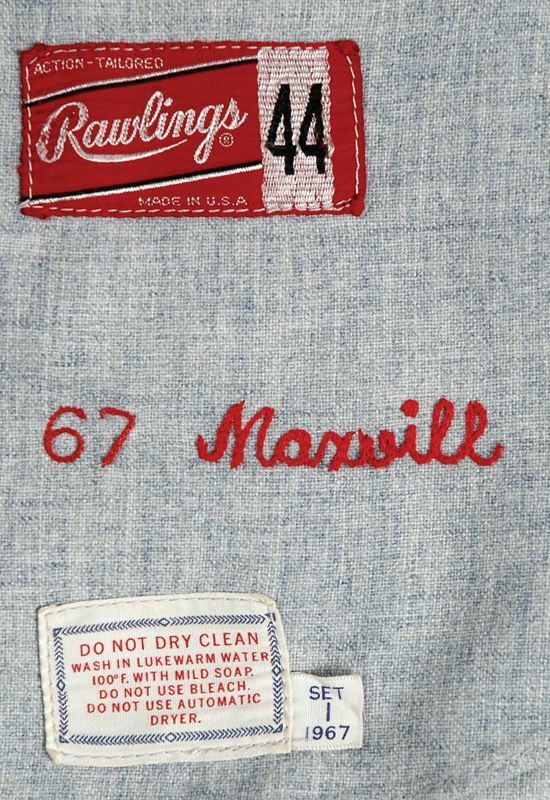 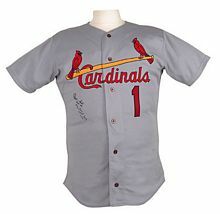 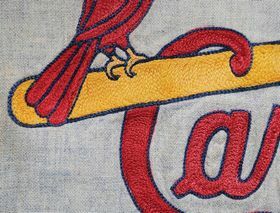 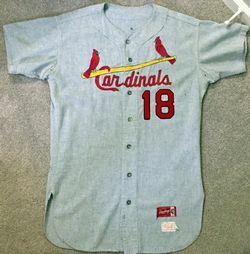 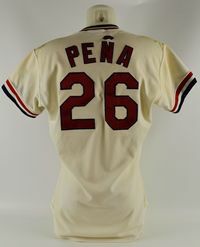 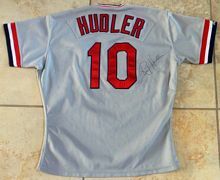 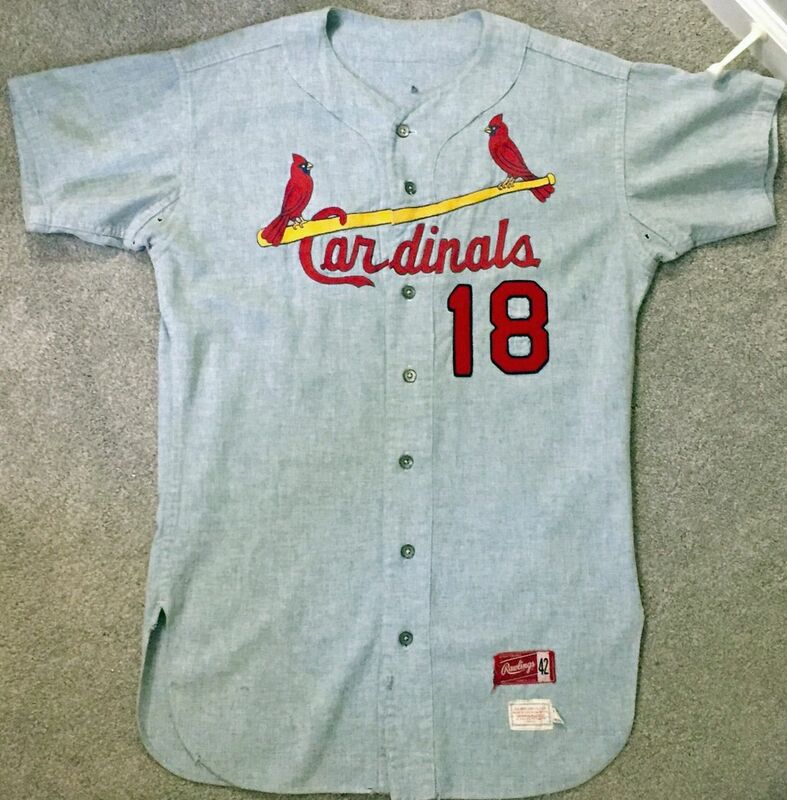 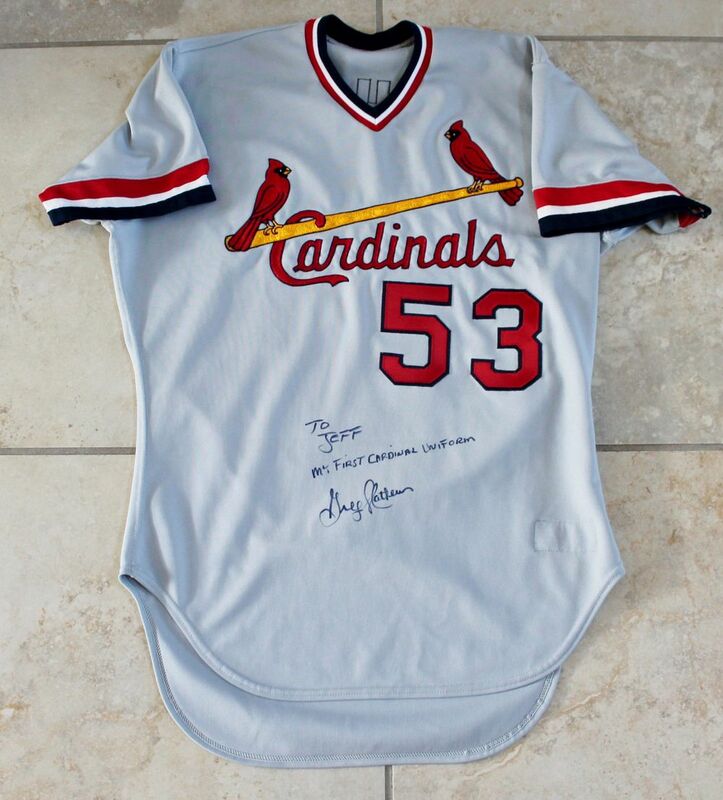 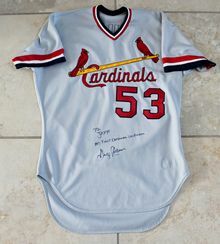 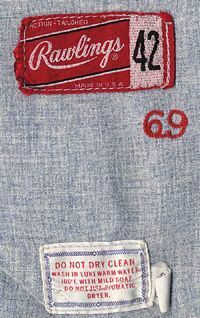 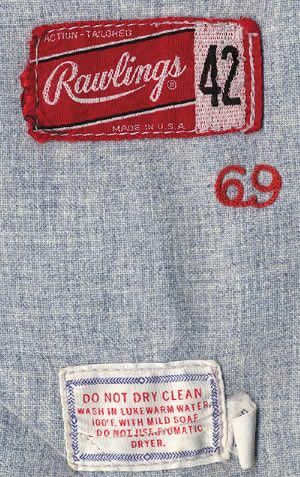 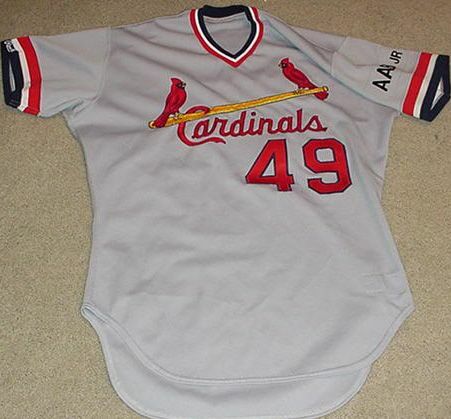 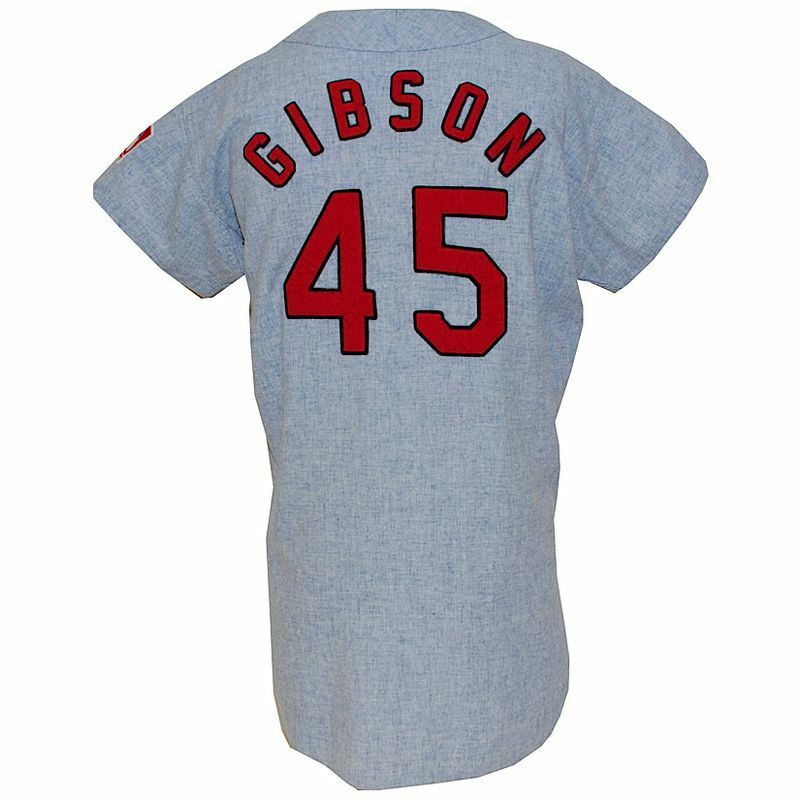 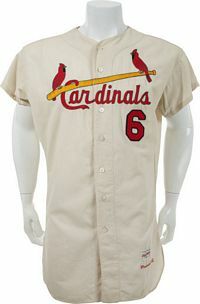 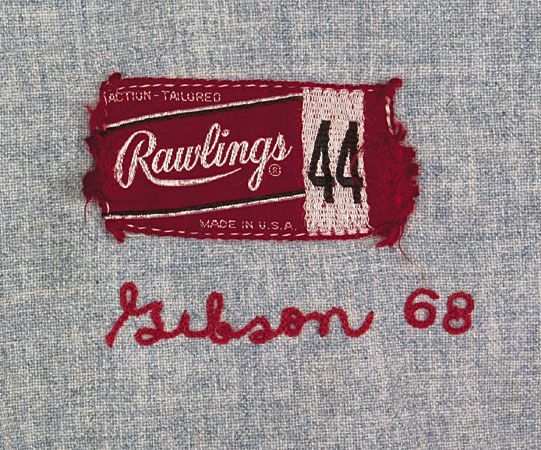 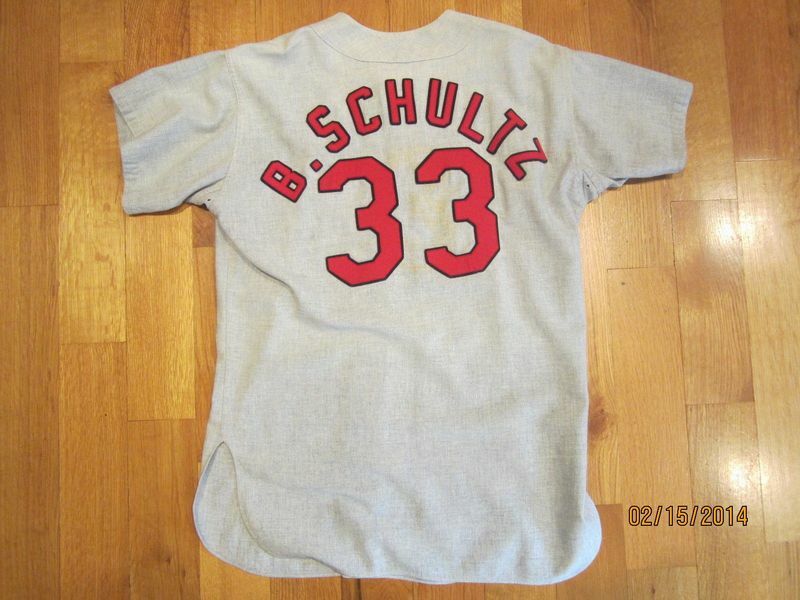 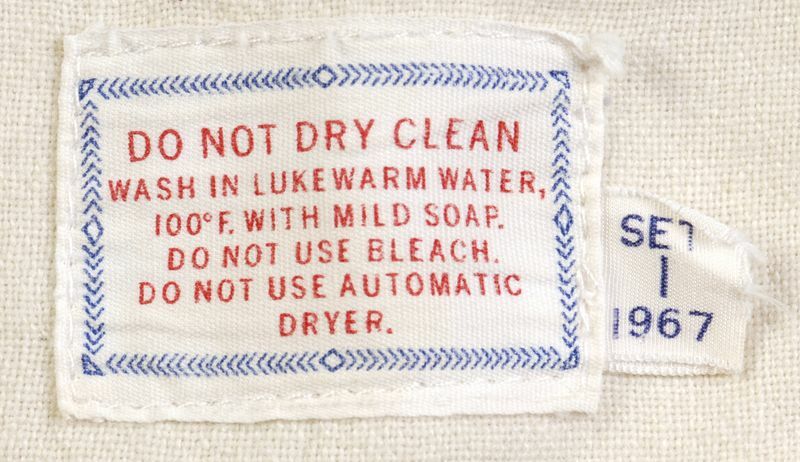 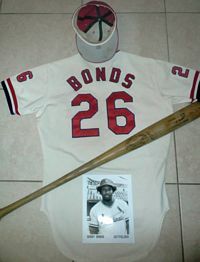 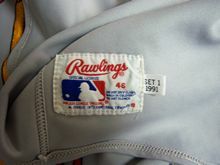 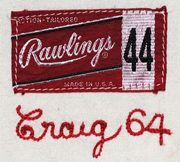 The Cards adopt the pullover style. 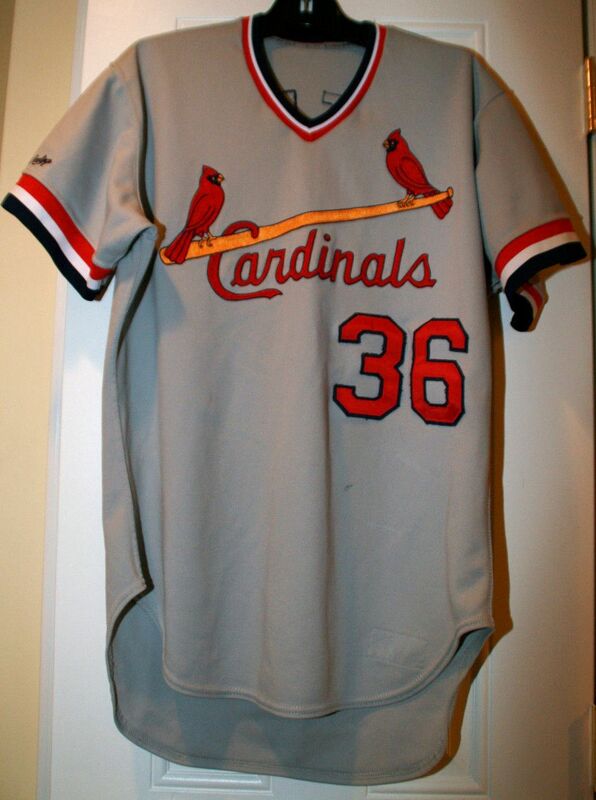 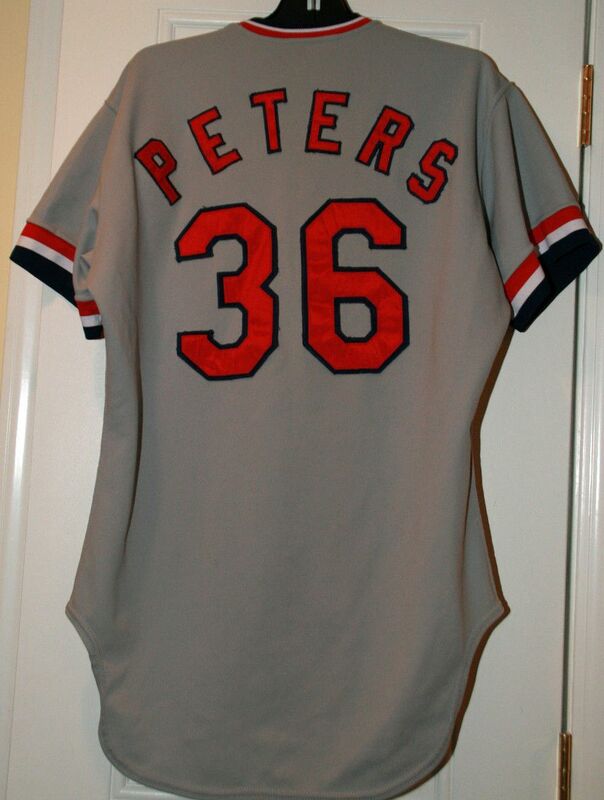 The road jersey is a very light grey. Jerseys now have tails instead of a straight cut. 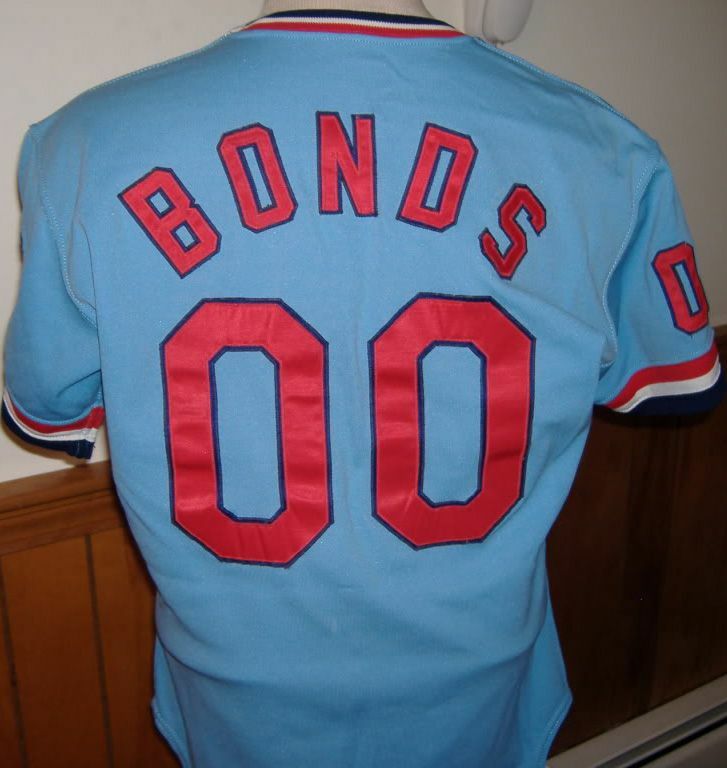 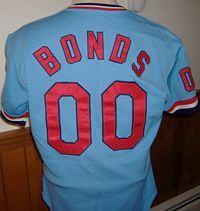 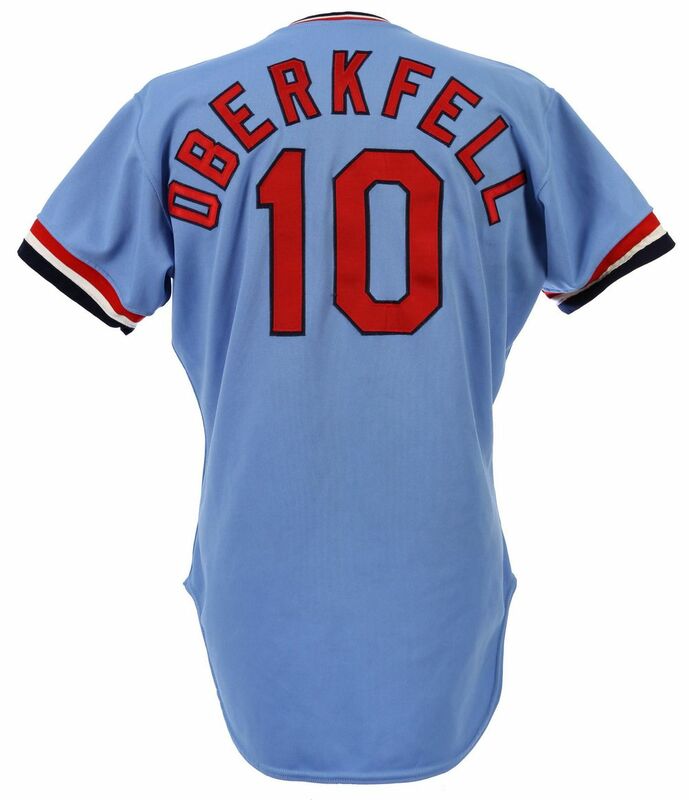 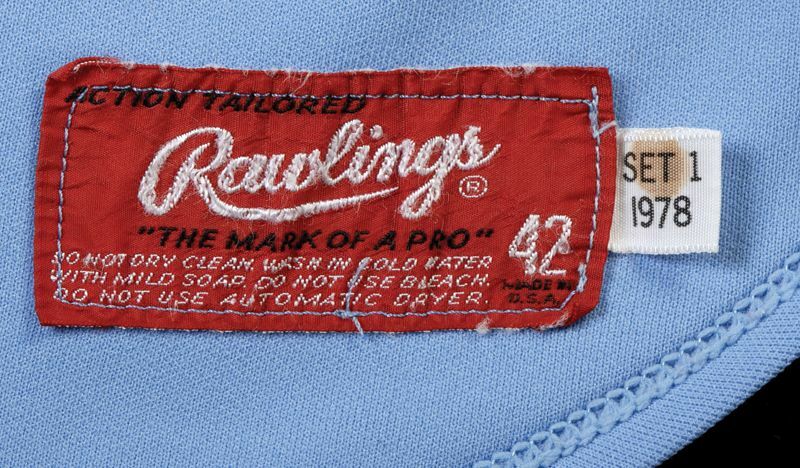 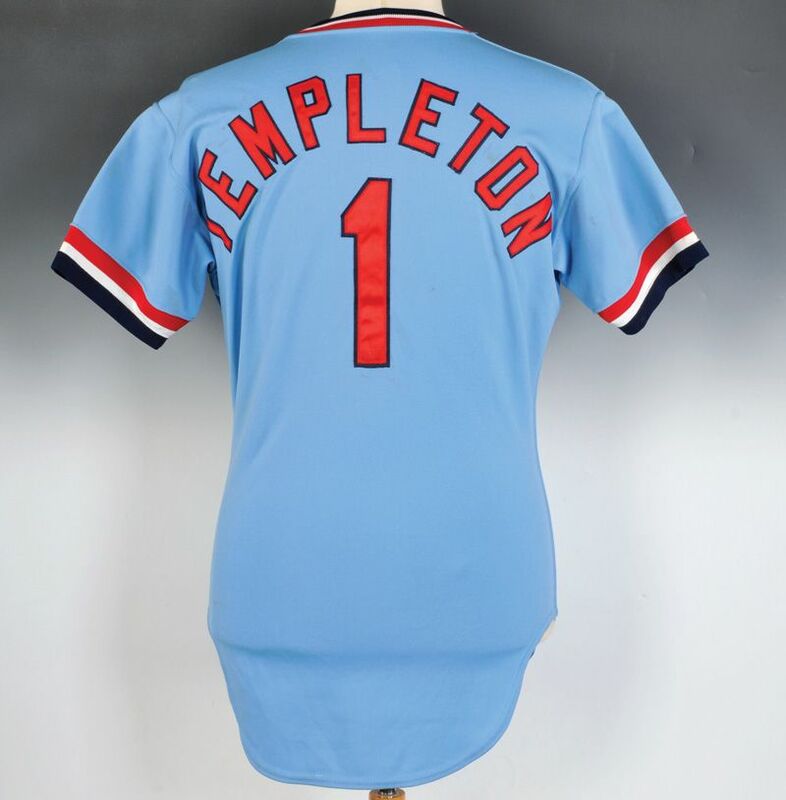 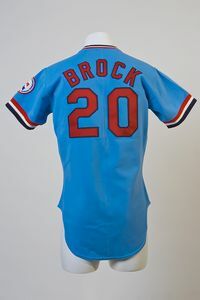 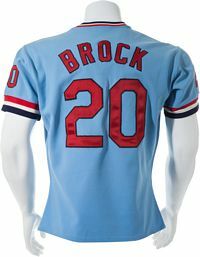 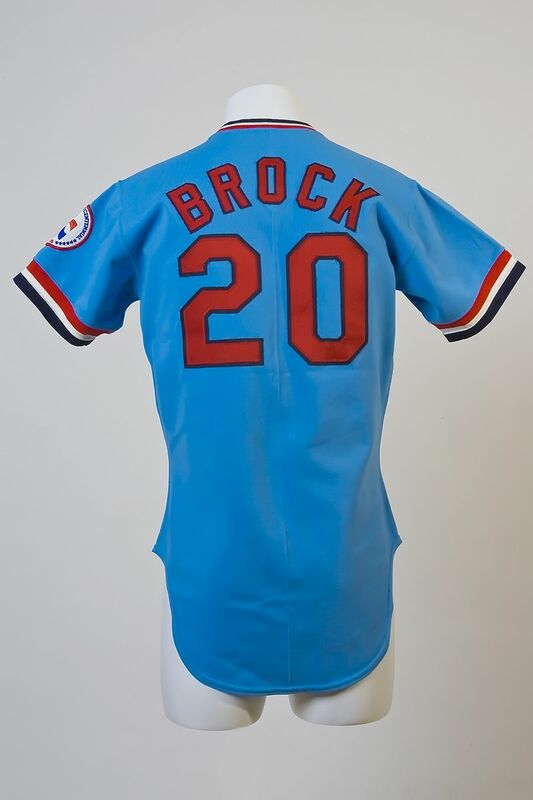 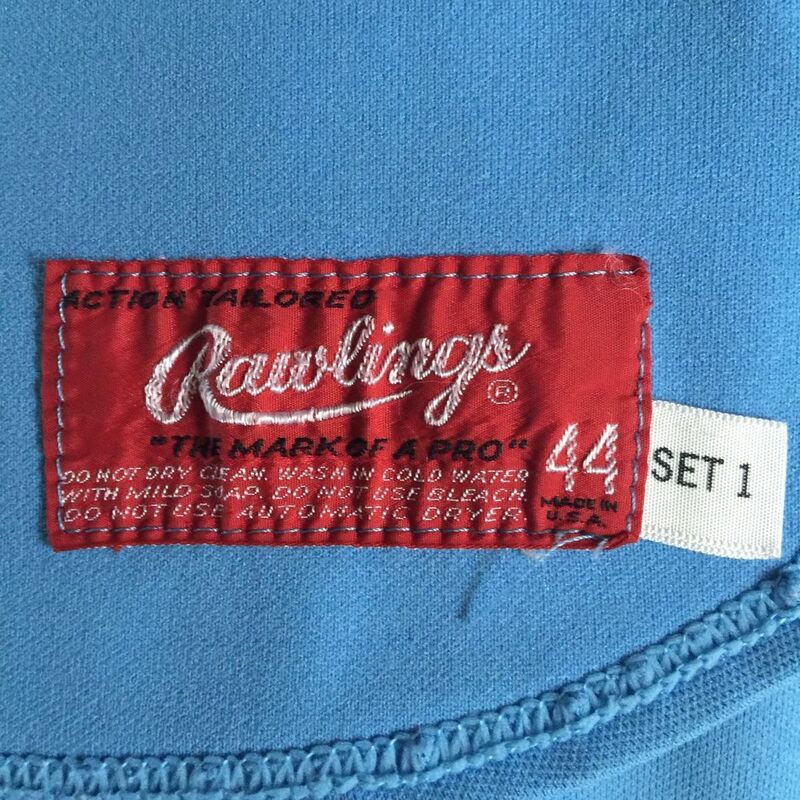 Road jersey follows the powder blue trend. 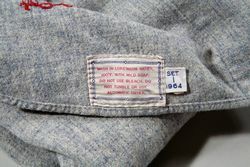 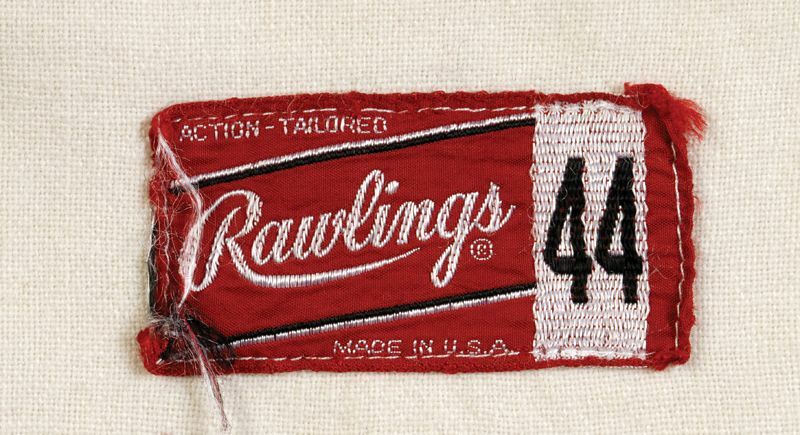 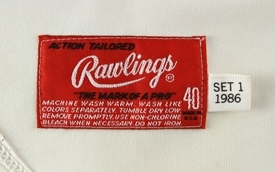 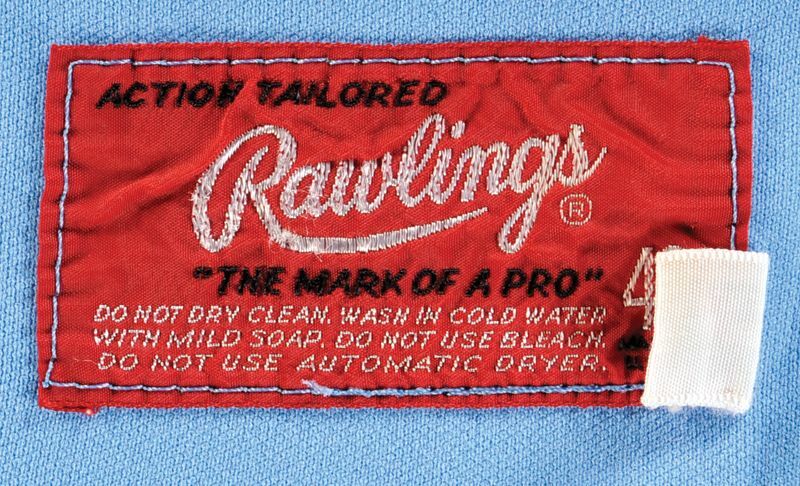 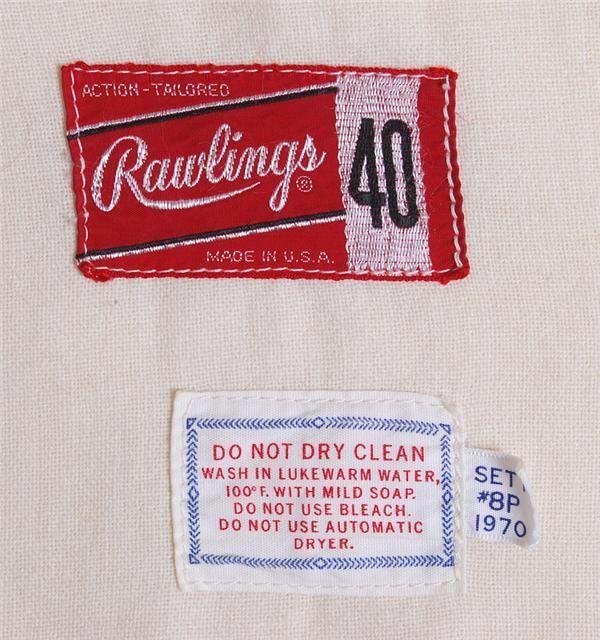 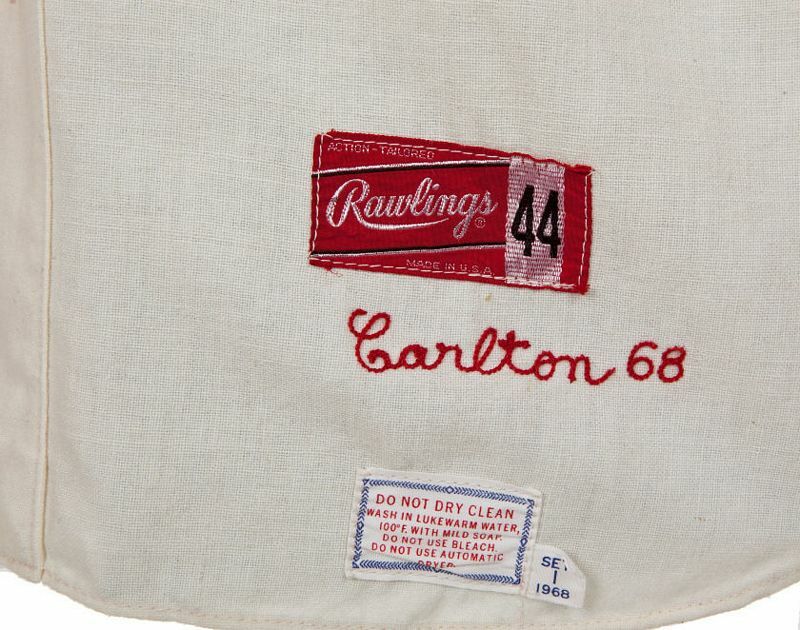 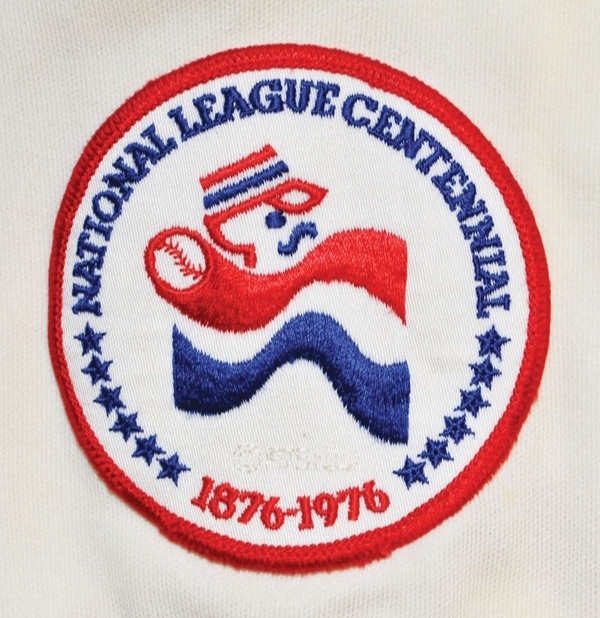 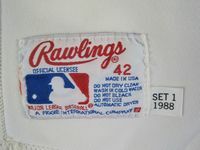 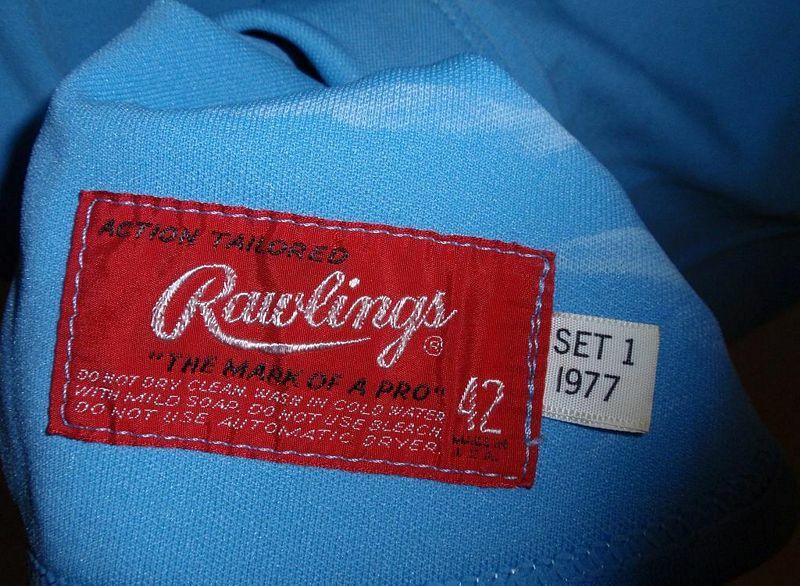 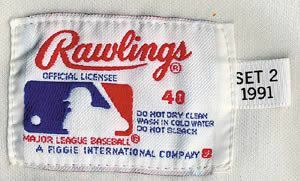 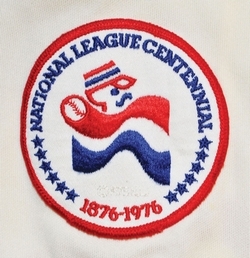 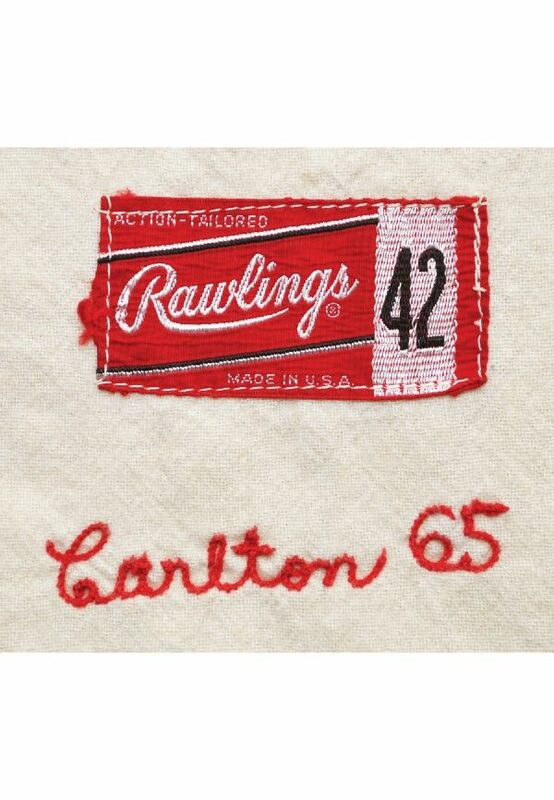 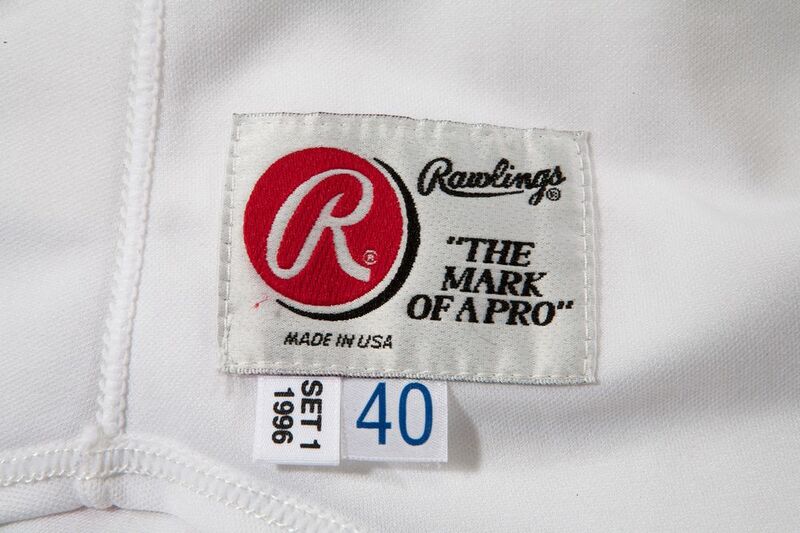 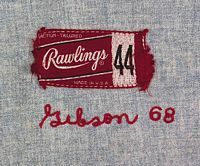 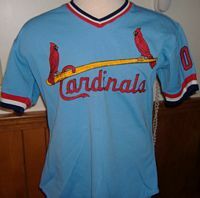 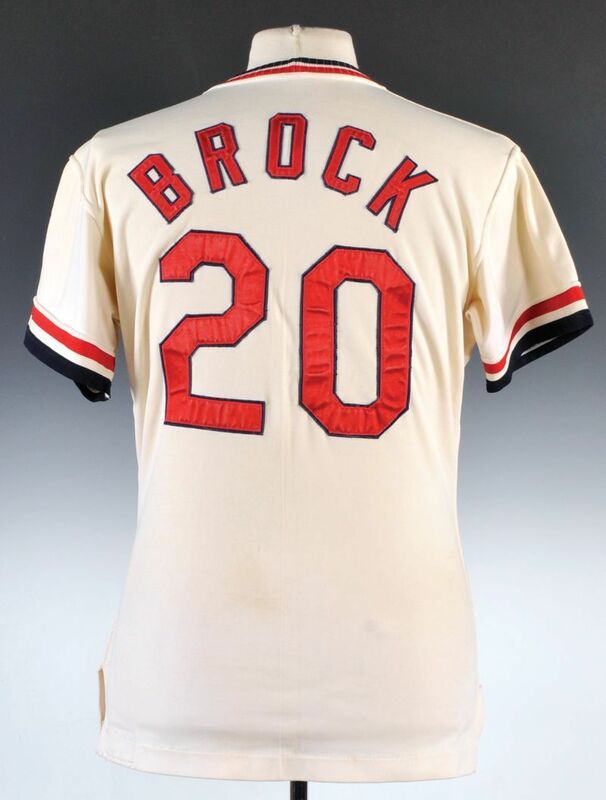 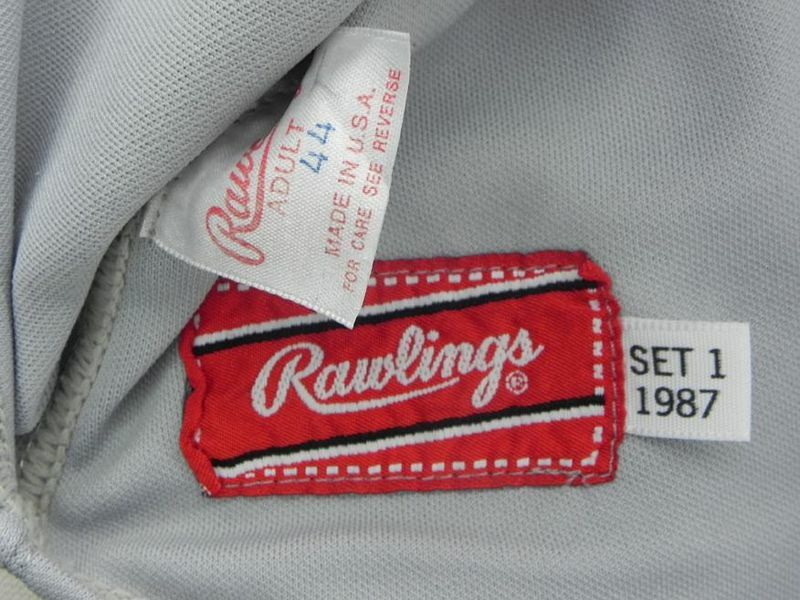 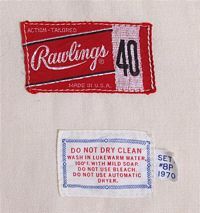 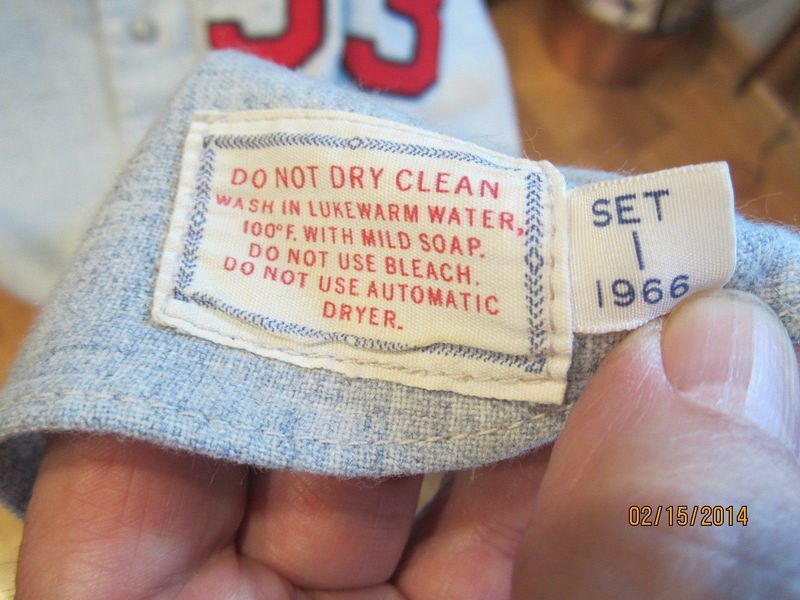 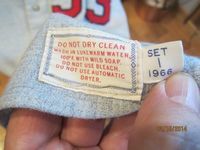 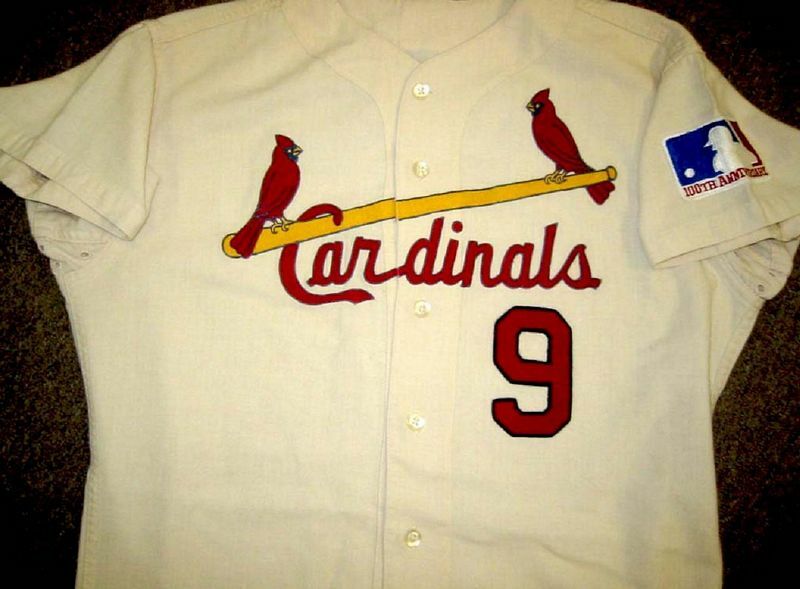 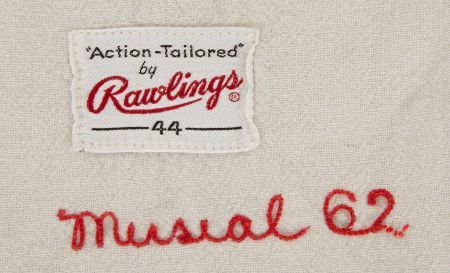 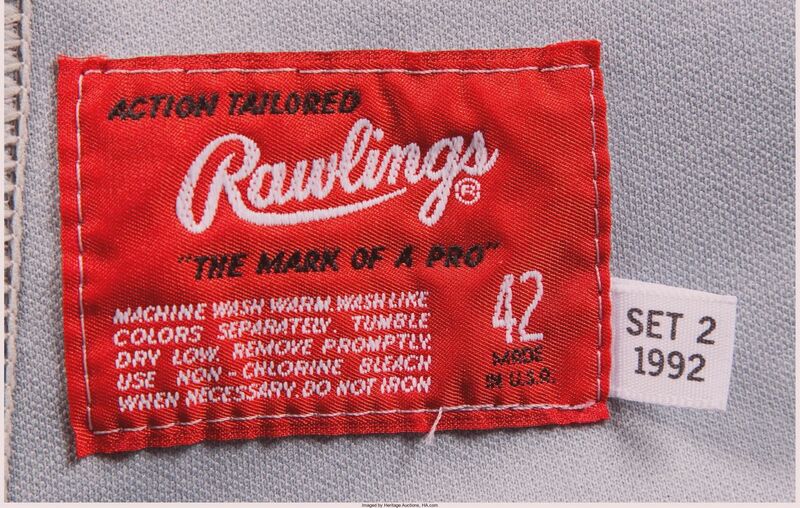 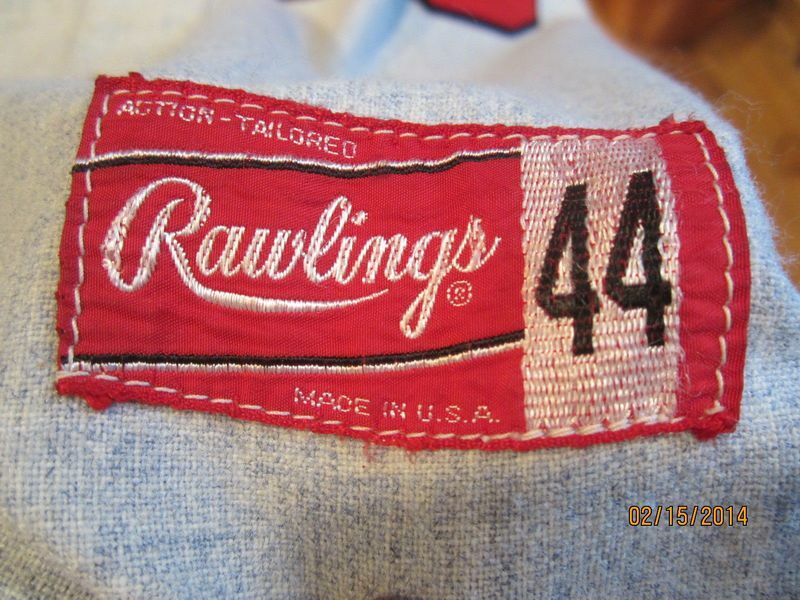 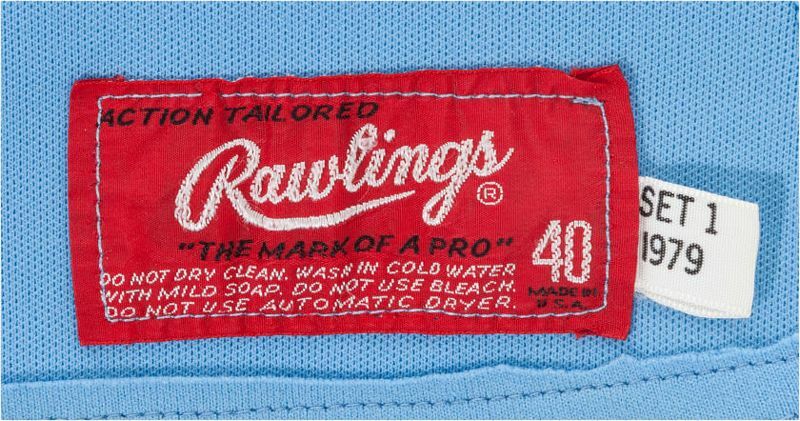 NL Centennial sleeve patch on 1976 jerseys. 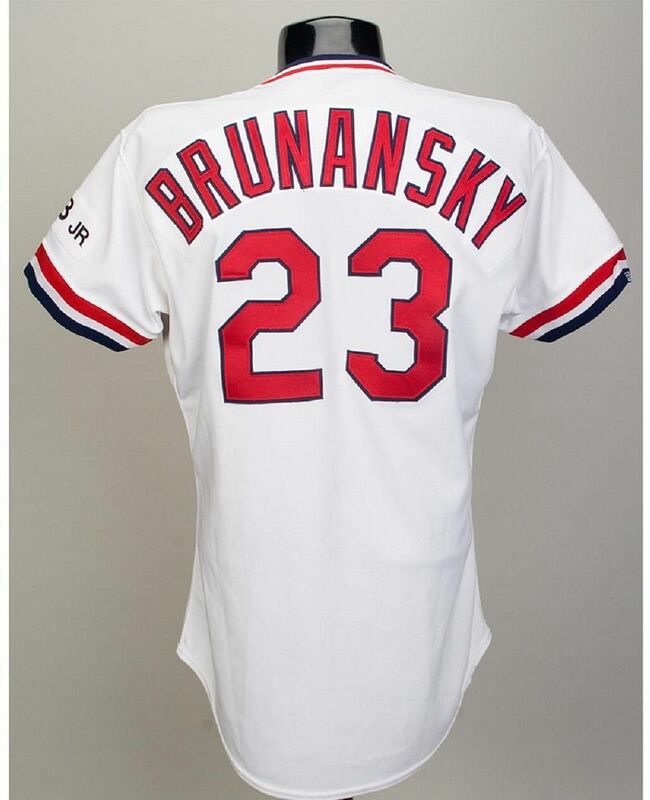 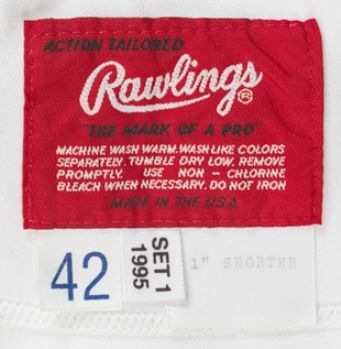 Numbers moved from front to sleeves. 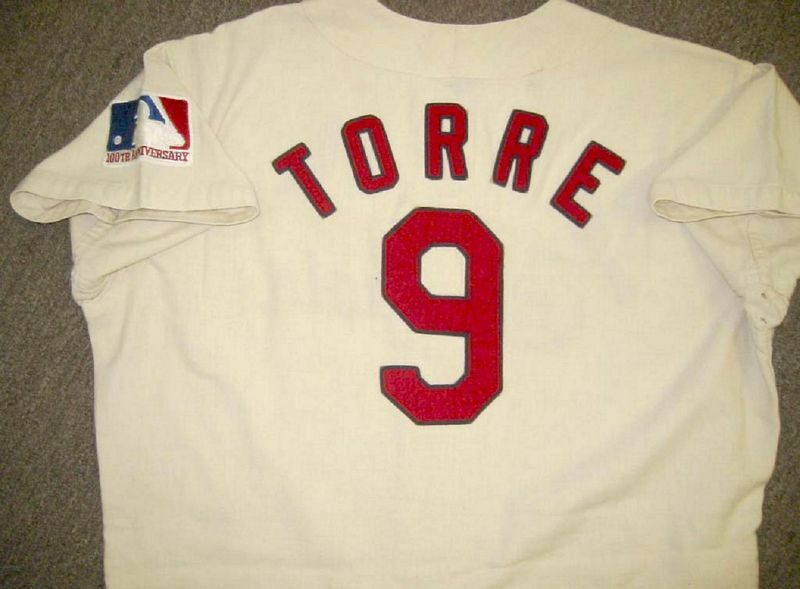 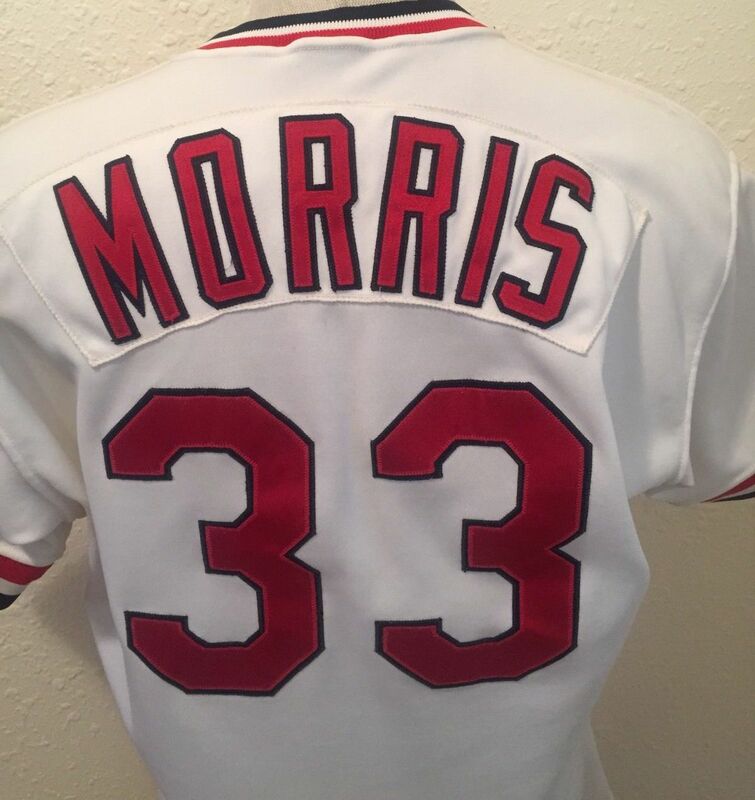 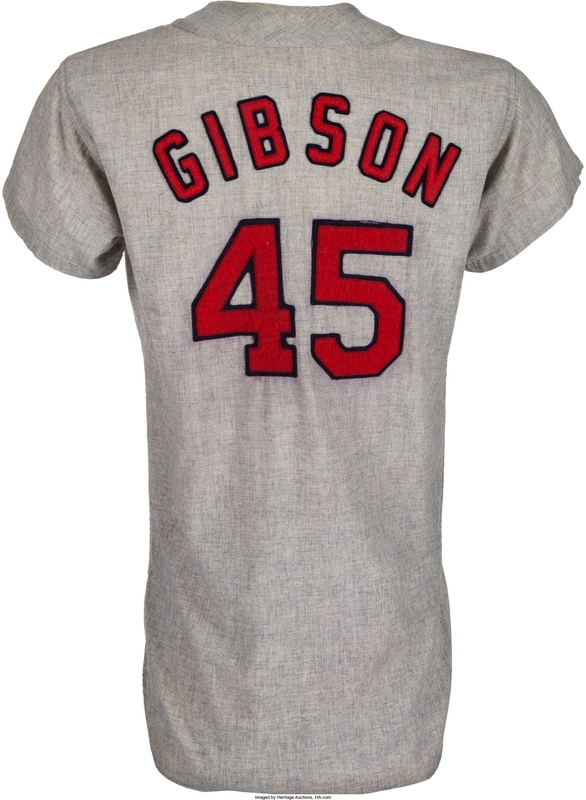 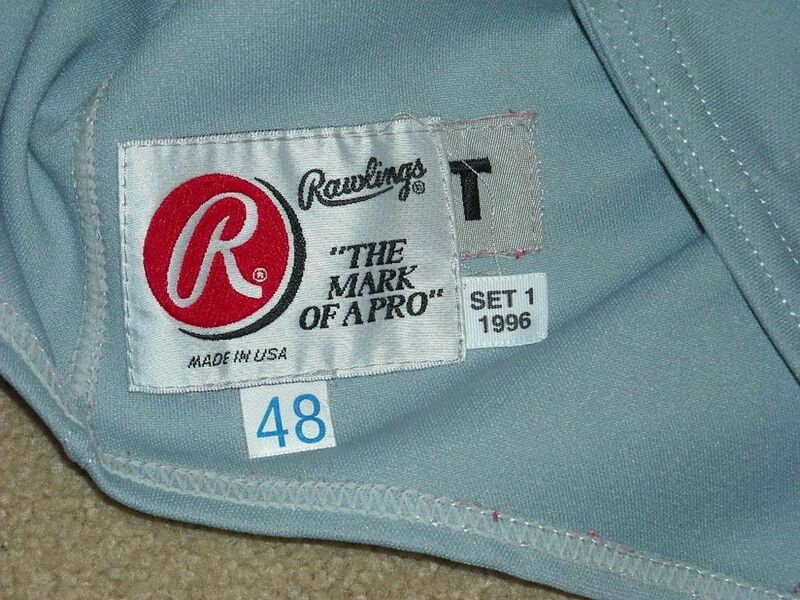 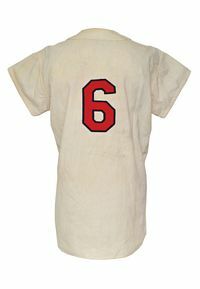 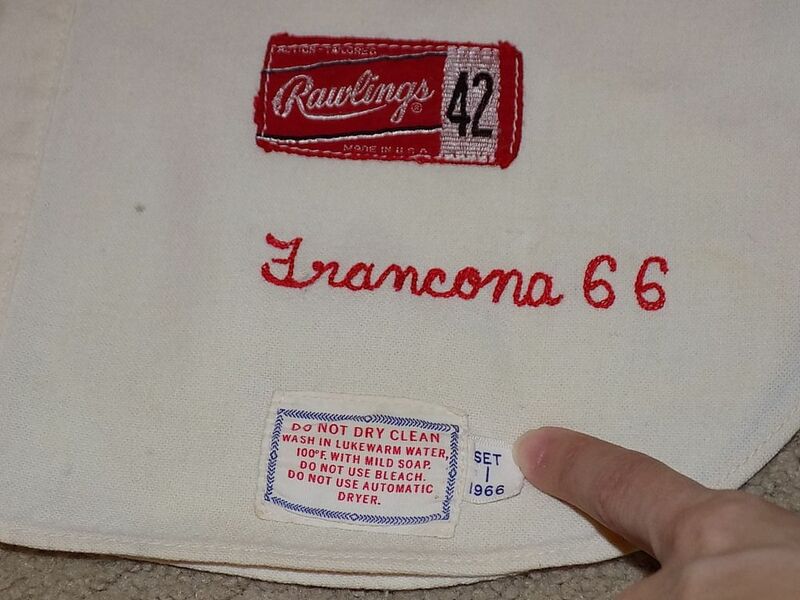 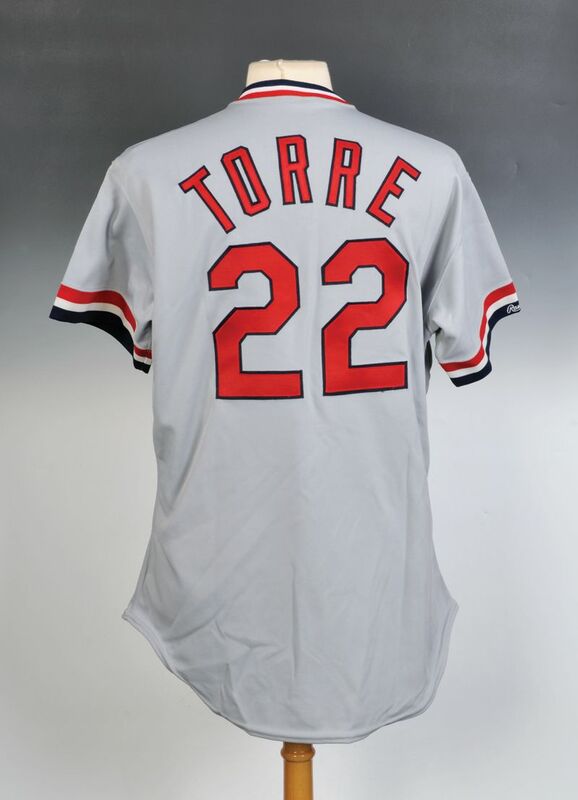 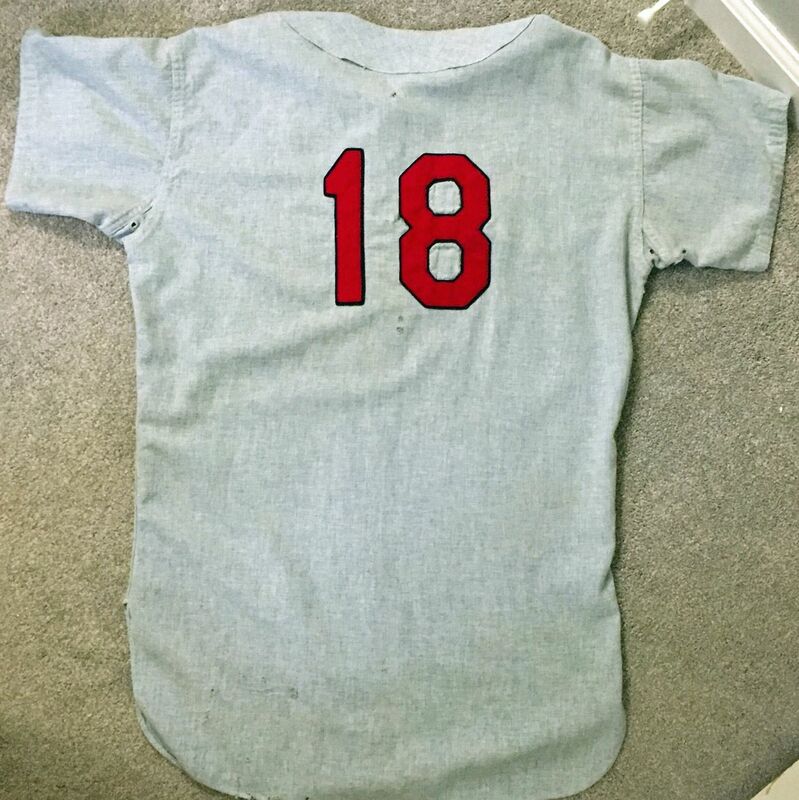 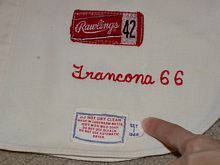 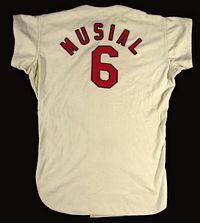 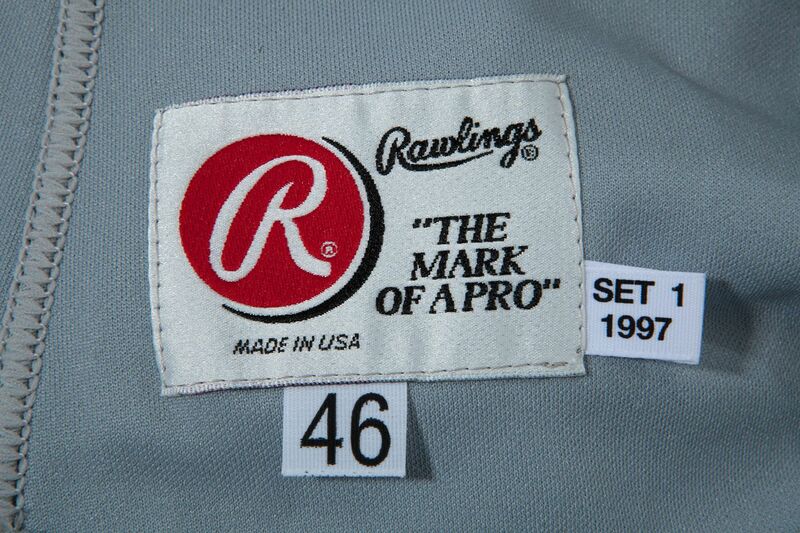 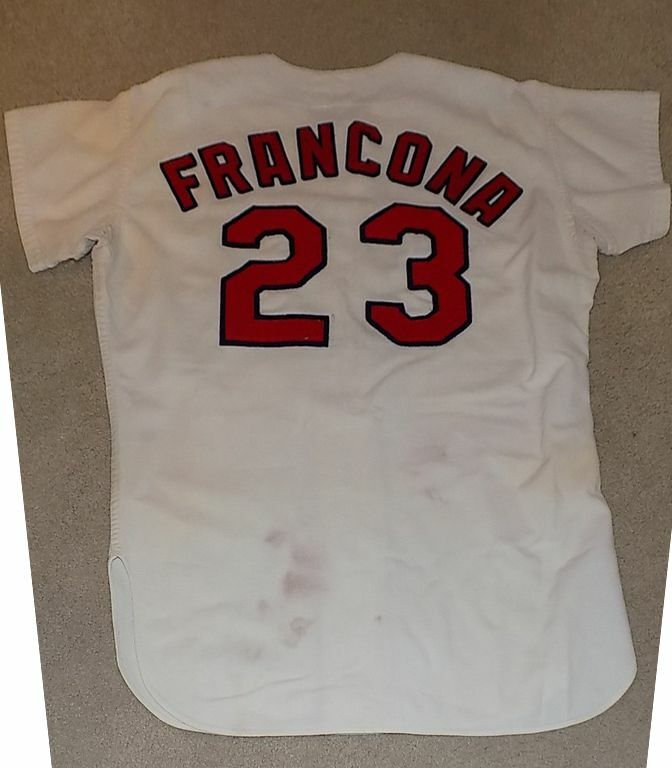 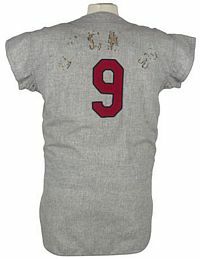 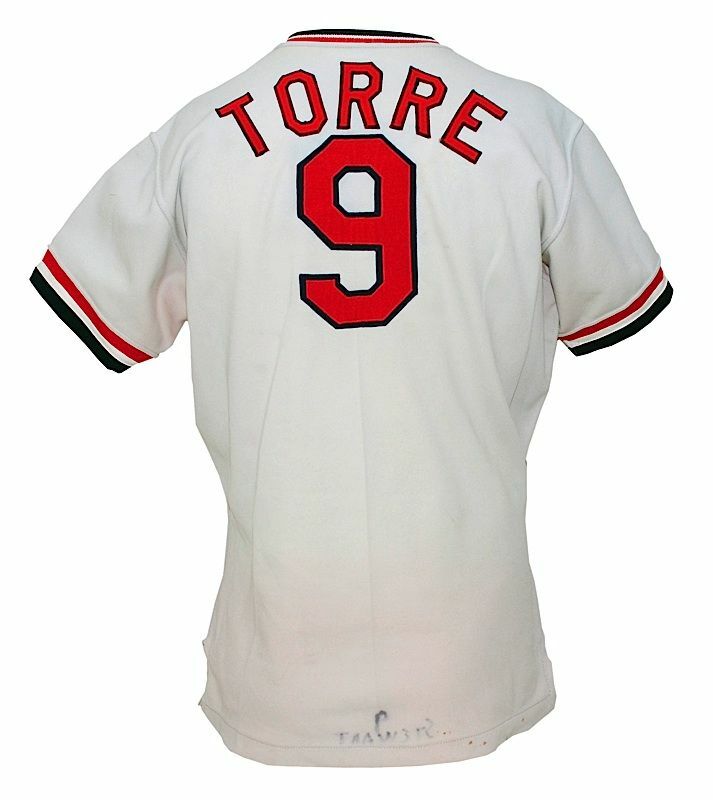 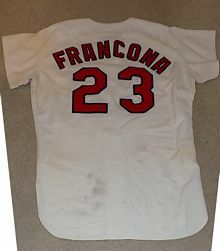 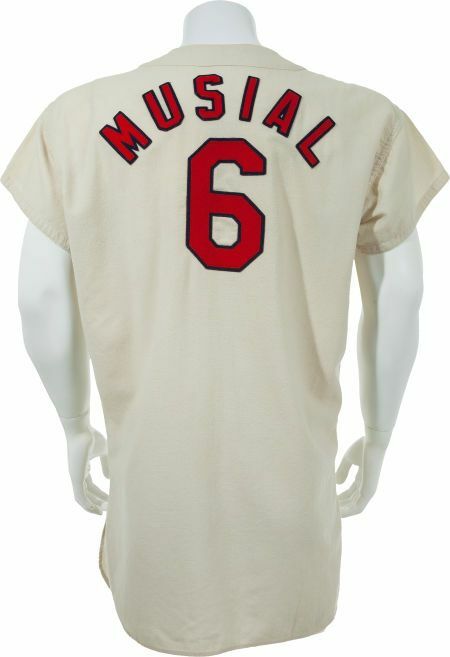 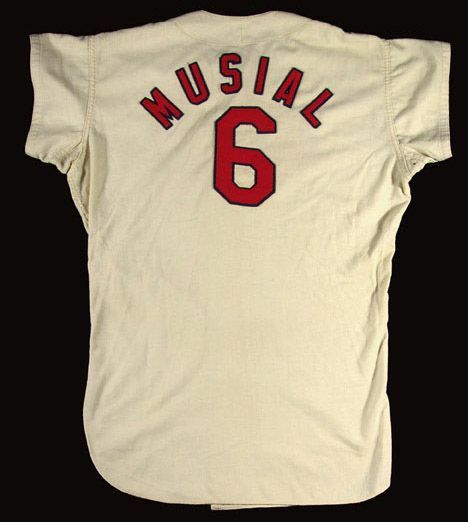 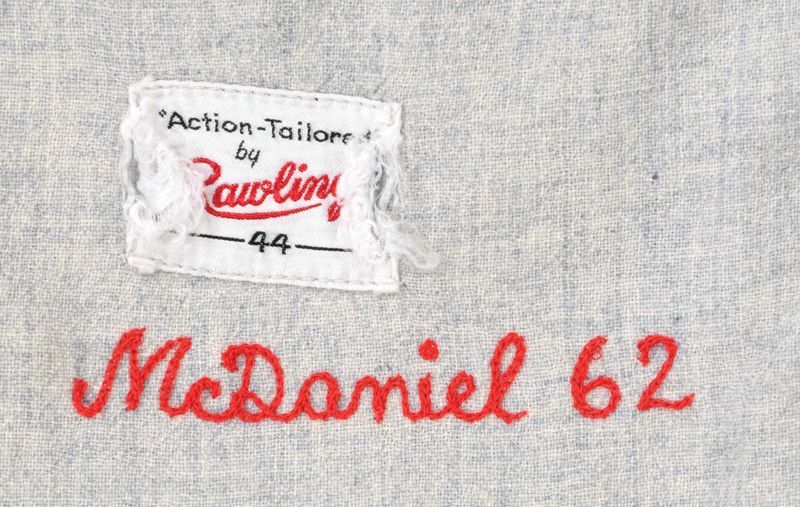 Numbers return to front, sleeve numbers removed. Road jersey returns to grey. 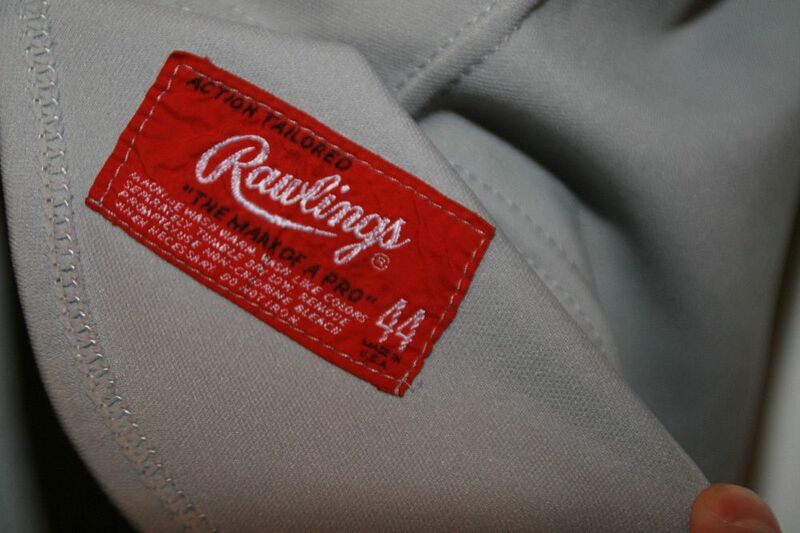 Button-downs return. 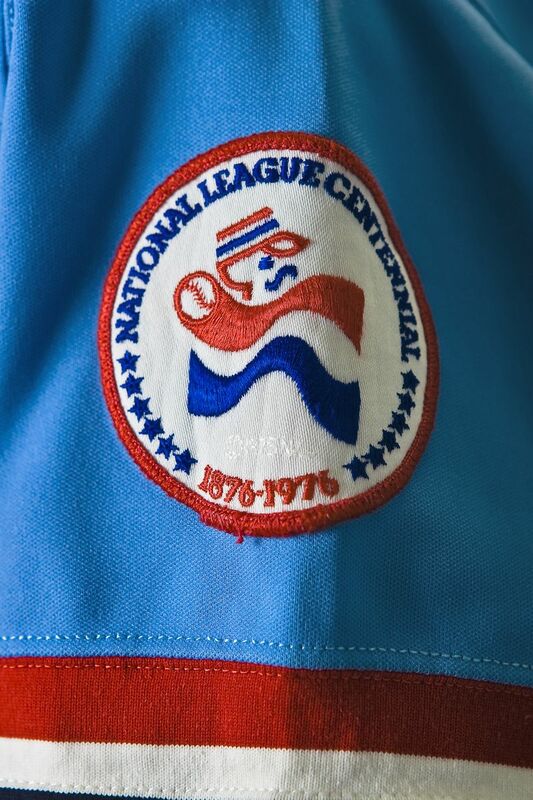 Sleeve cuffs and collar trim dropped. 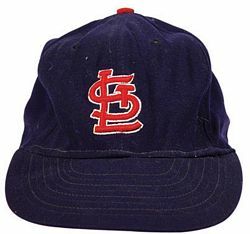 Road cap returns to navy. 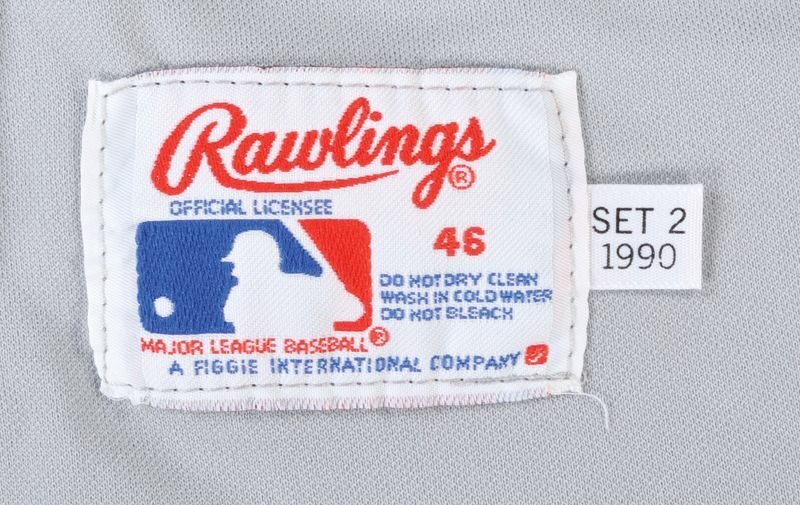 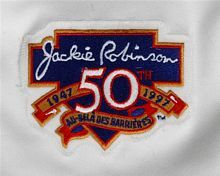 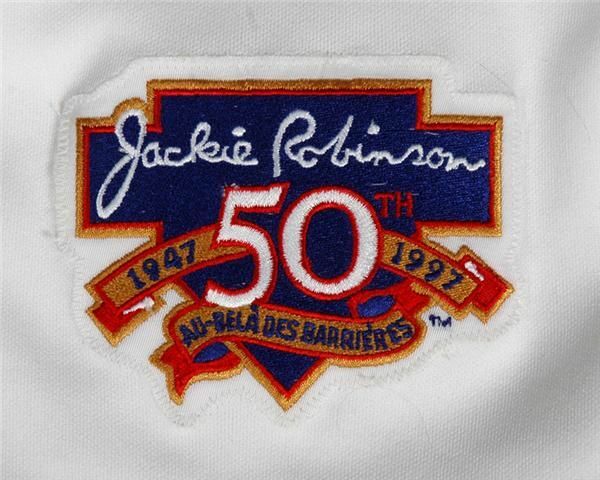 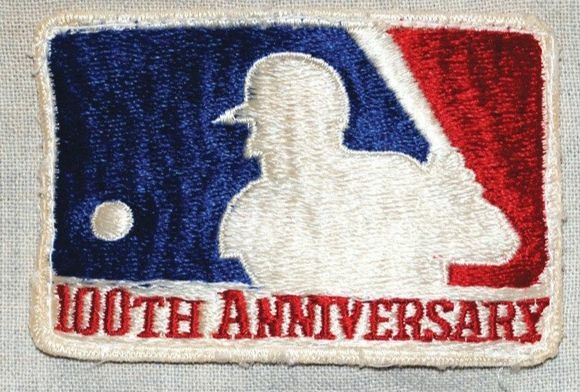 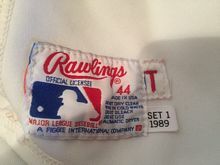 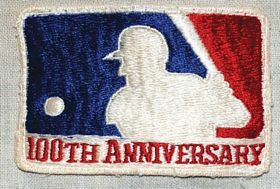 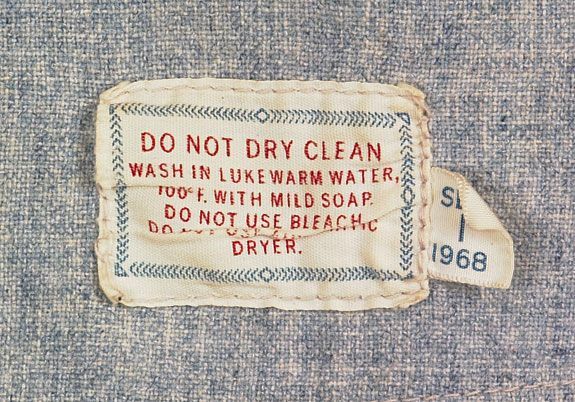 100th anniversary sleeve patch worn in 1992 on both sets. 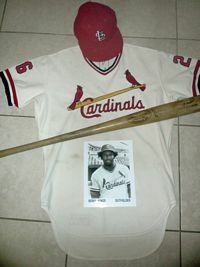 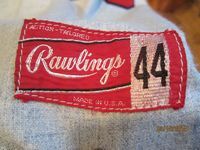 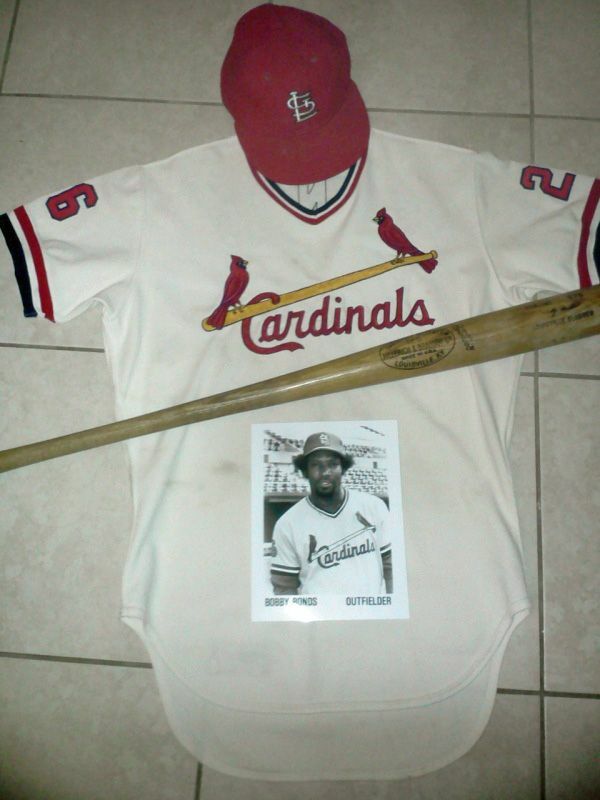 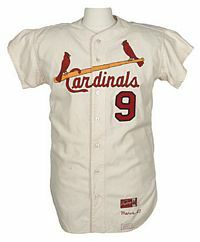 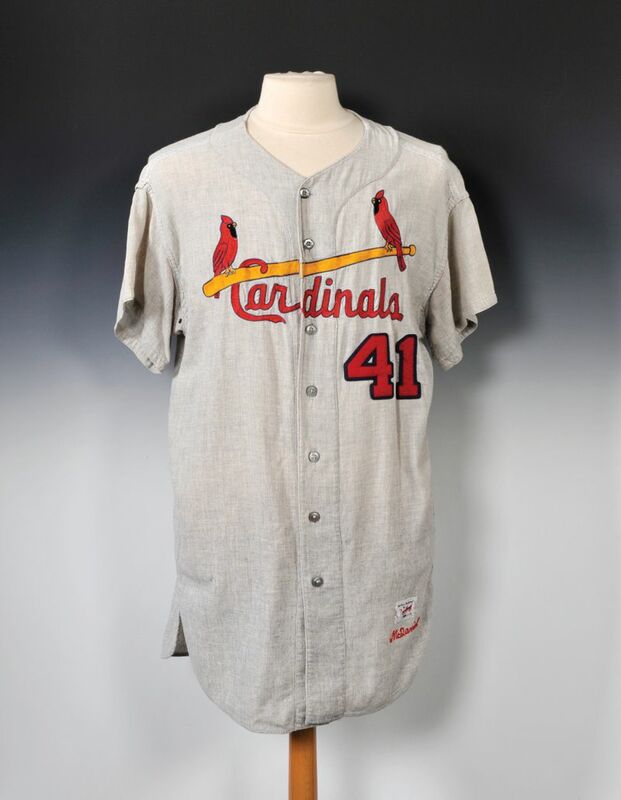 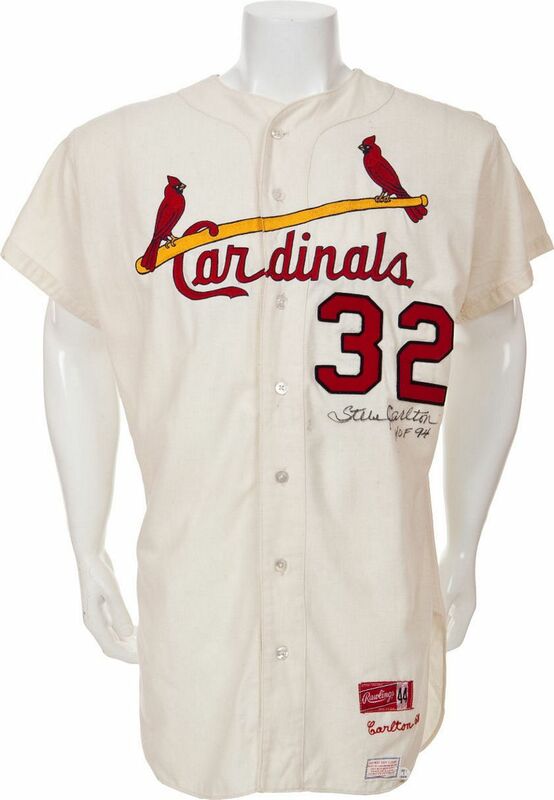 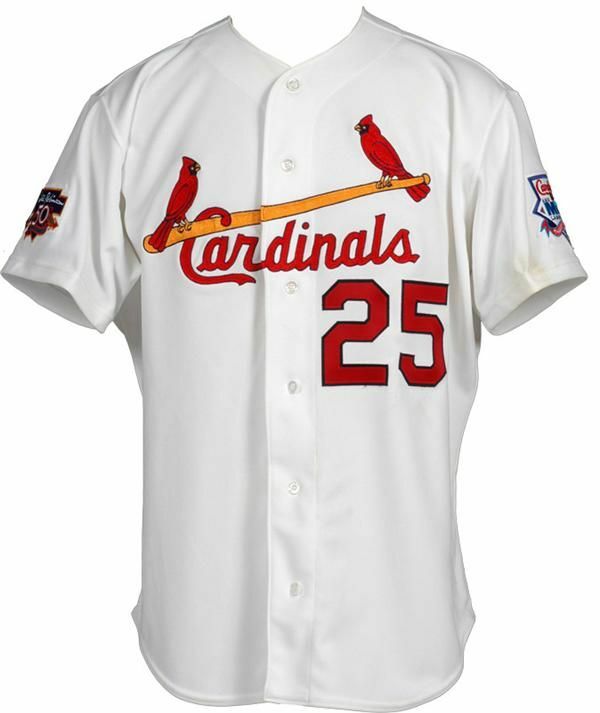 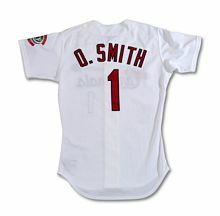 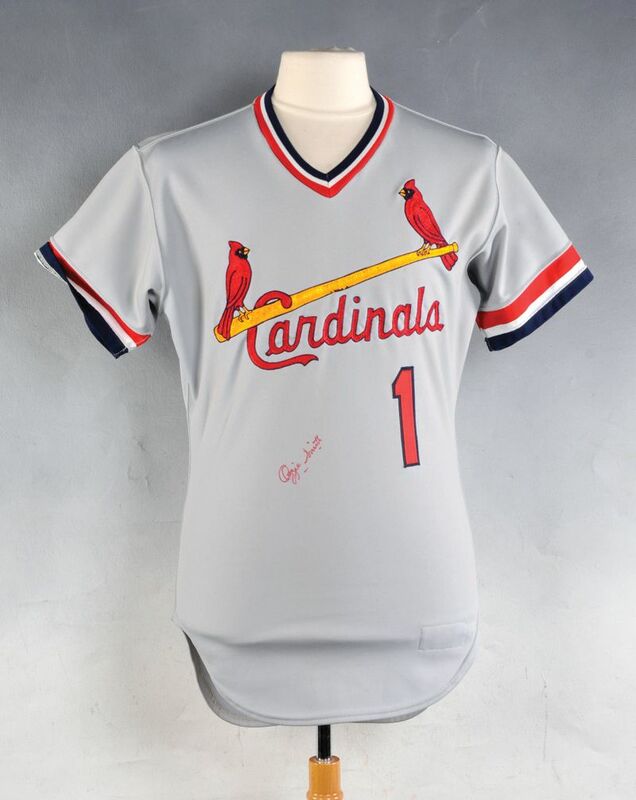 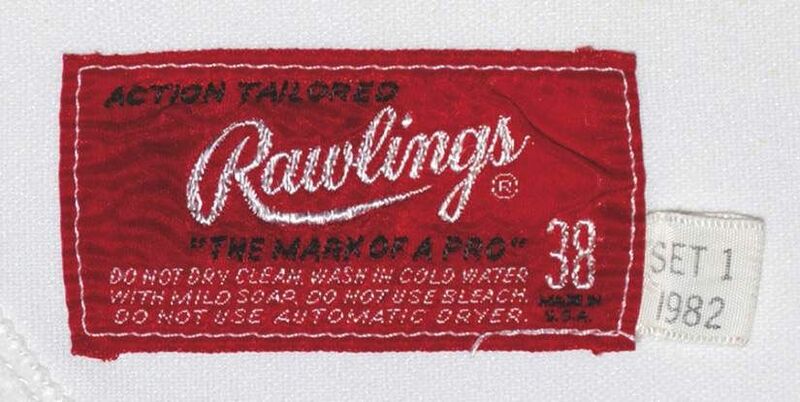 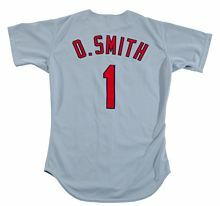 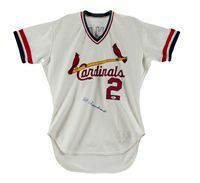 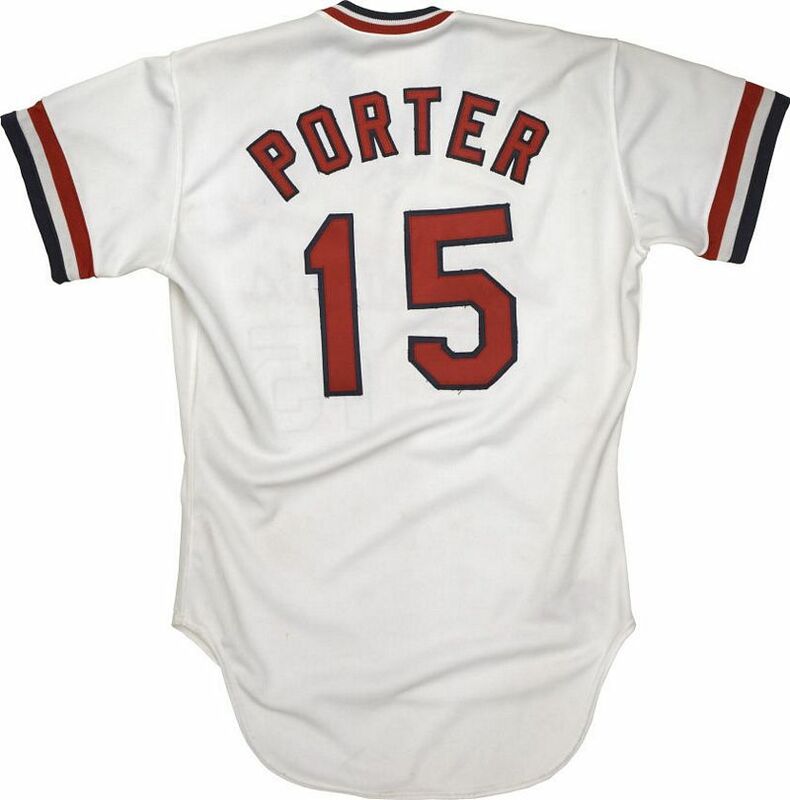 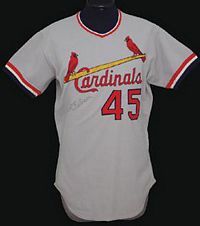 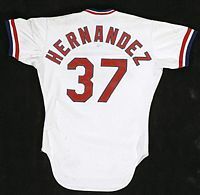 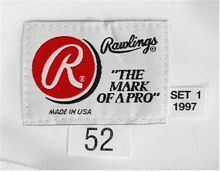 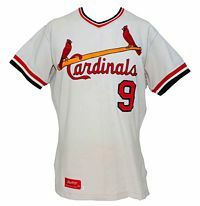 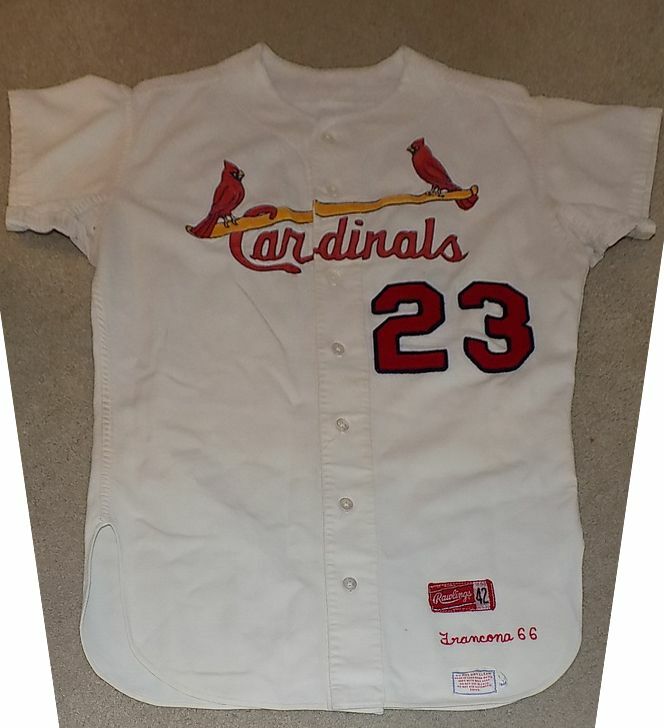 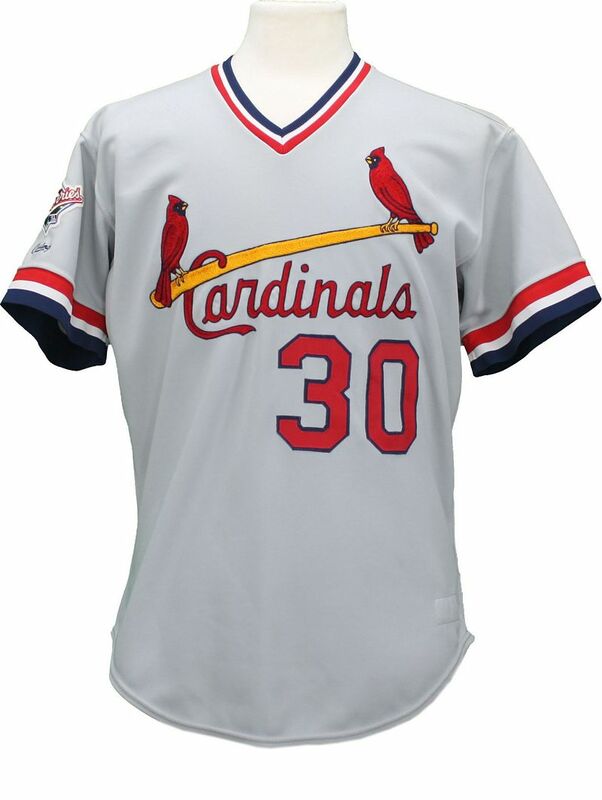 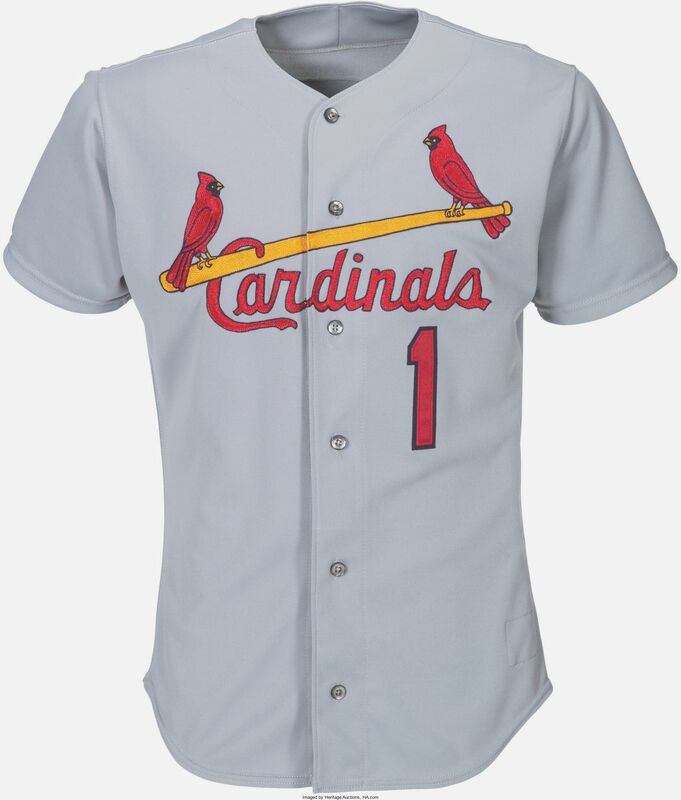 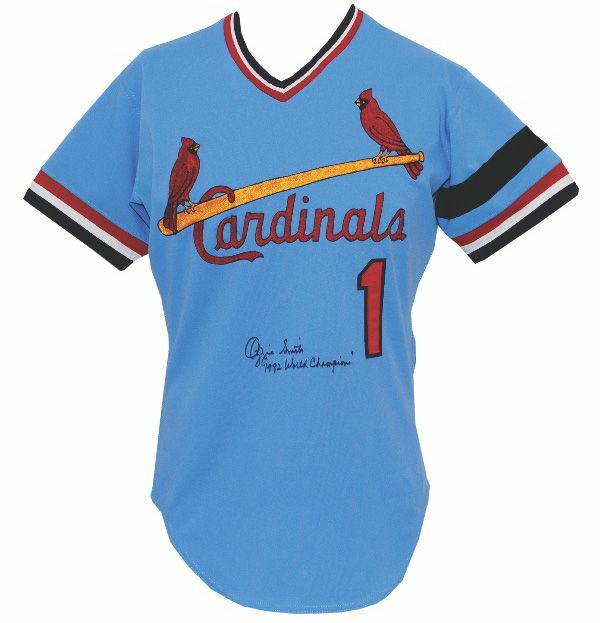 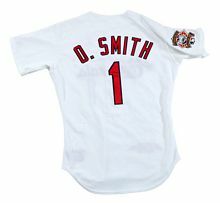 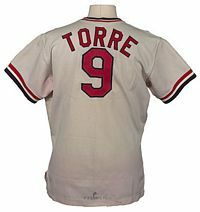 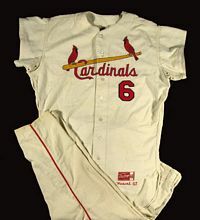 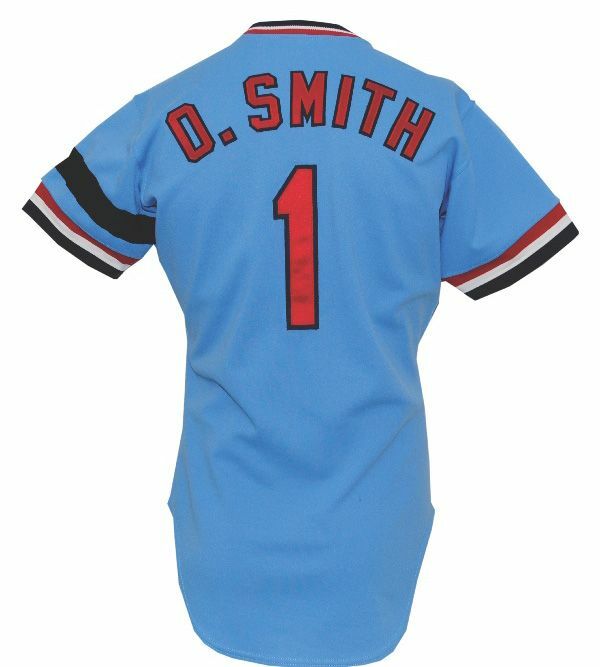 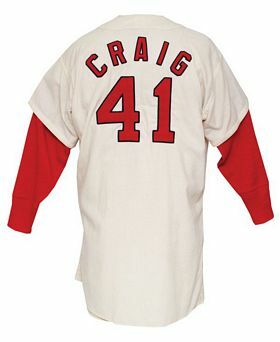 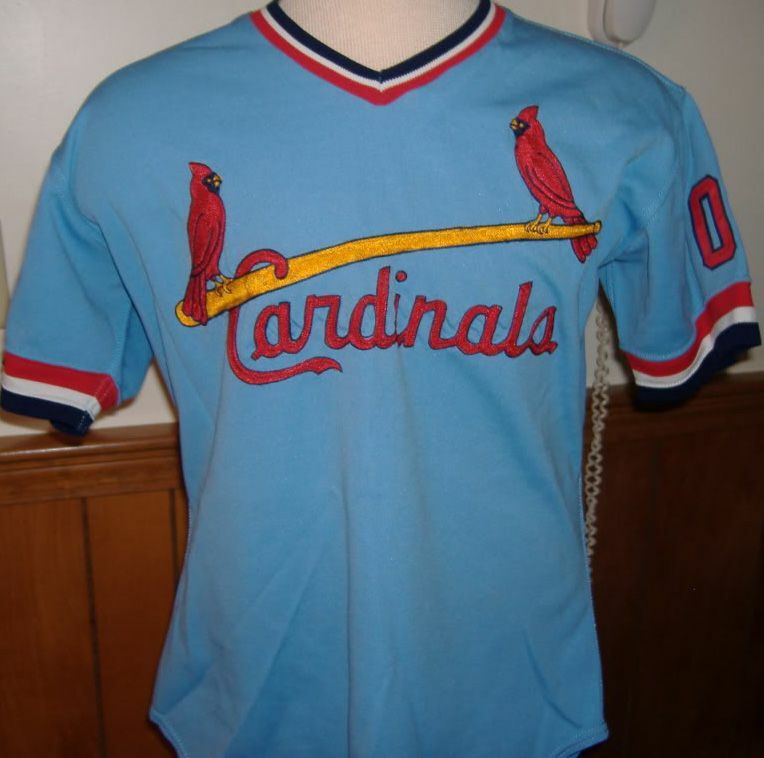 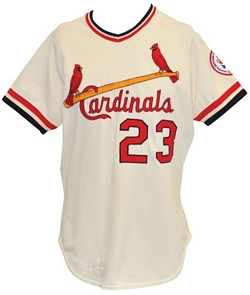 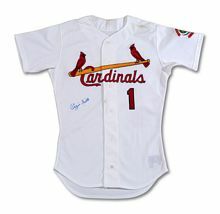 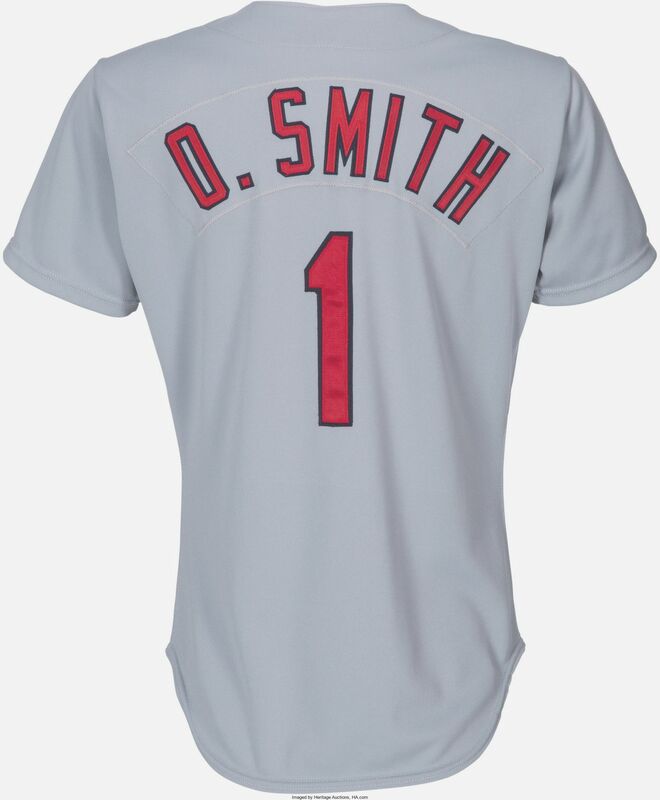 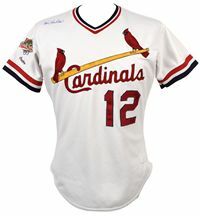 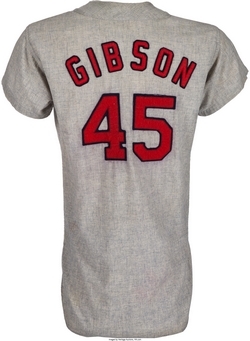 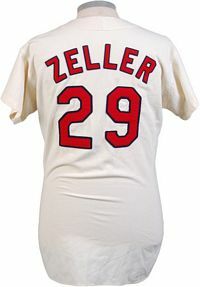 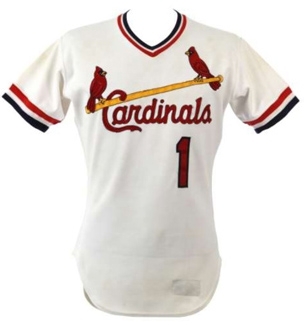 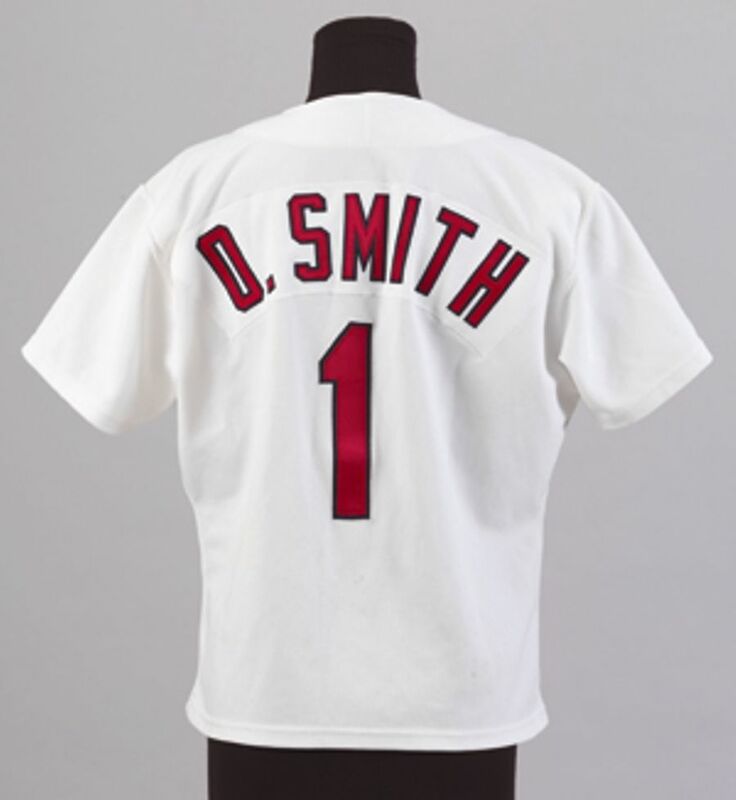 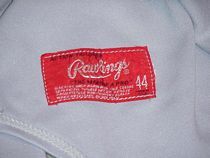 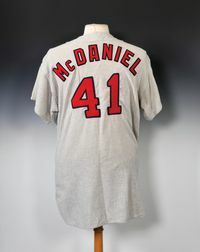 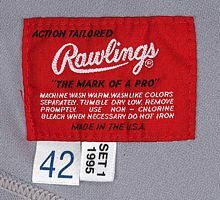 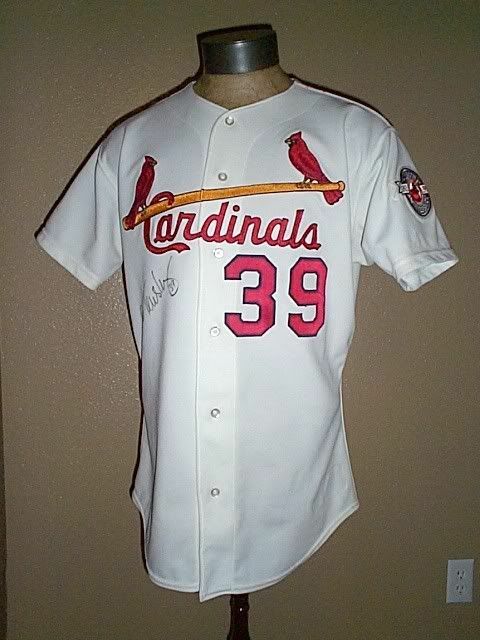 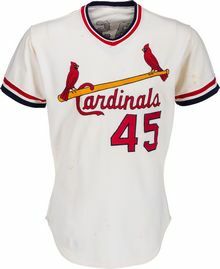 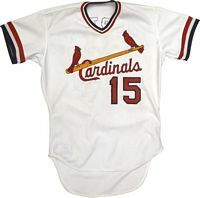 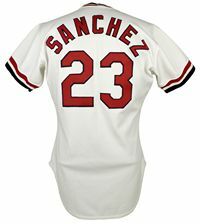 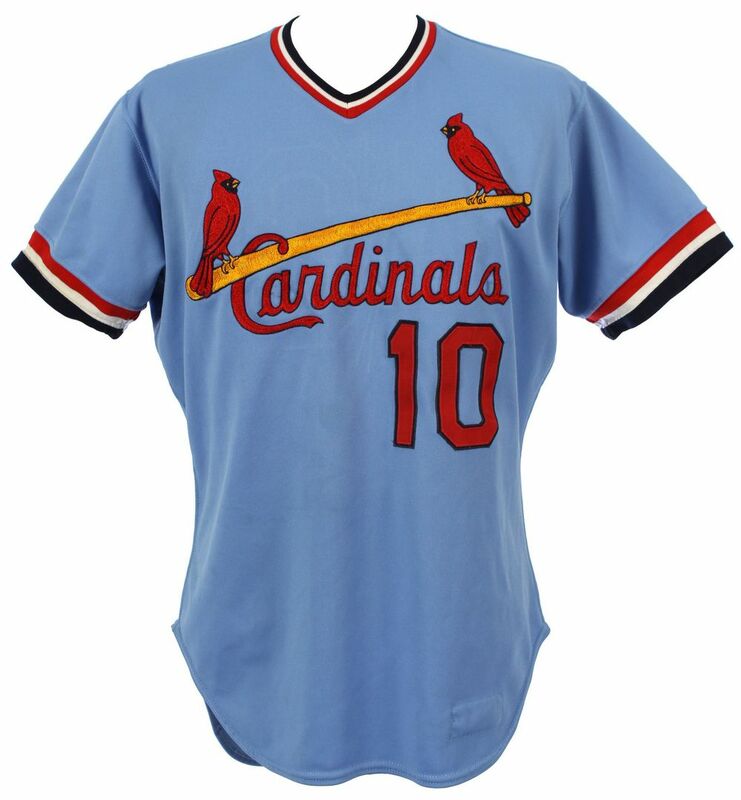 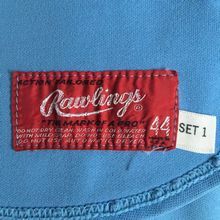 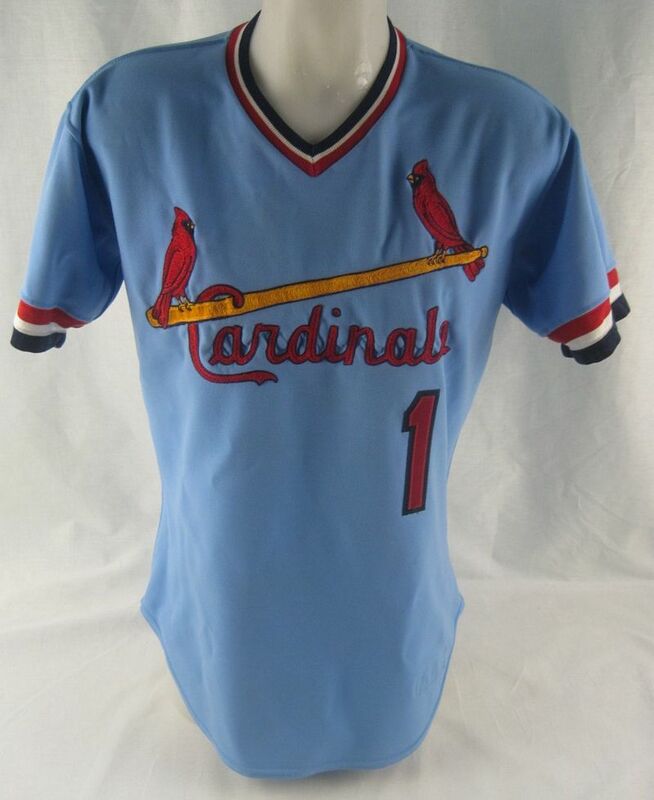 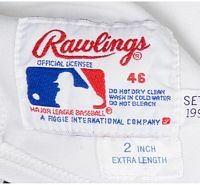 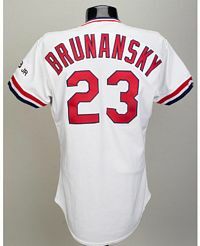 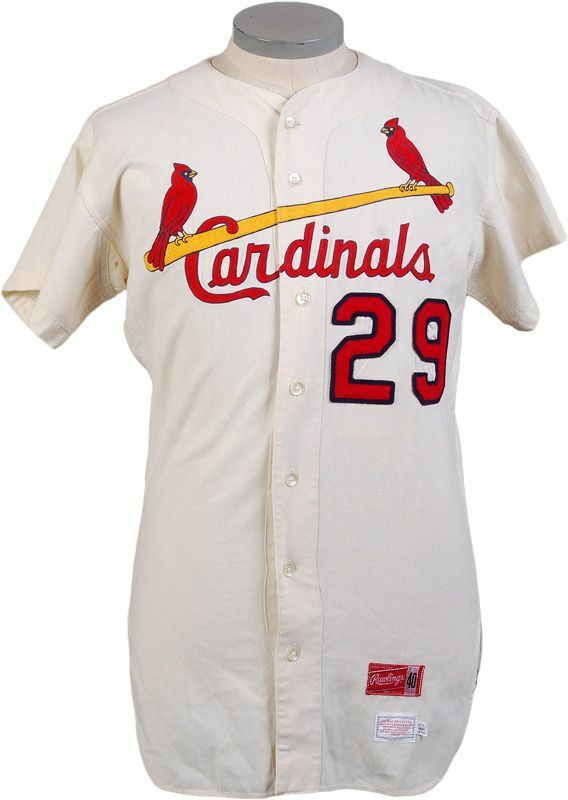 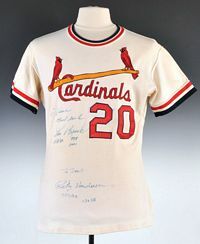 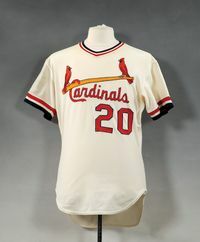 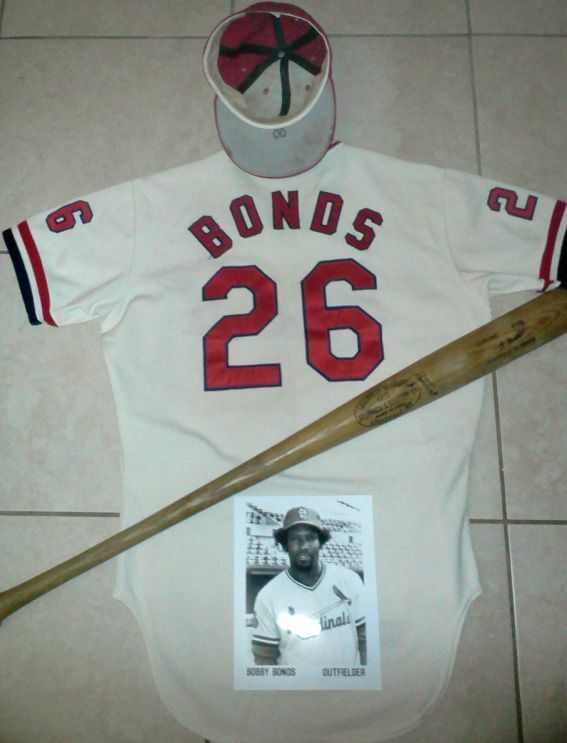 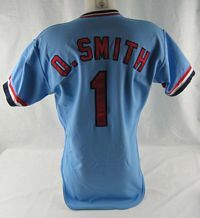 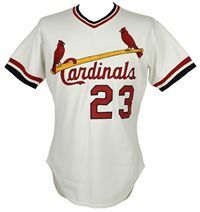 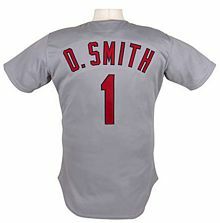 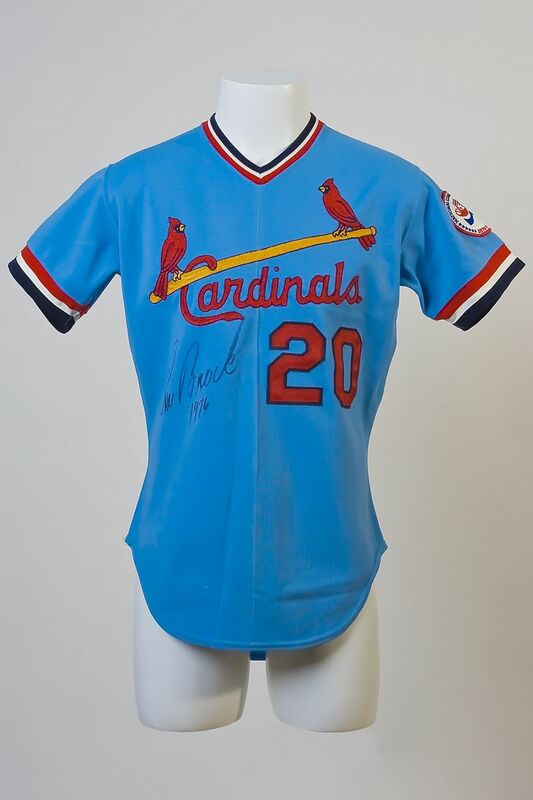 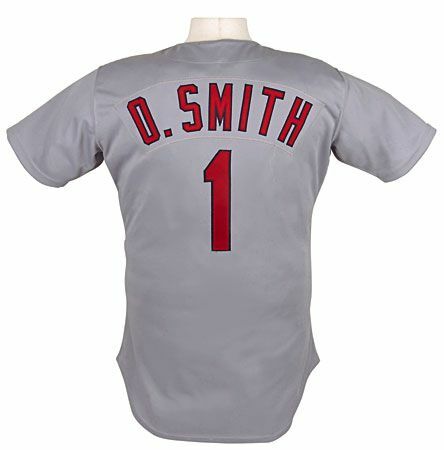 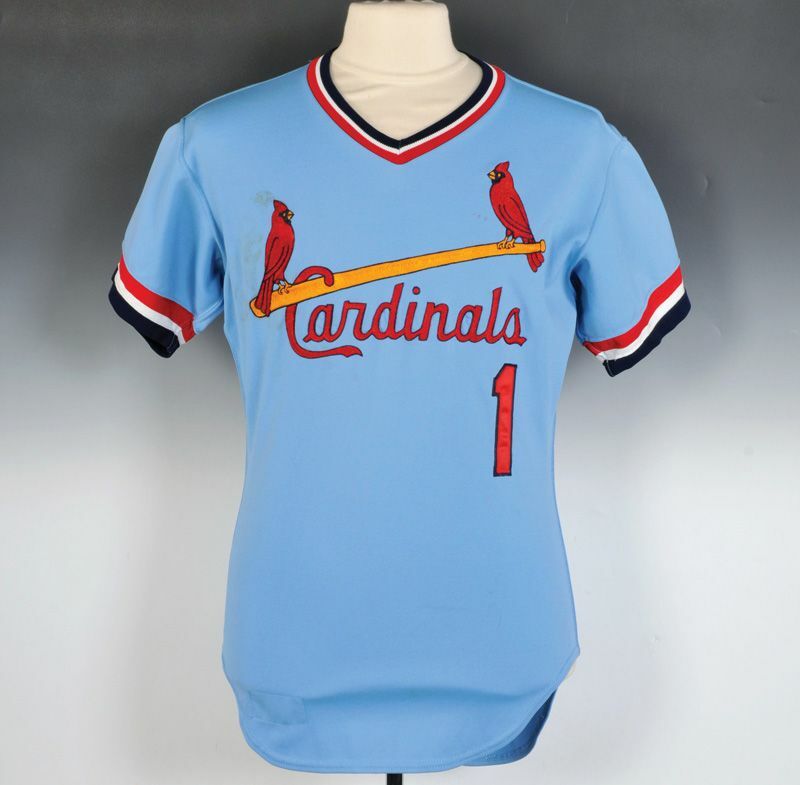 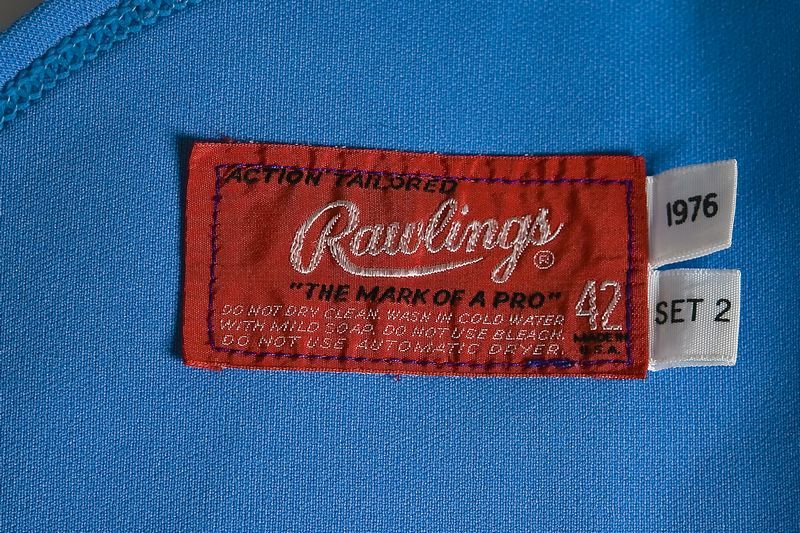 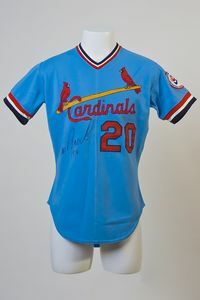 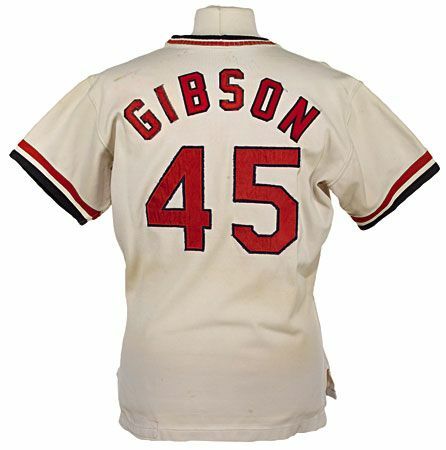 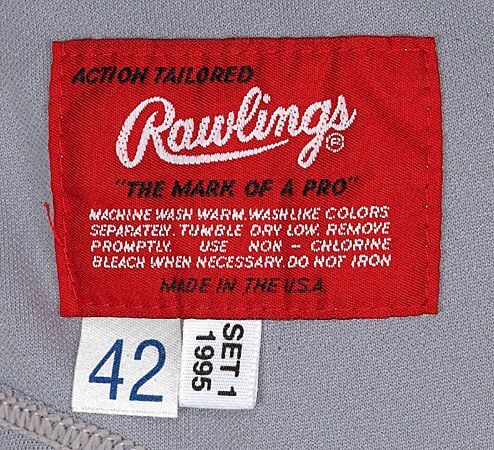 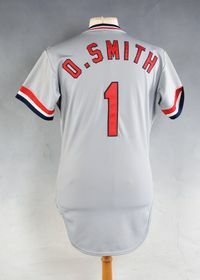 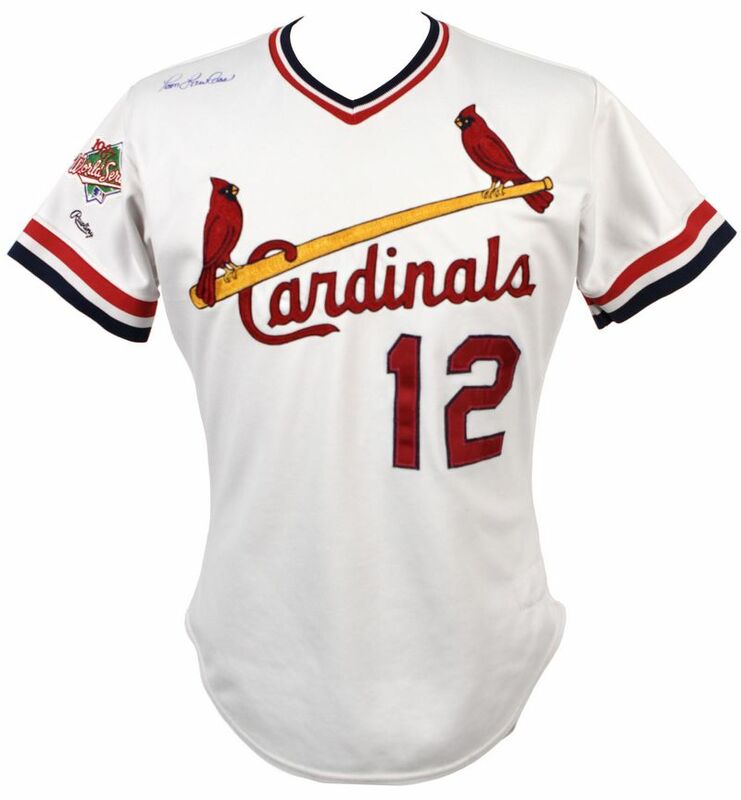 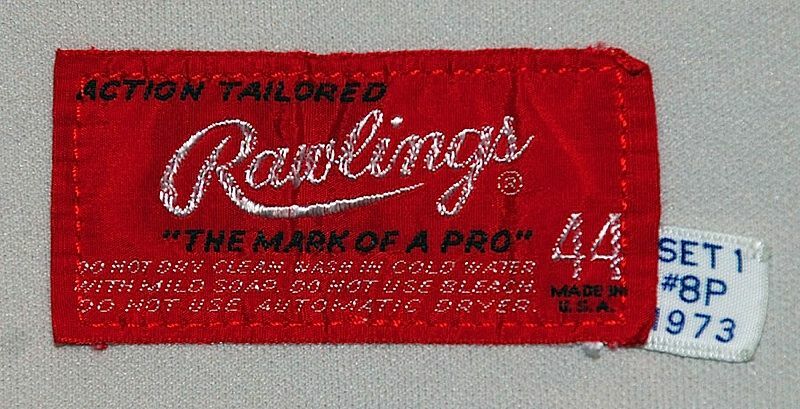 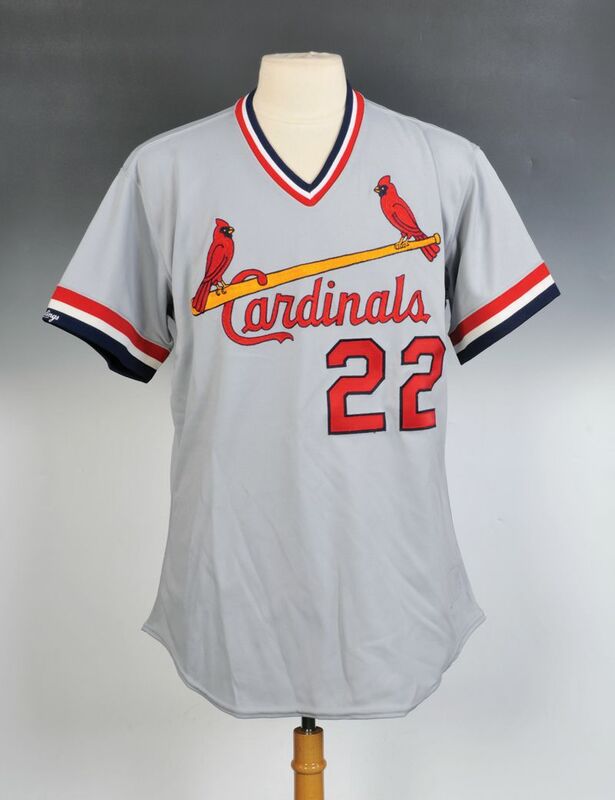 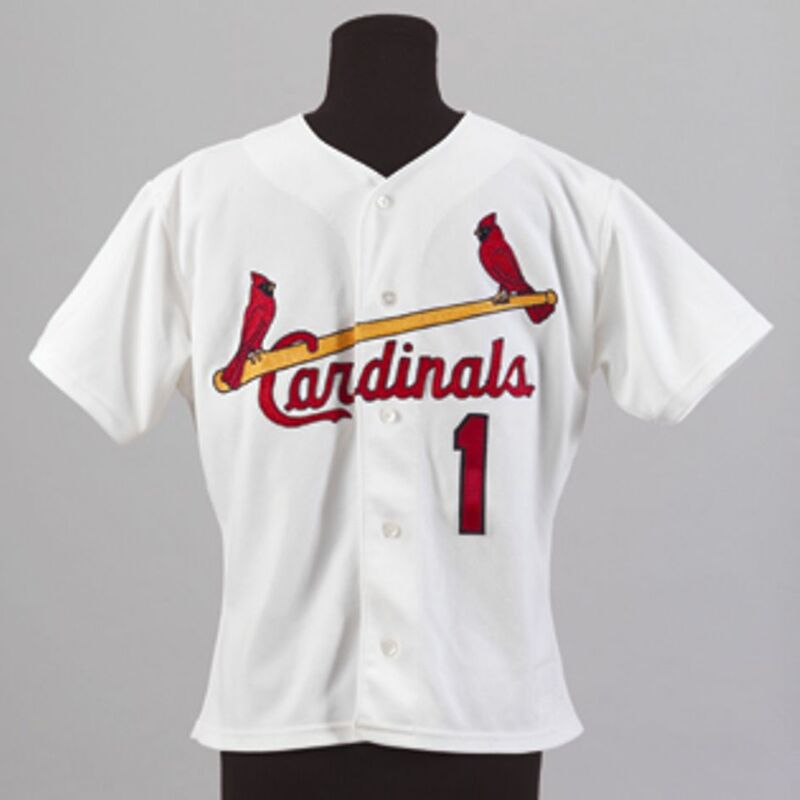 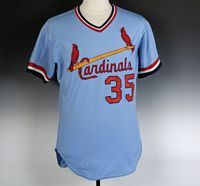 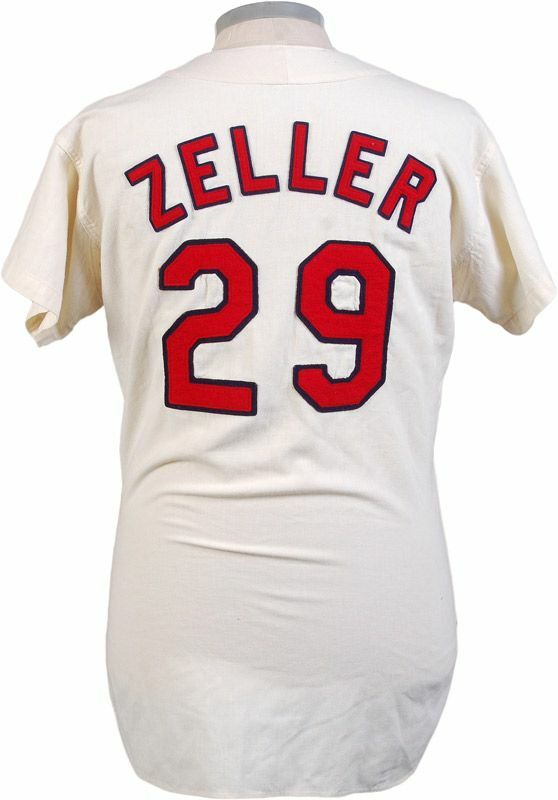 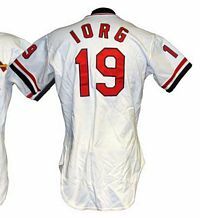 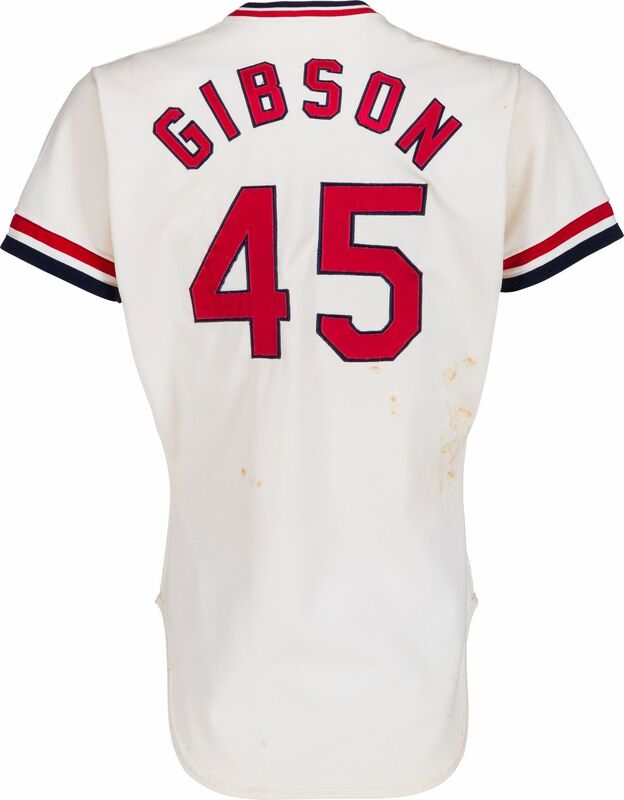 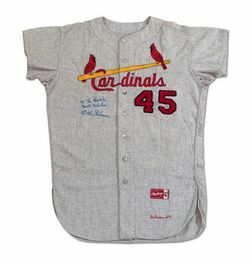 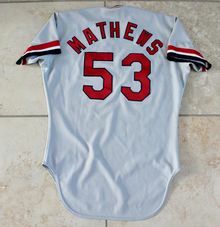 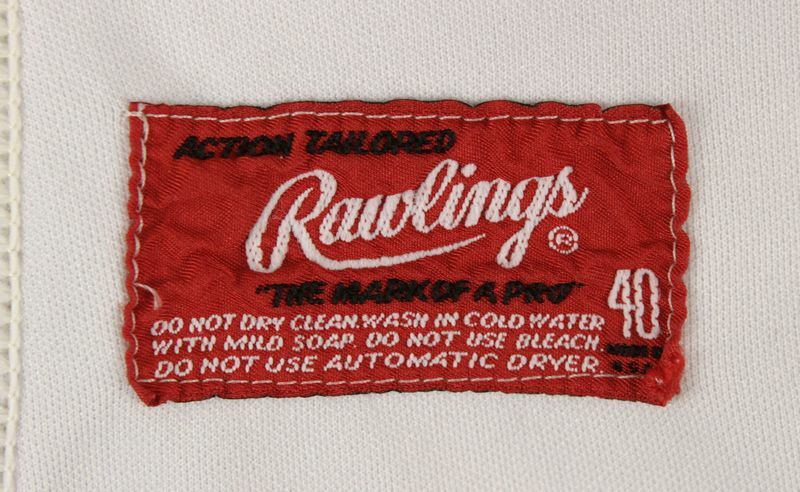 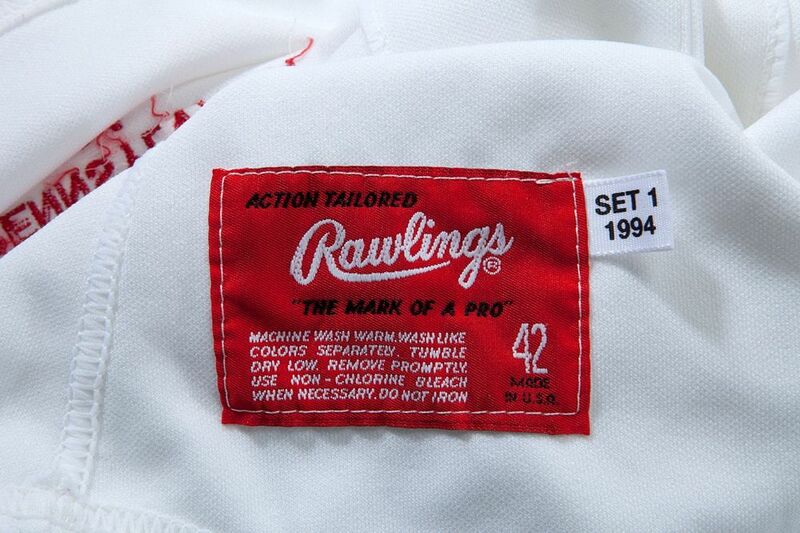 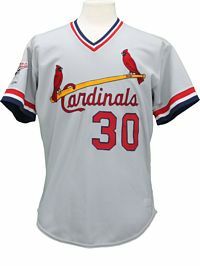 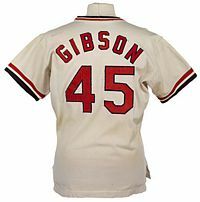 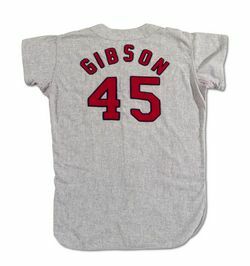 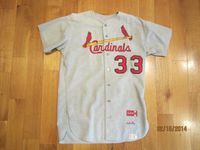 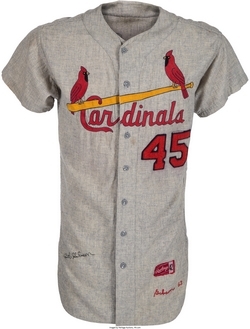 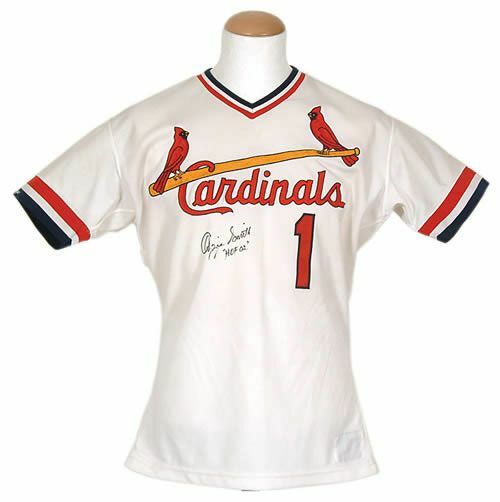 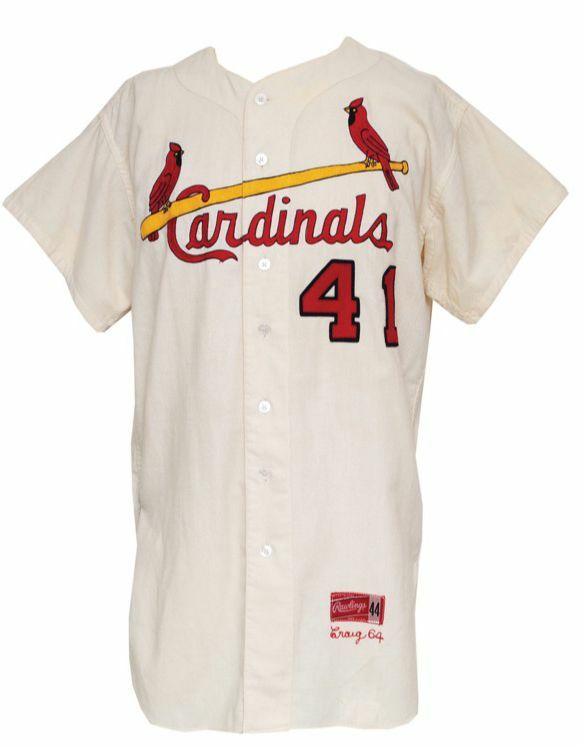 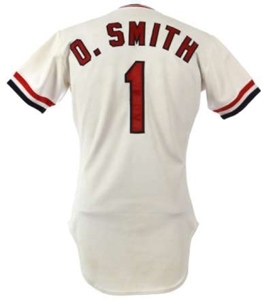 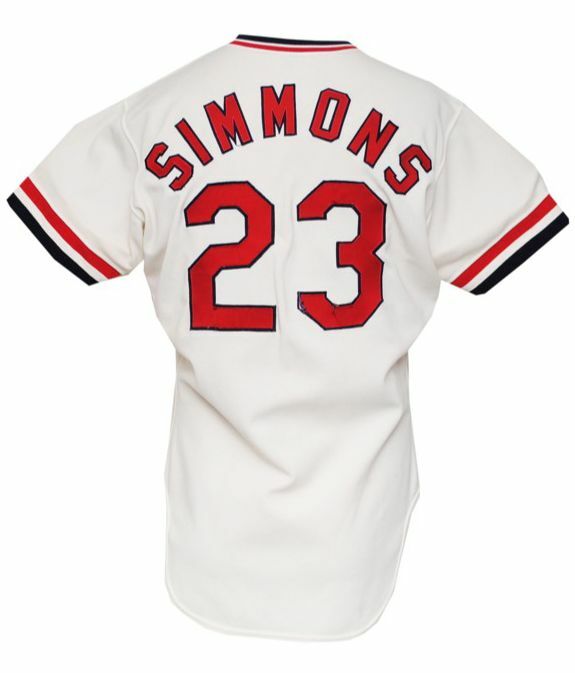 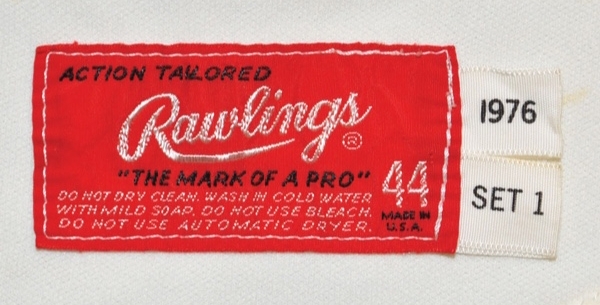 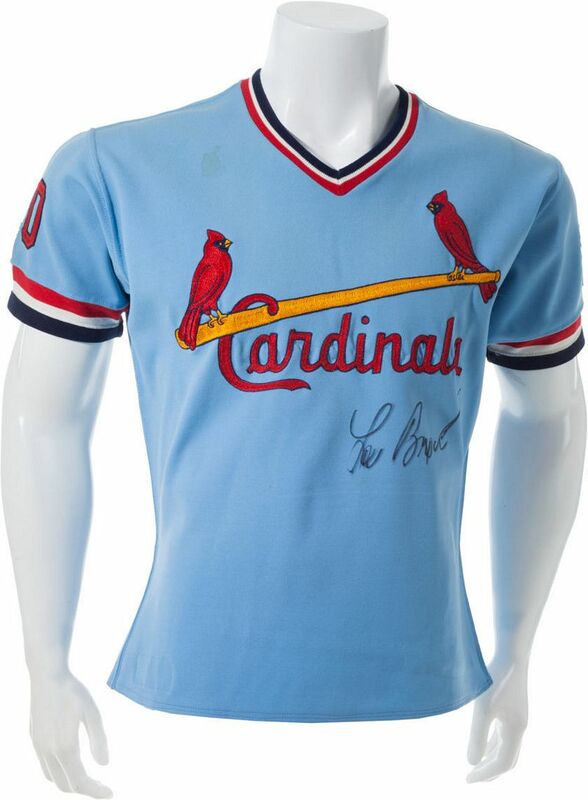 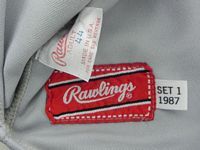 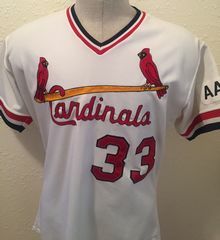 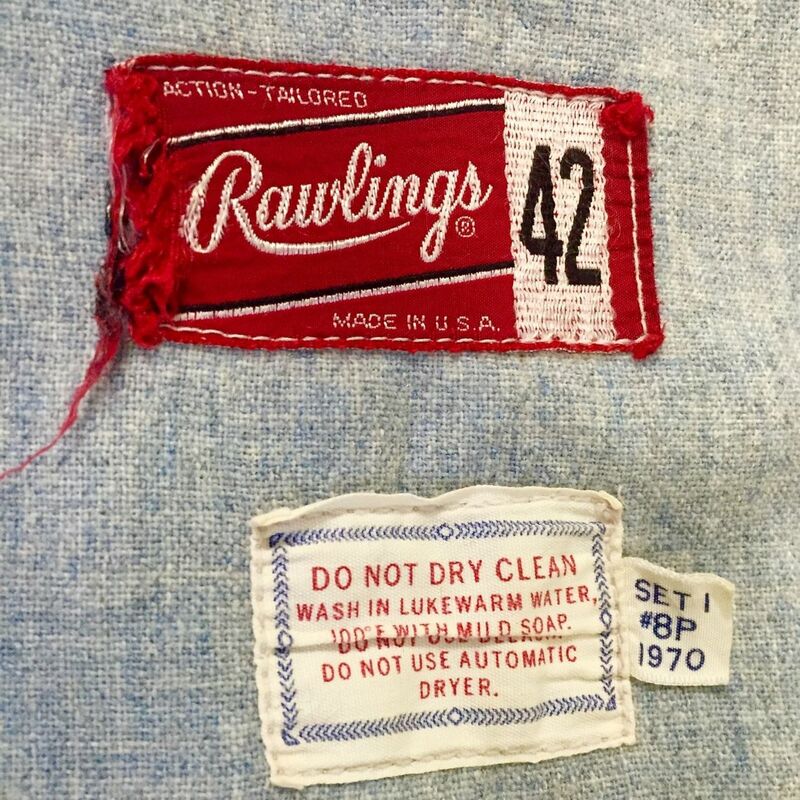 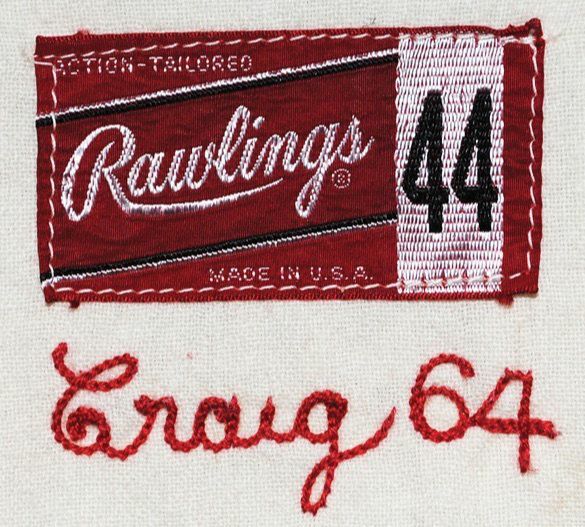 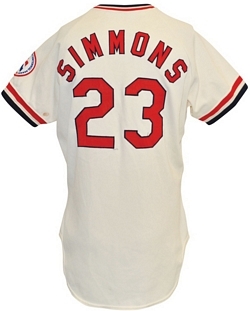 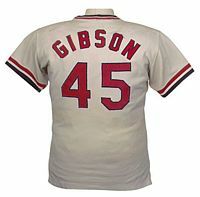 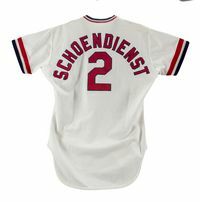 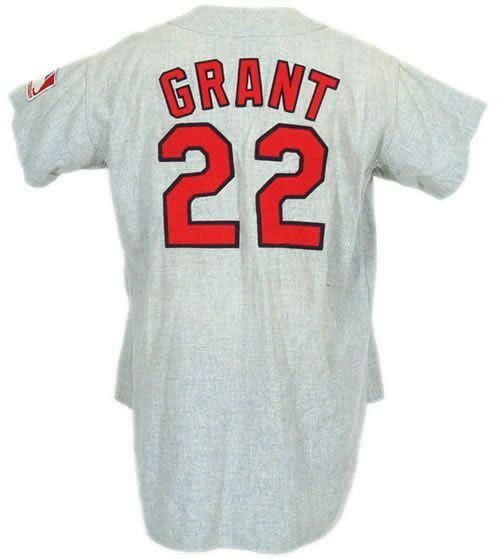 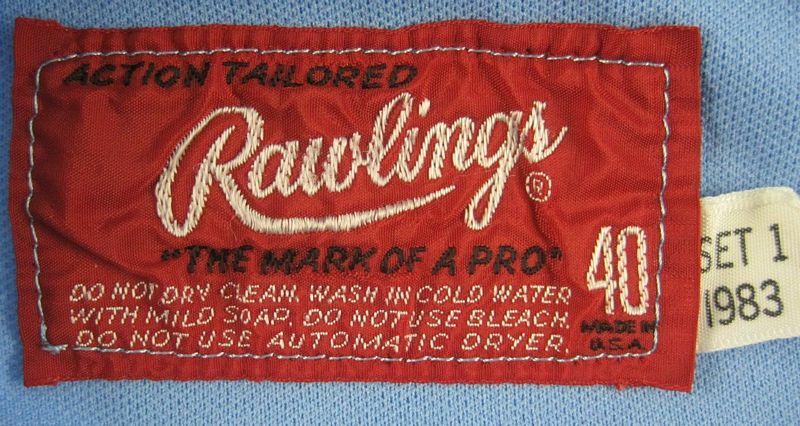 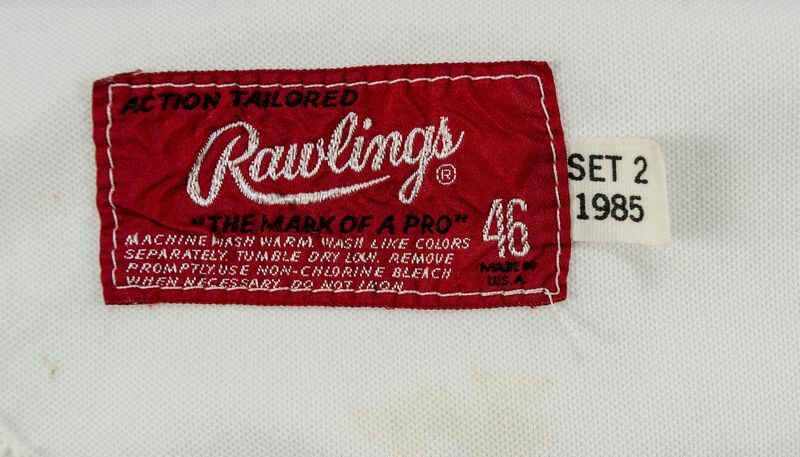 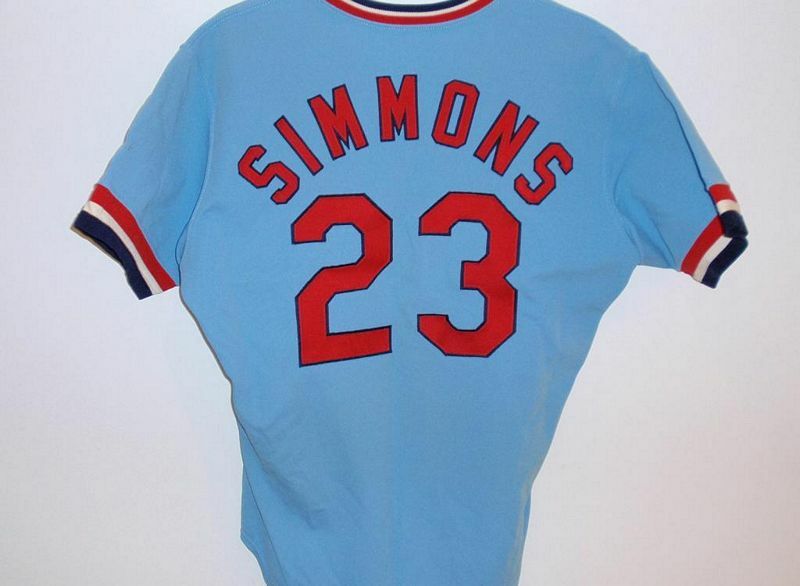 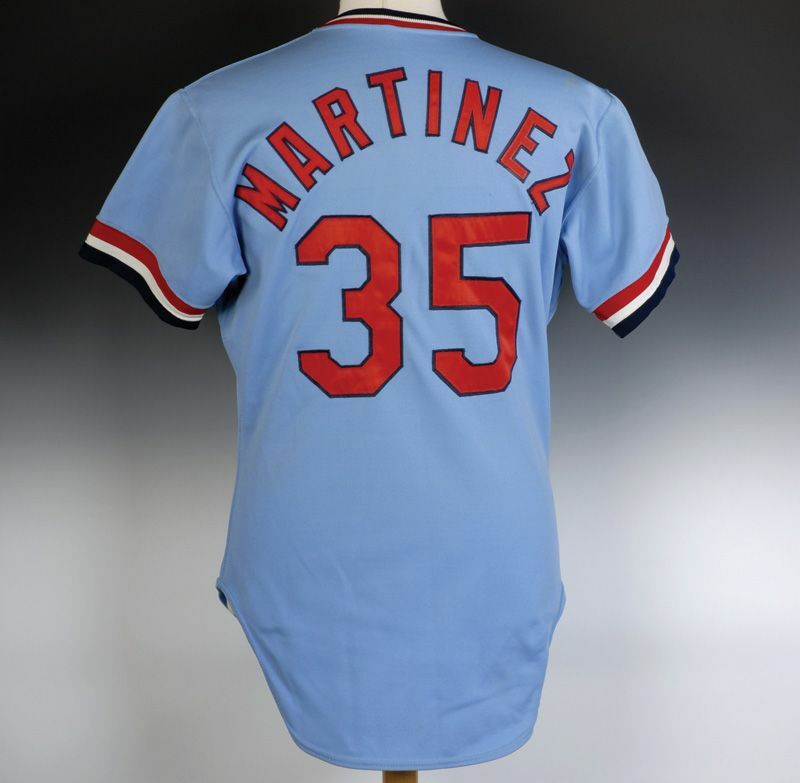 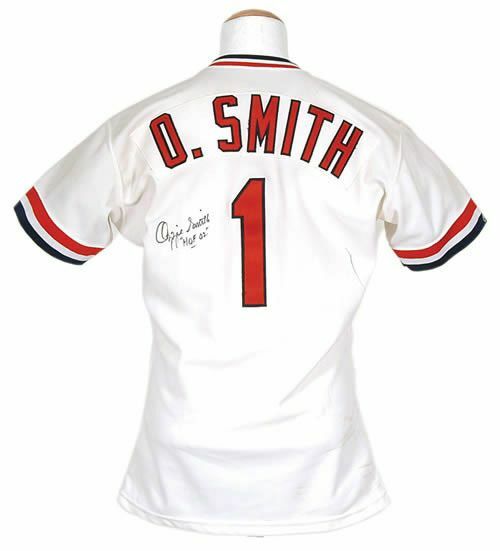 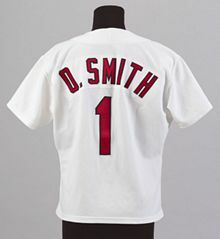 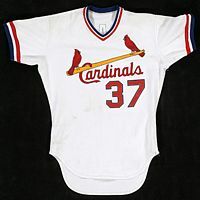 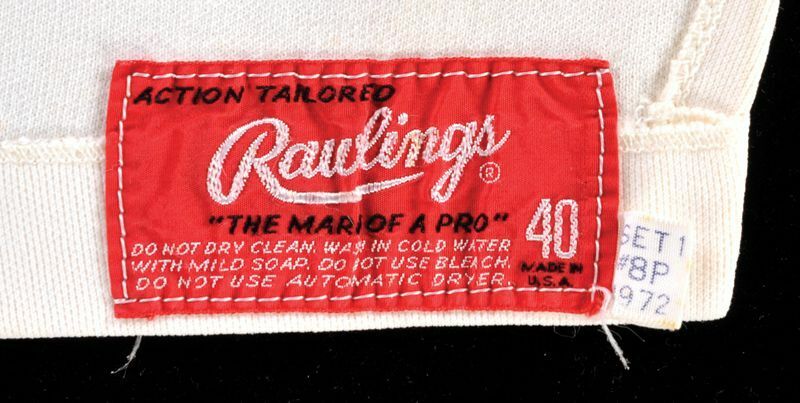 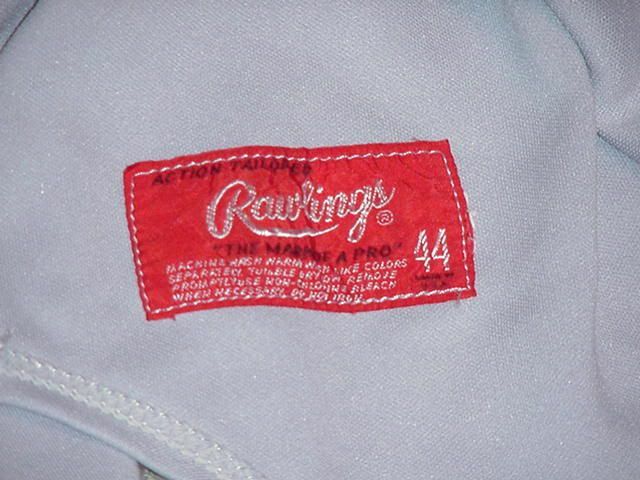 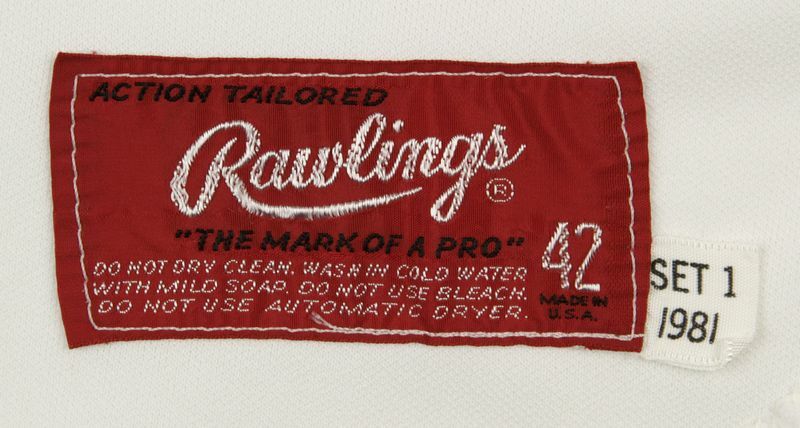 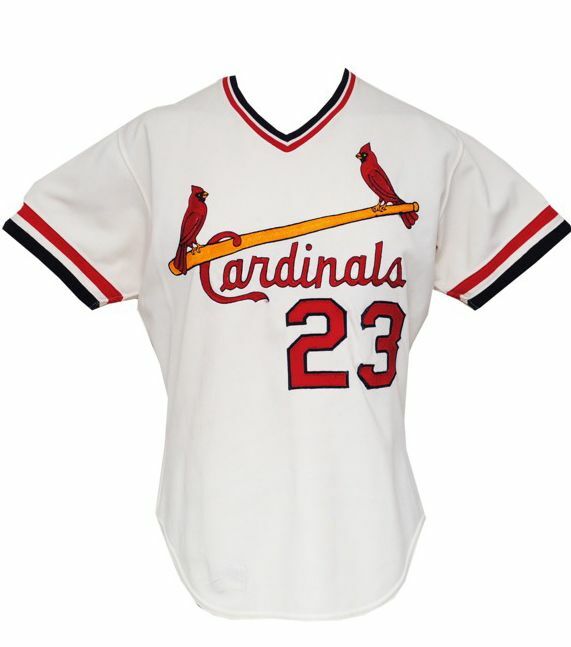 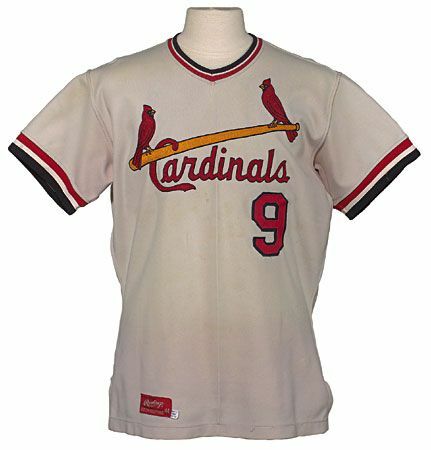 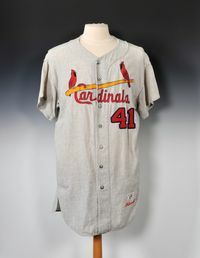 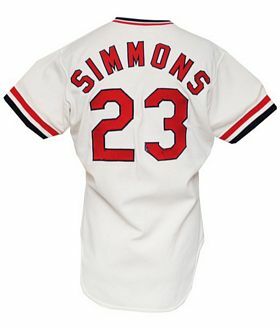 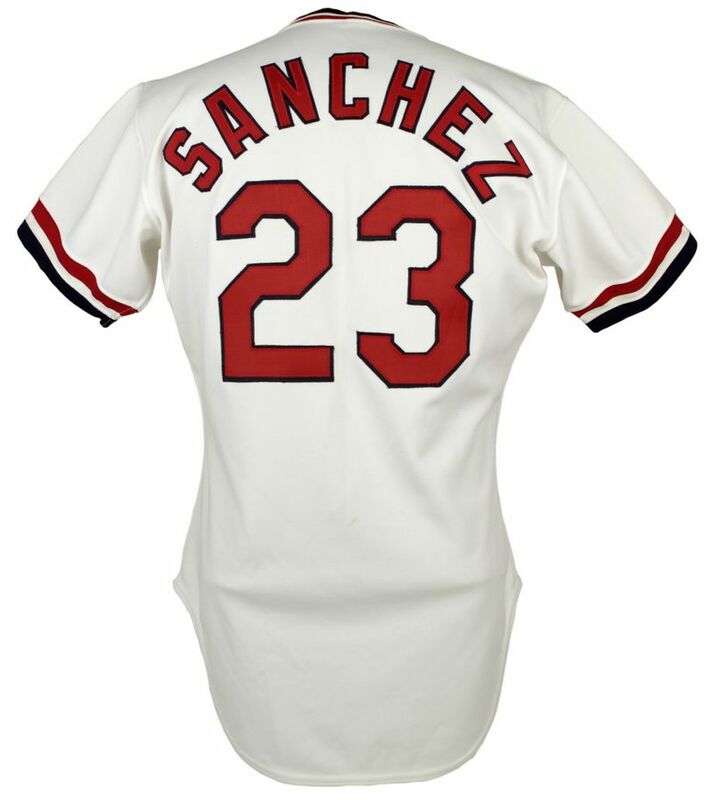 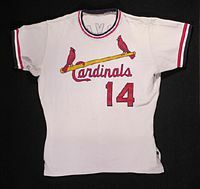 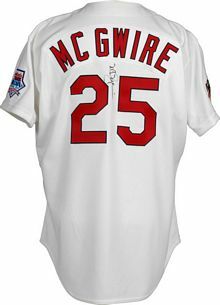 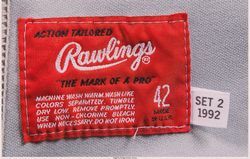 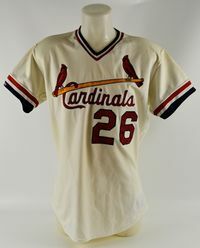 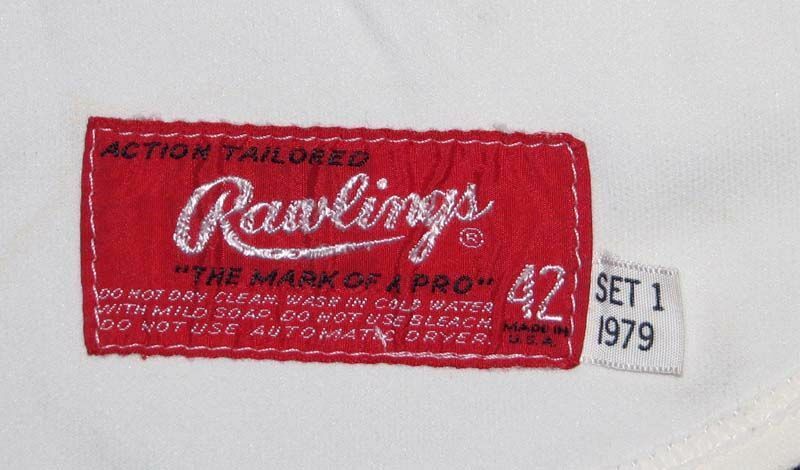 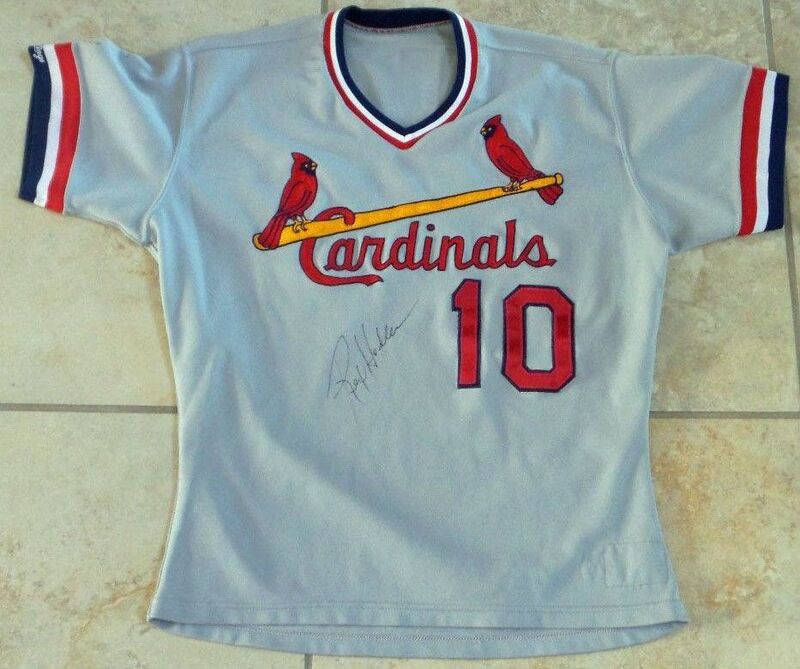 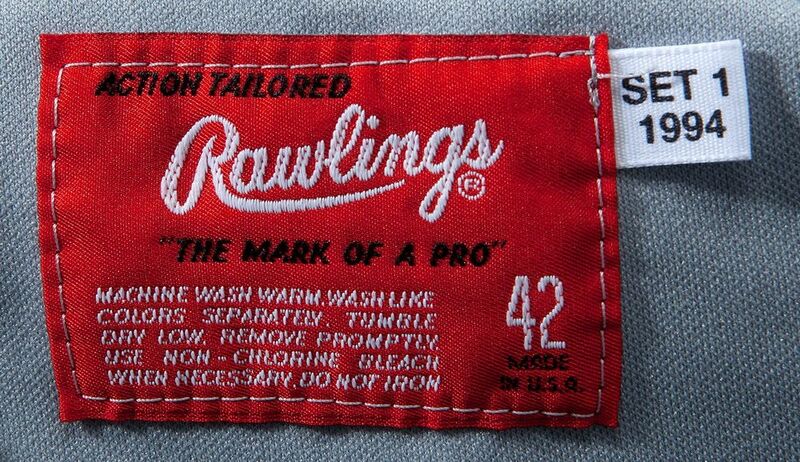 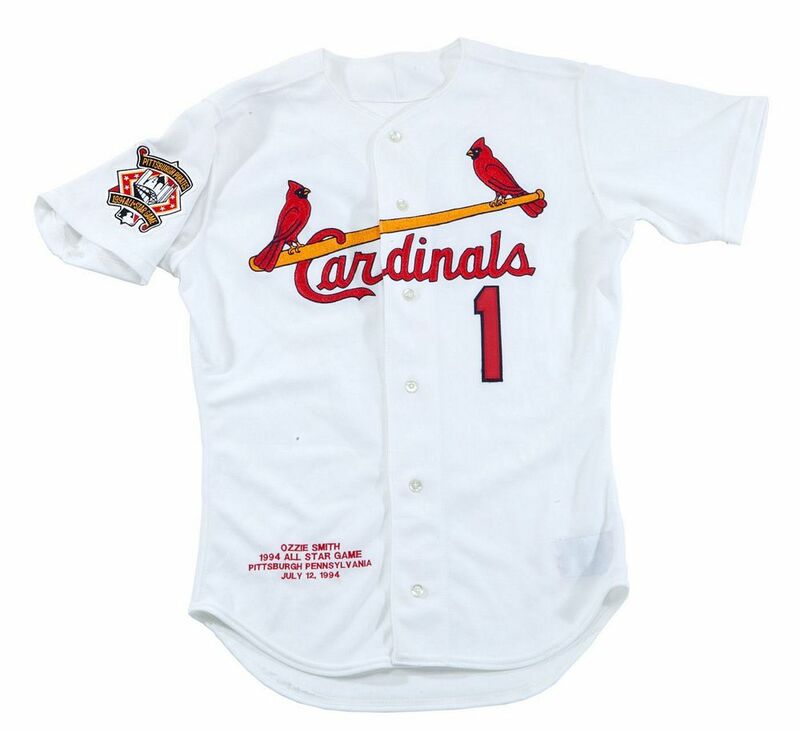 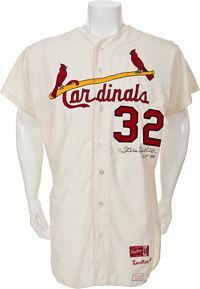 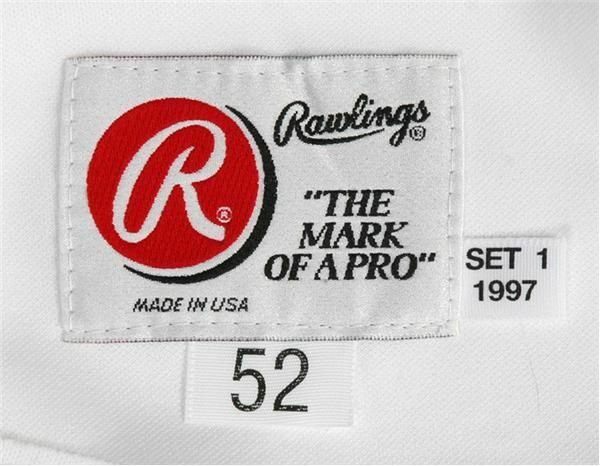 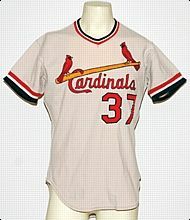 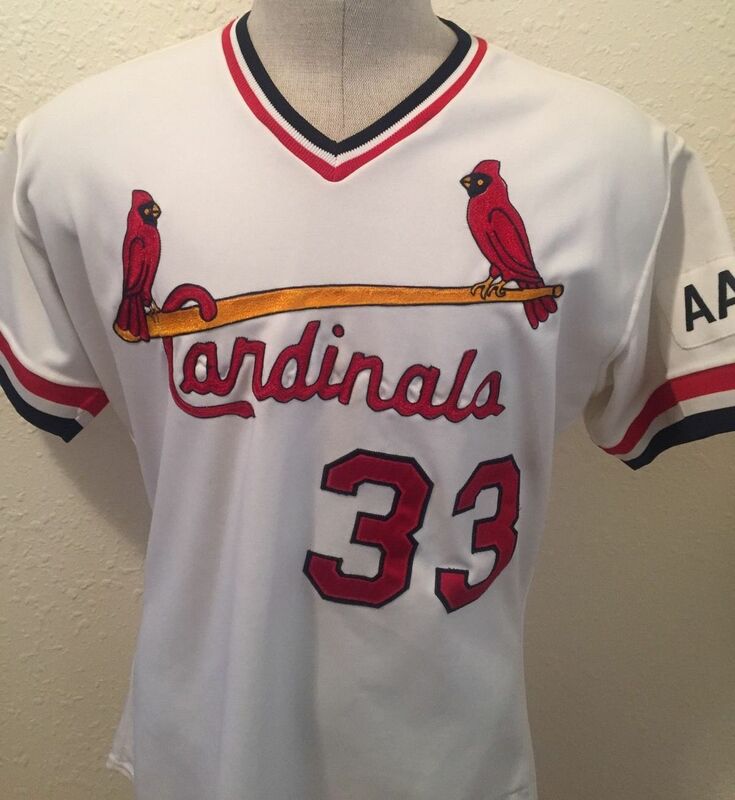 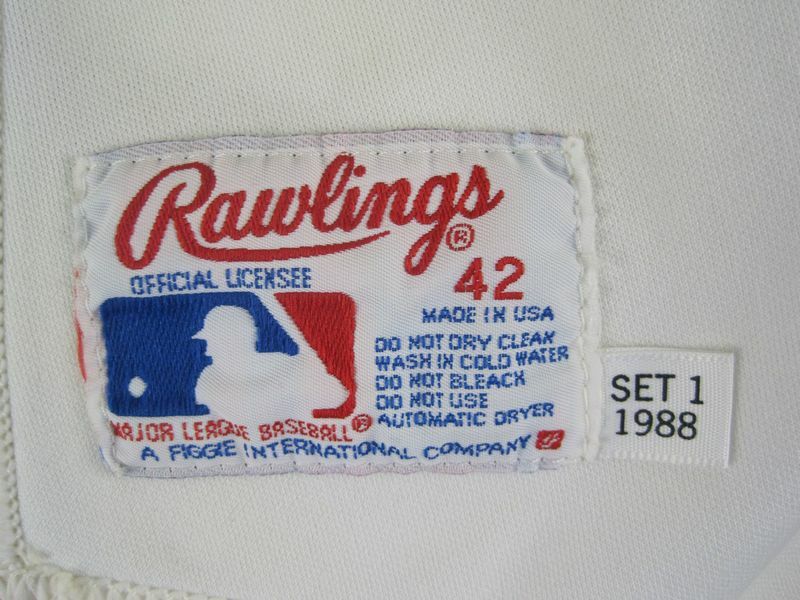 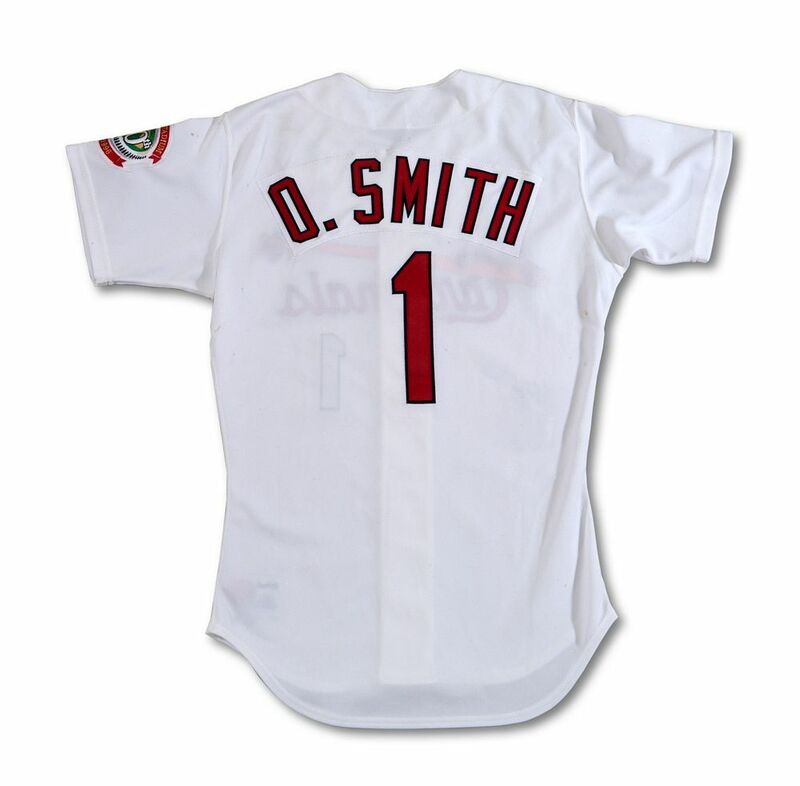 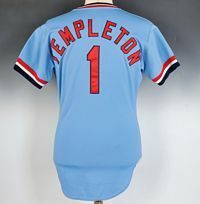 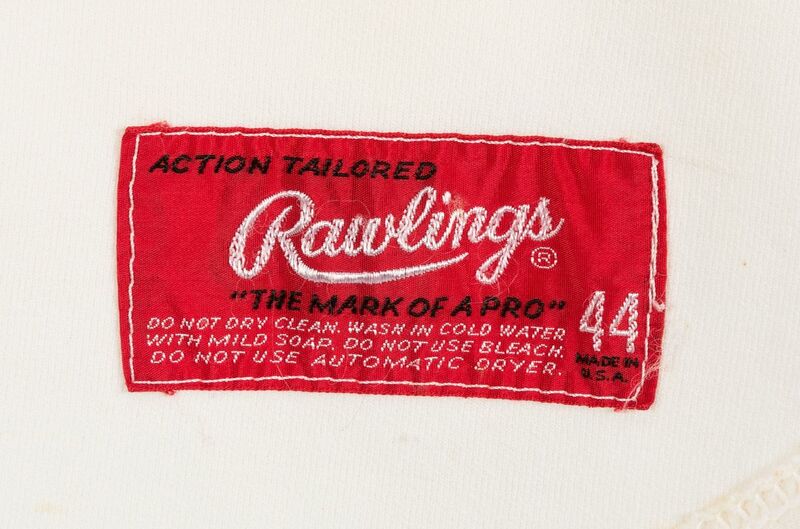 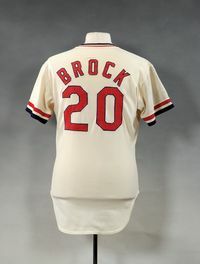 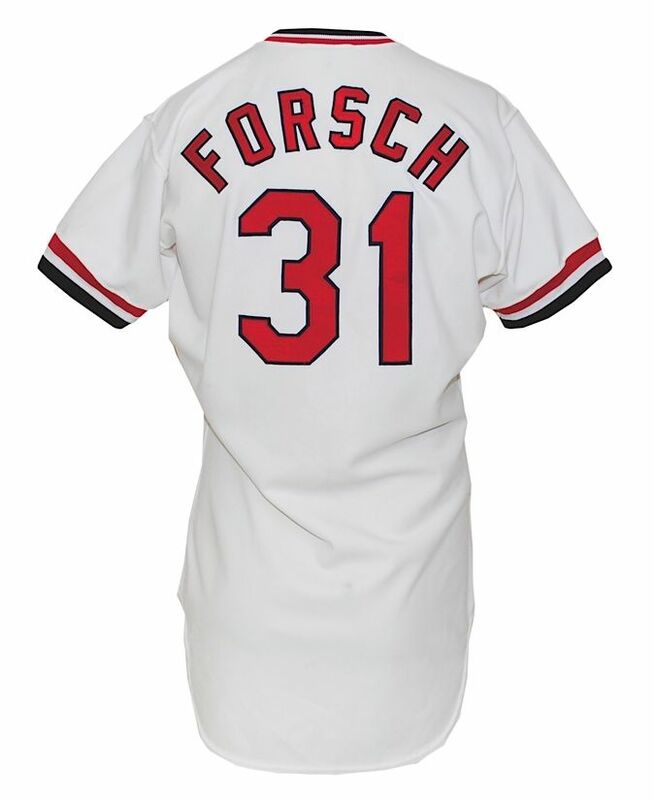 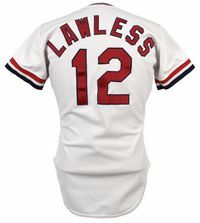 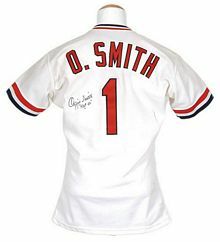 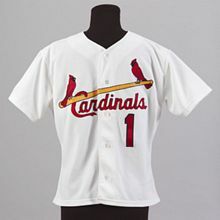 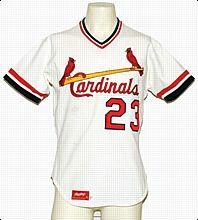 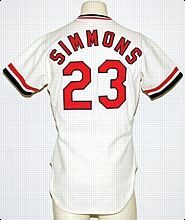 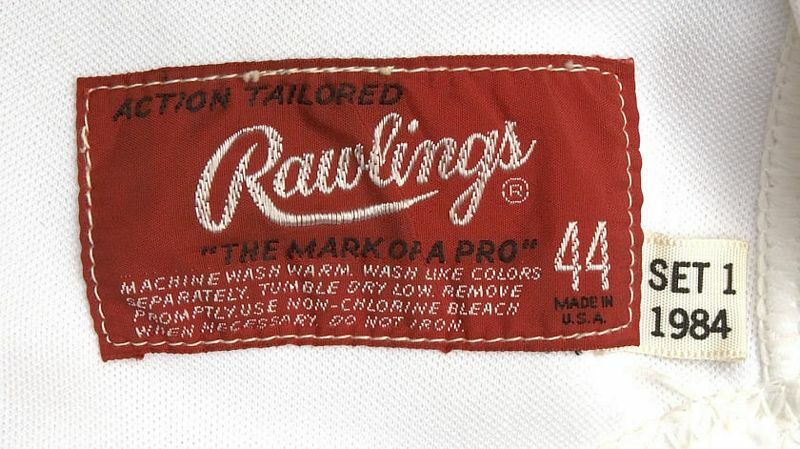 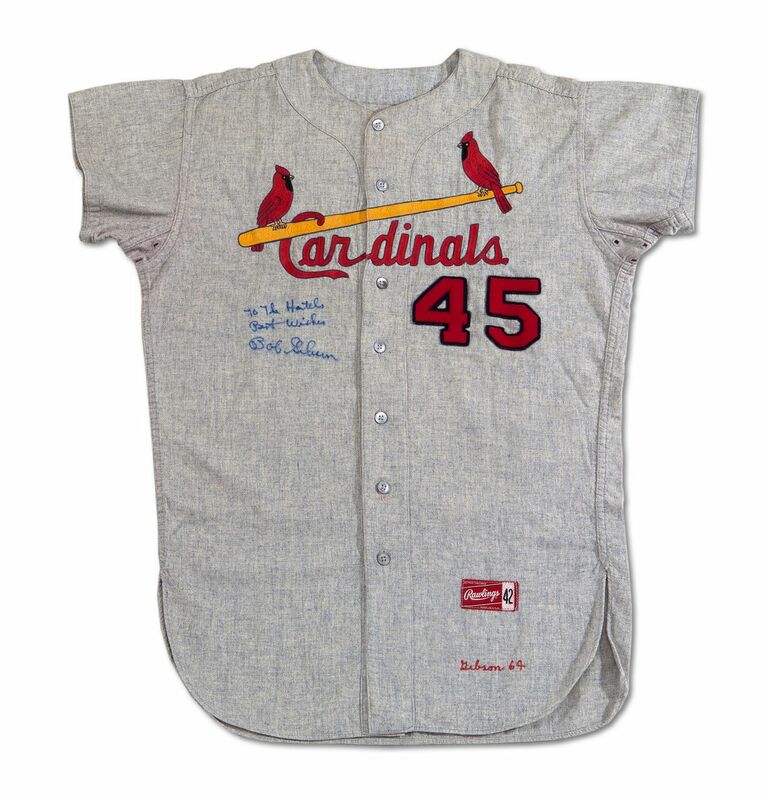 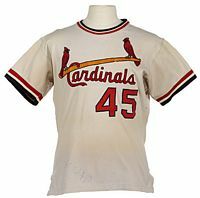 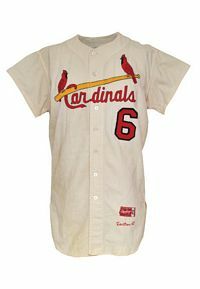 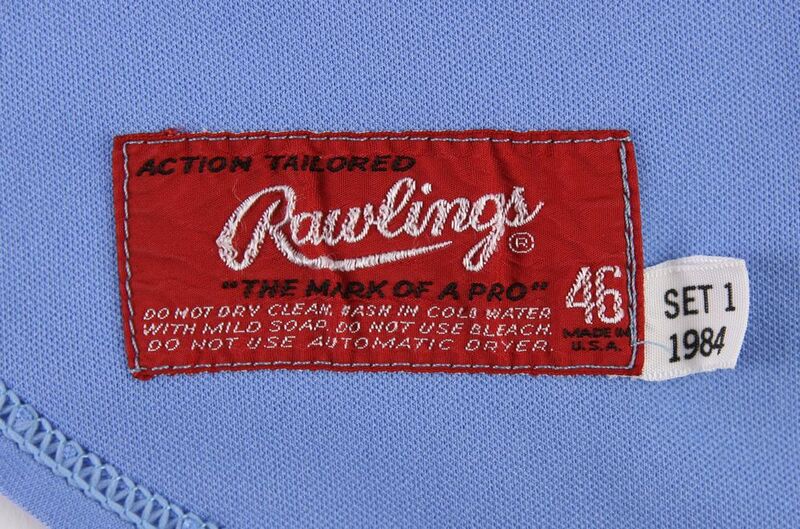 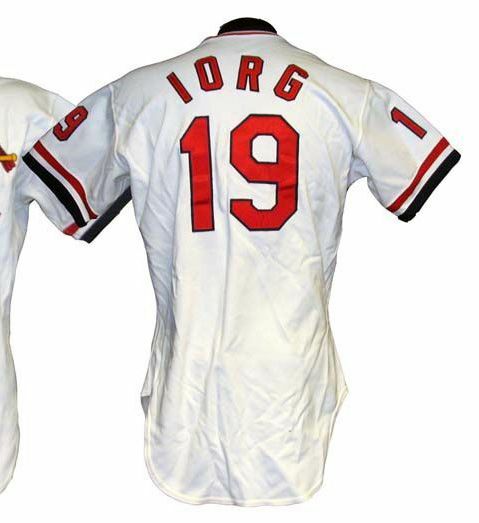 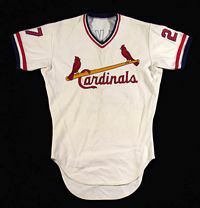 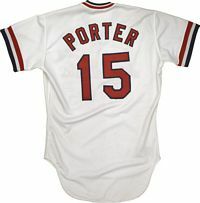 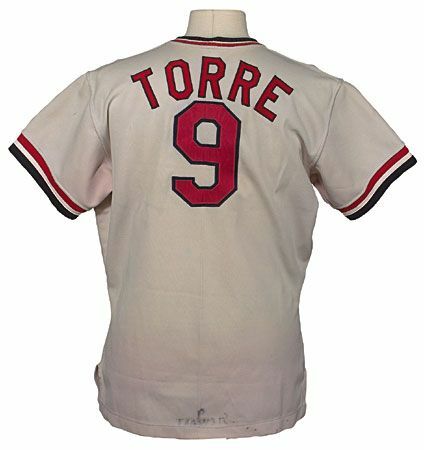 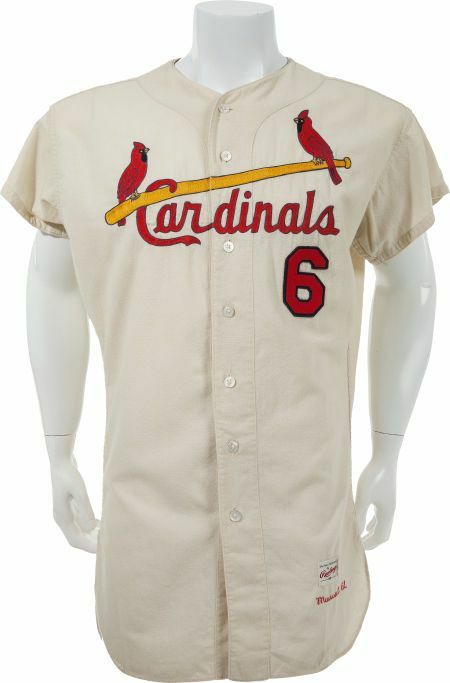 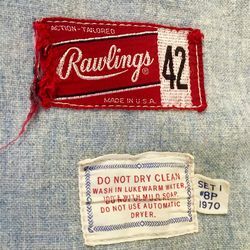 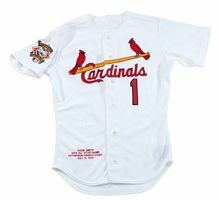 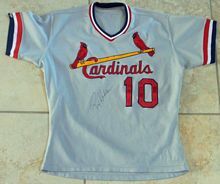 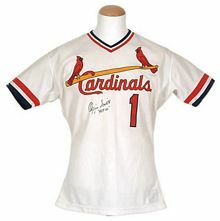 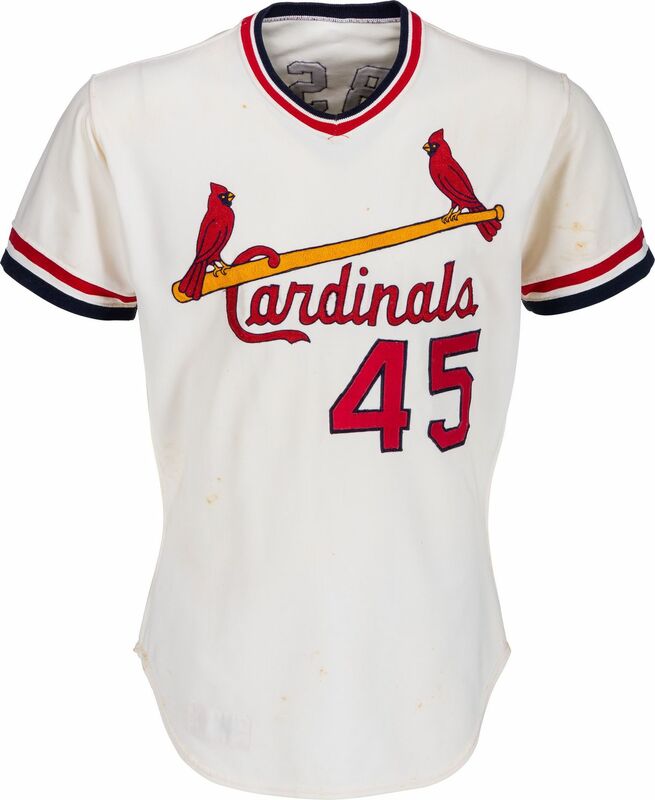 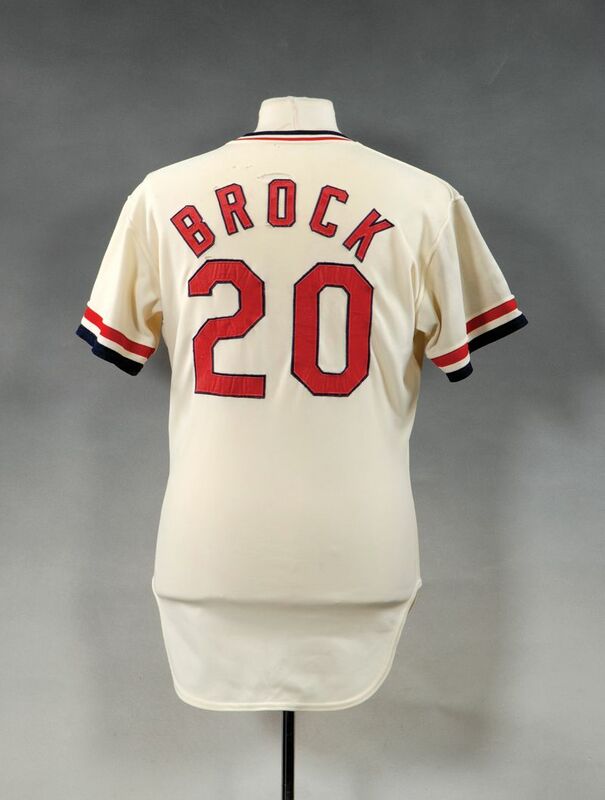 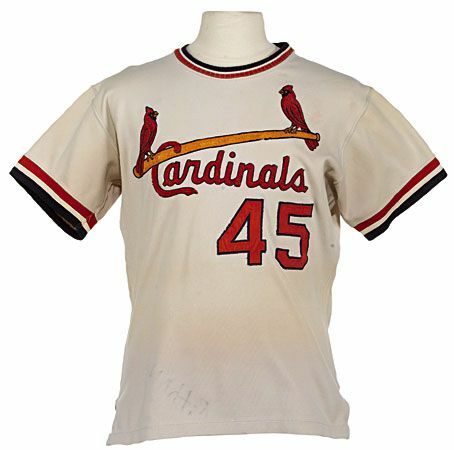 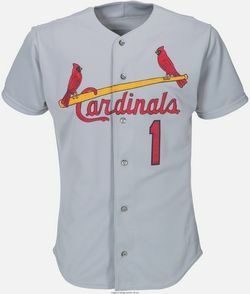 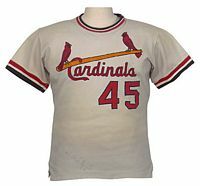 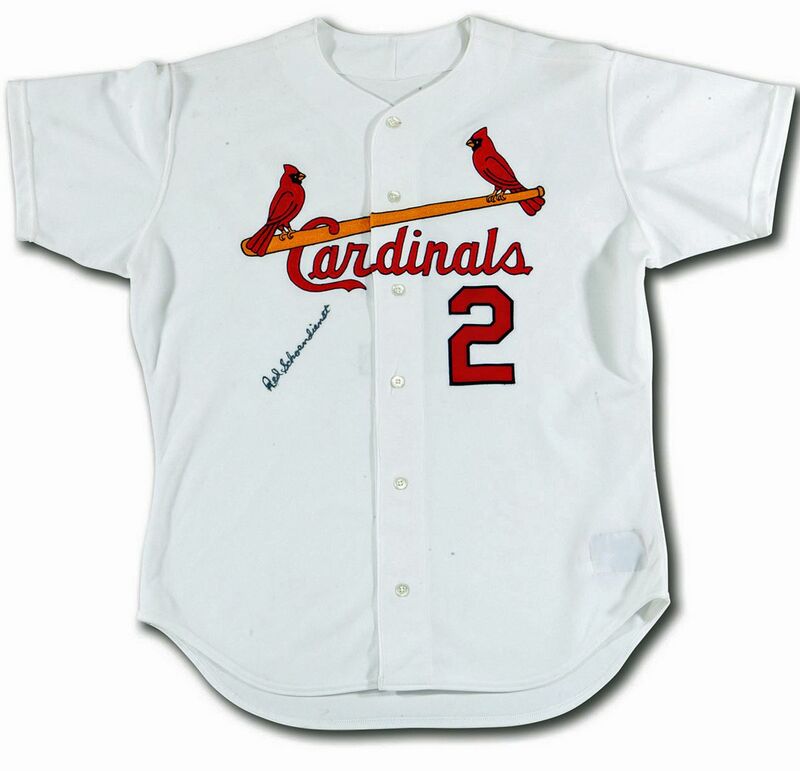 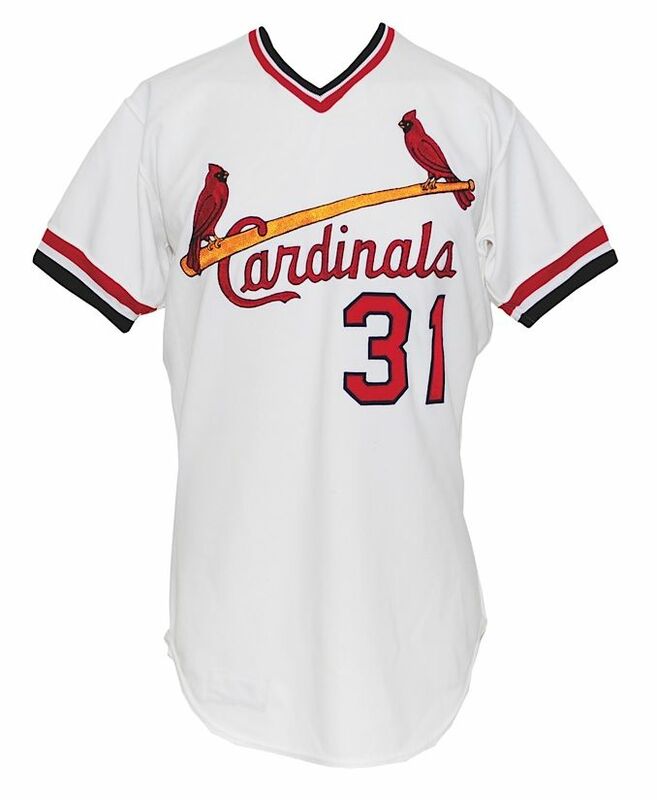 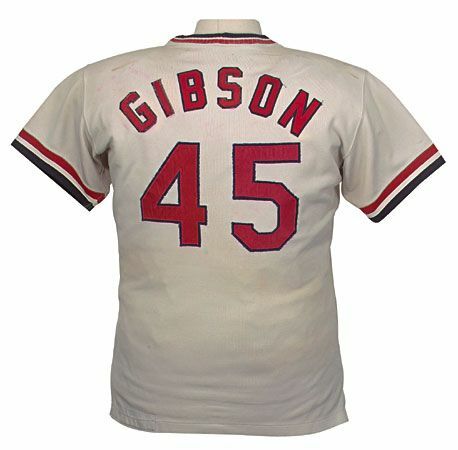 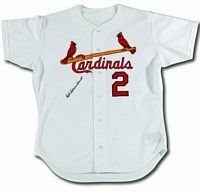 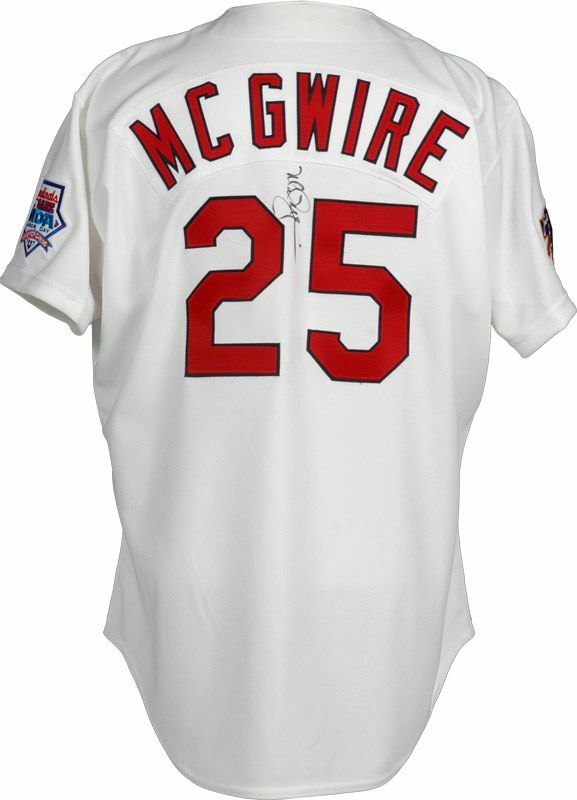 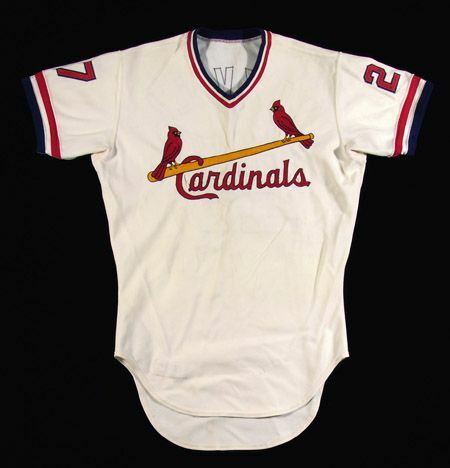 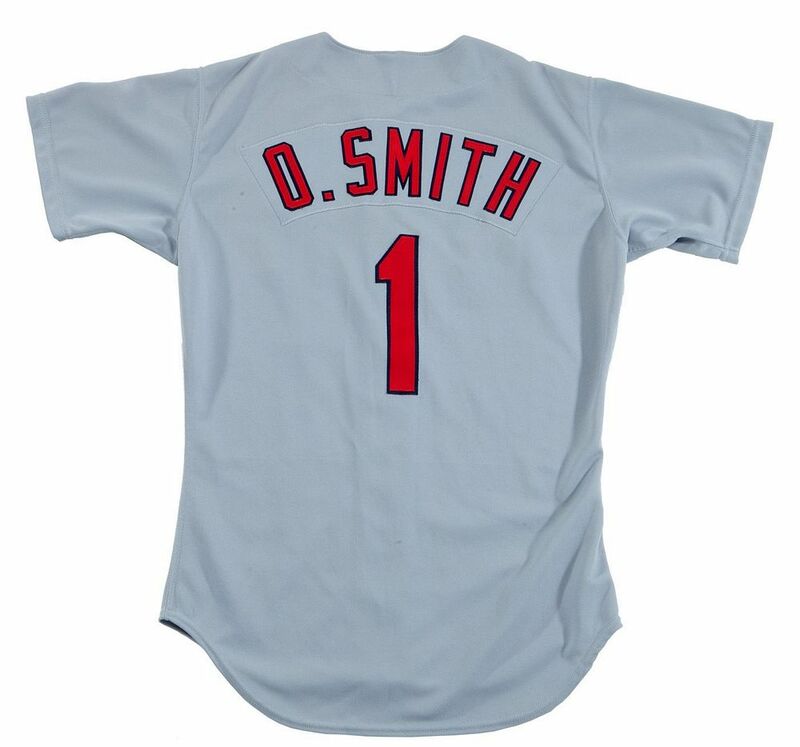 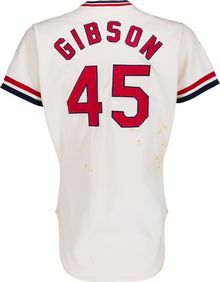 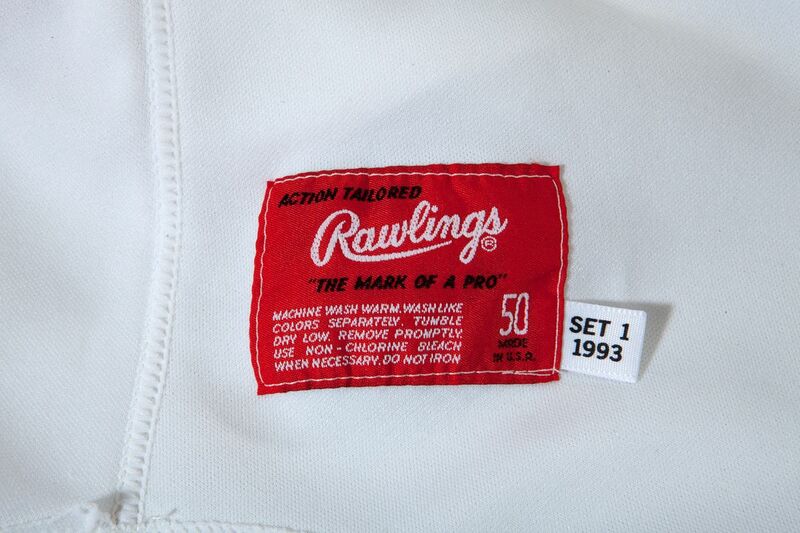 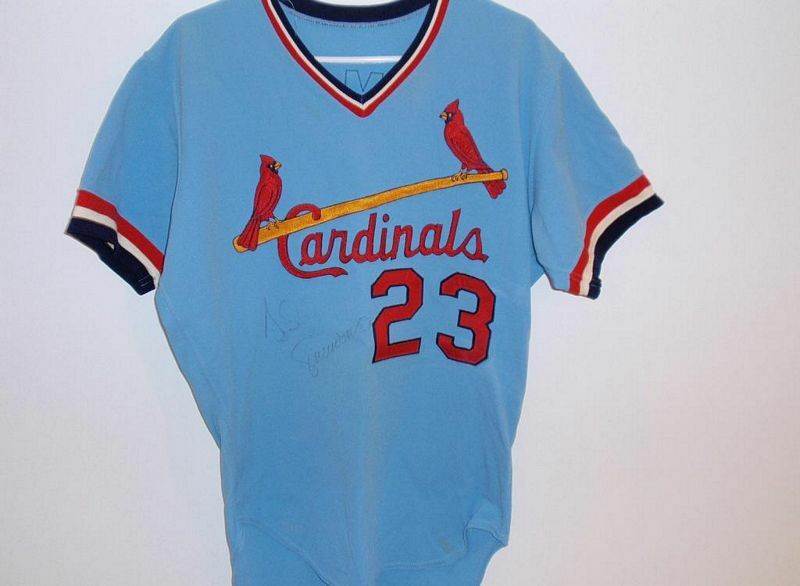 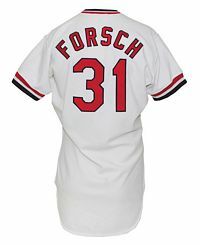 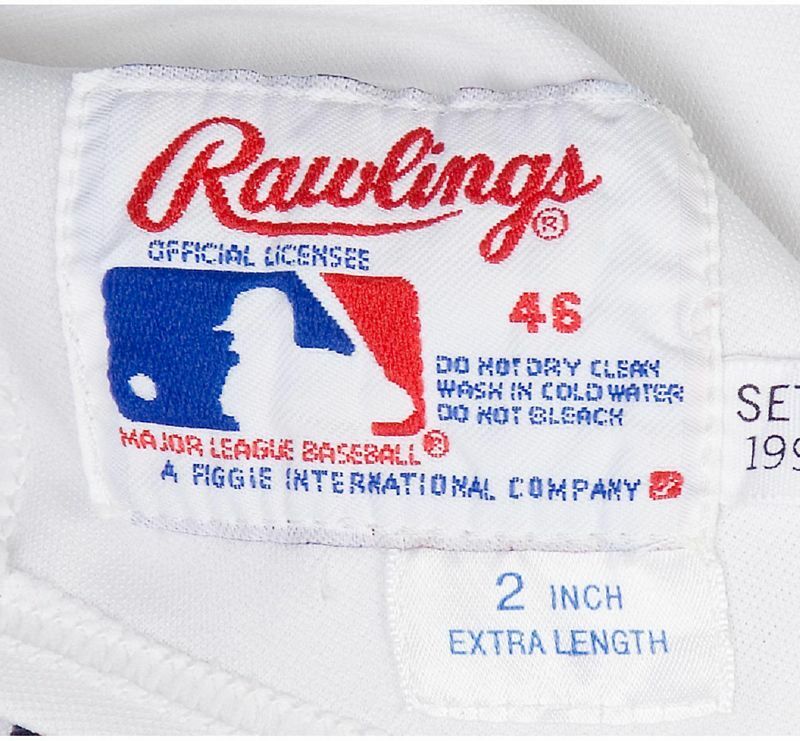 Ozzie Smith had flat-hemmed jerseys made which he used in games and sold through his marketing company.